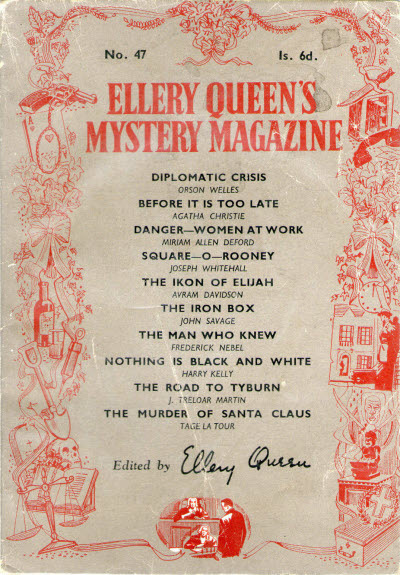 Ellery Queen's Mystery Magazine "Overseas Edition for the Armed Forces"
During World War II, issues of Ellery Queen's Mystery Magazine were distributed to American forces with either "Special Edition for the Armed Forces Overseas" or "Overseas Edition for the Armed Services" printed on the cover. 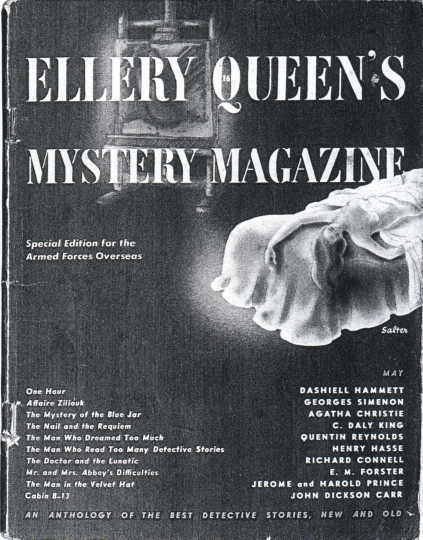 with the imprint "Overseas Edition for the Armed Services." 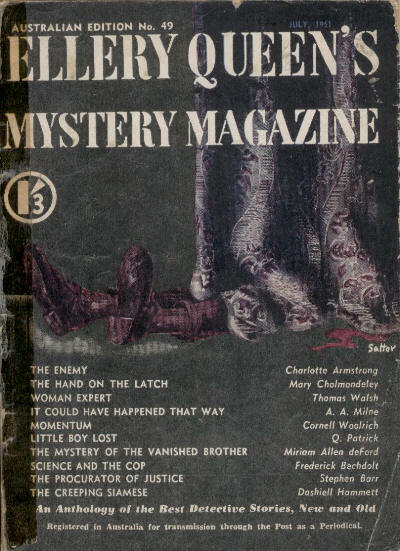 They were not allowed to include the advertisements from the US editions, so the opening 3 pages were typically replaced with an additional story, and sometimes an additional puzzle was added at the end. 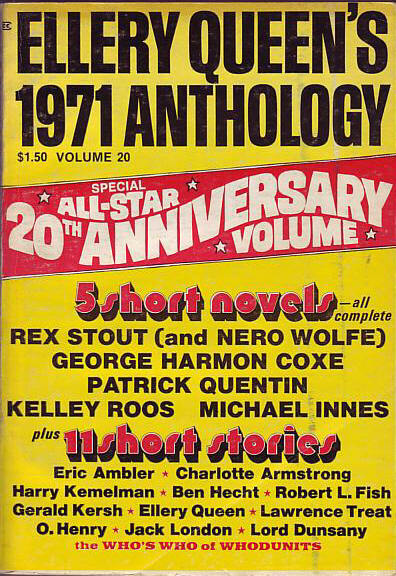 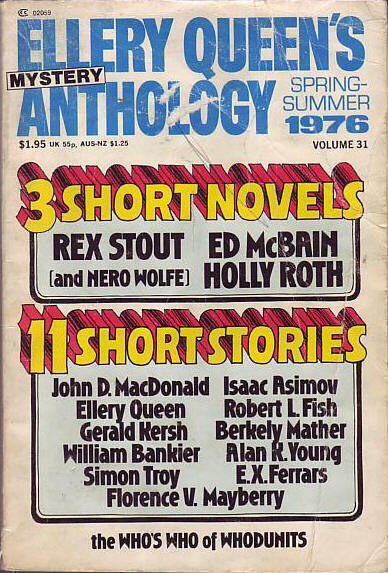 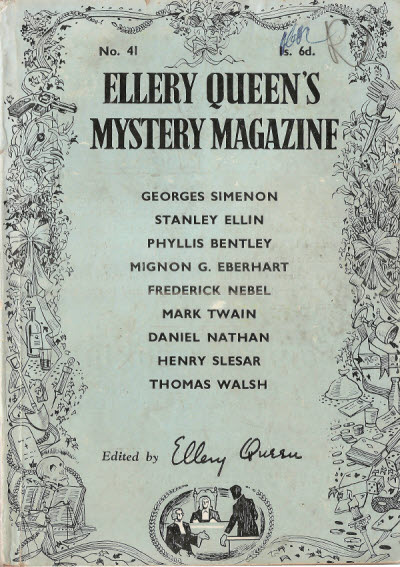 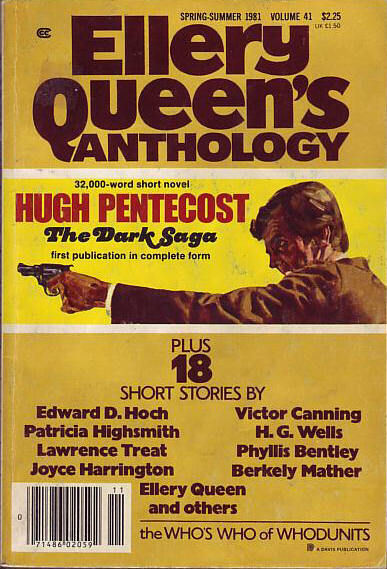 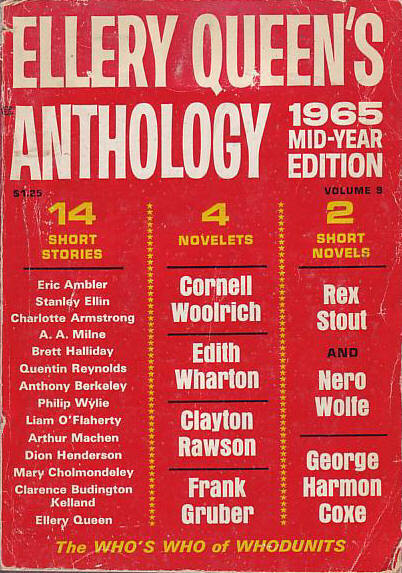 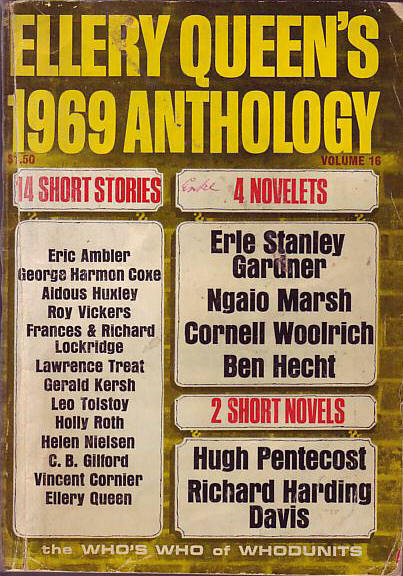 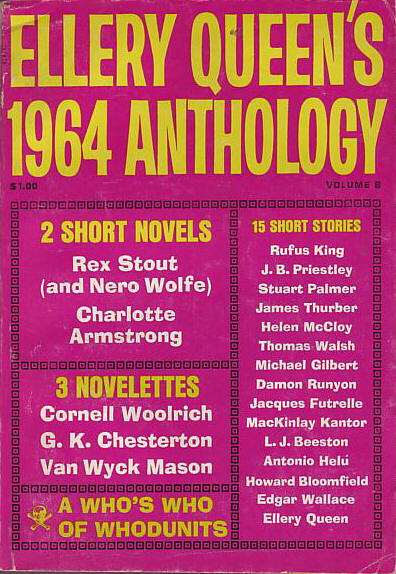 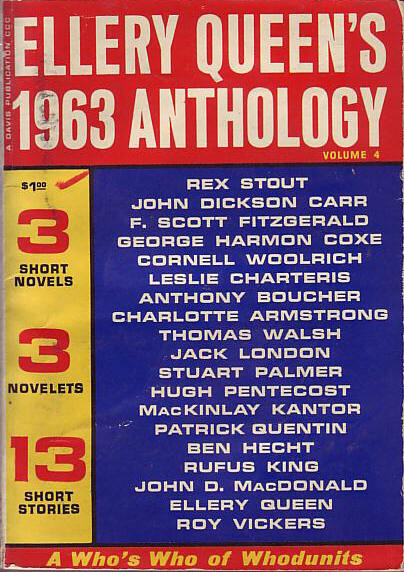 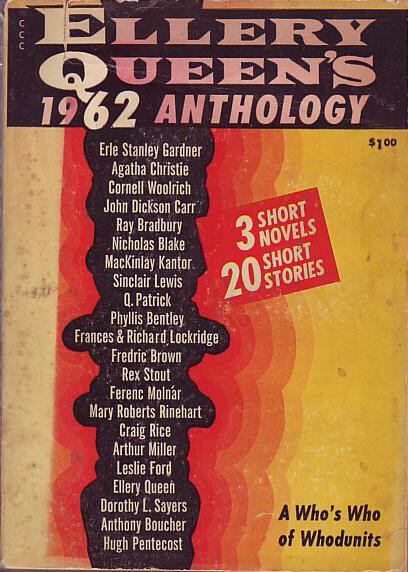 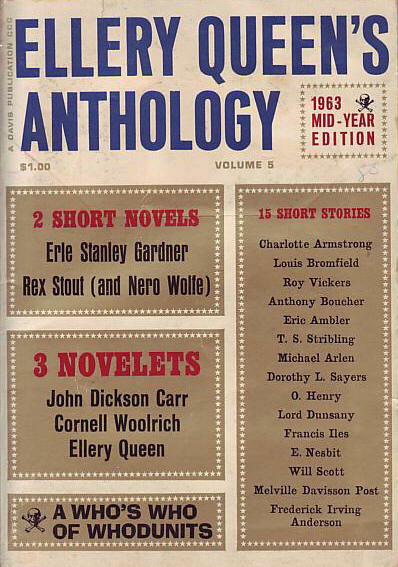 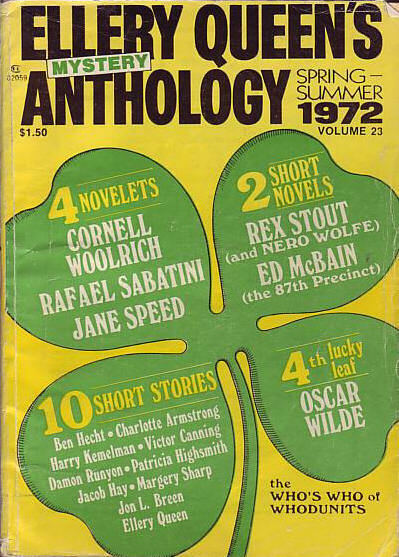 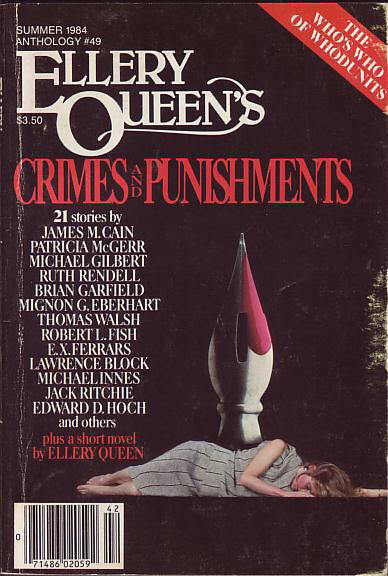 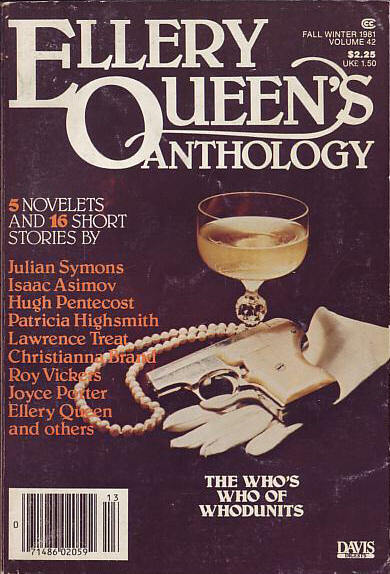 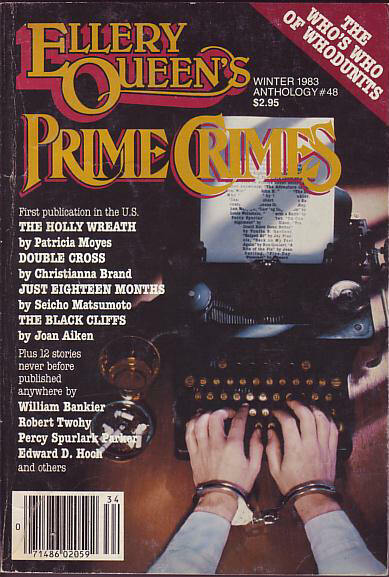 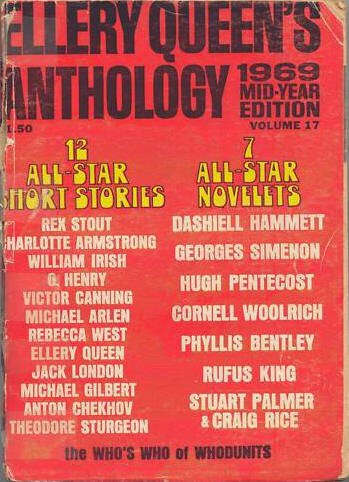 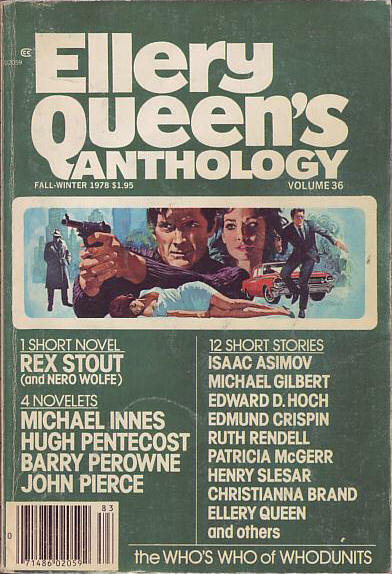 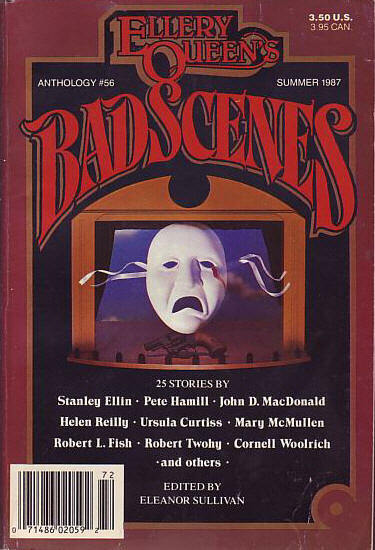 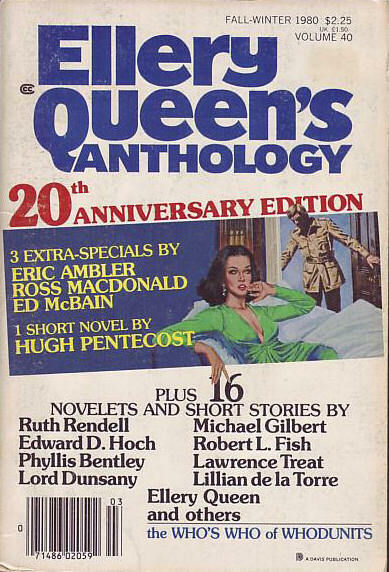 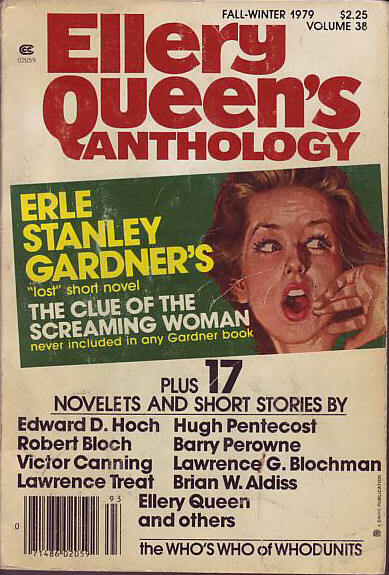 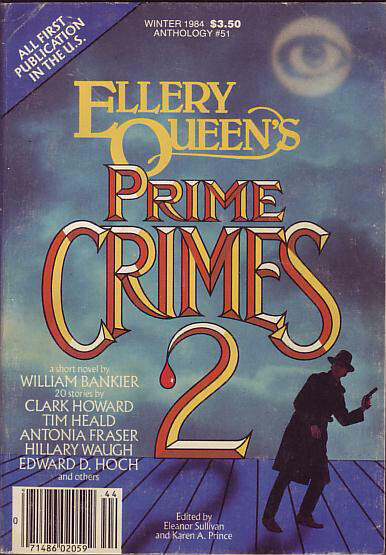 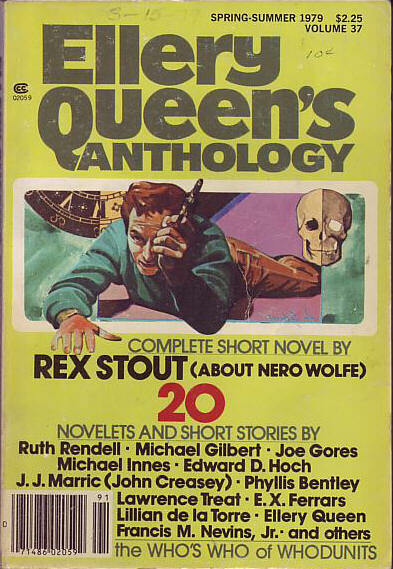 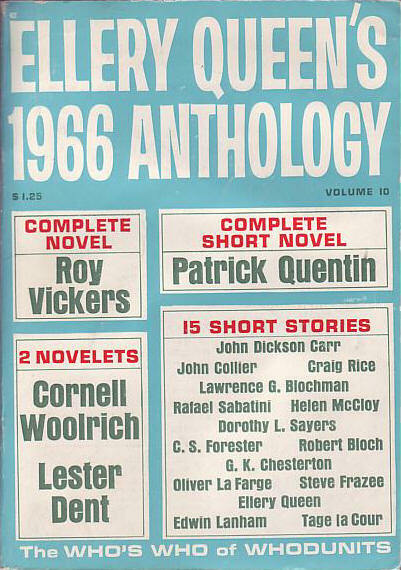 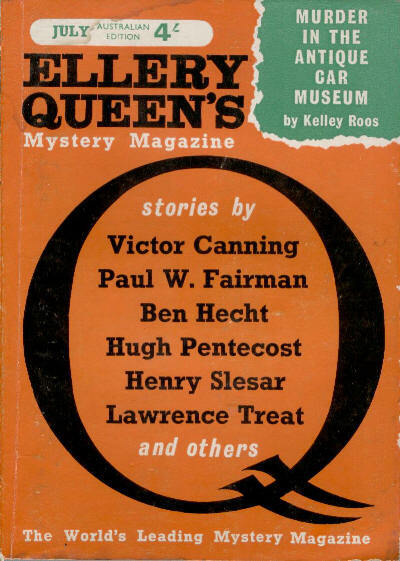 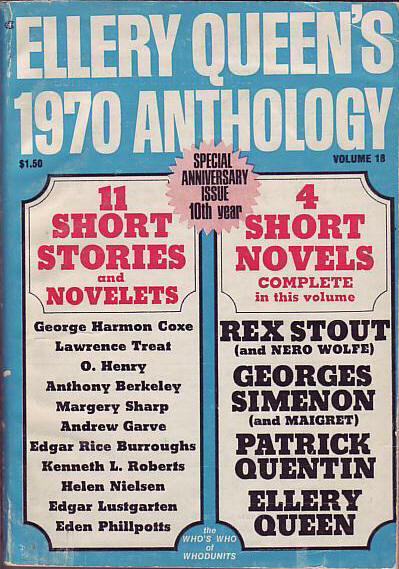 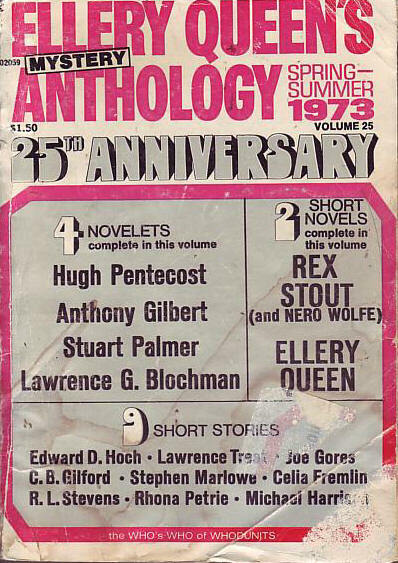 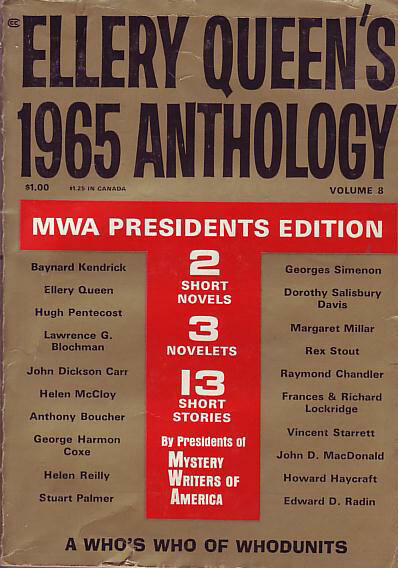 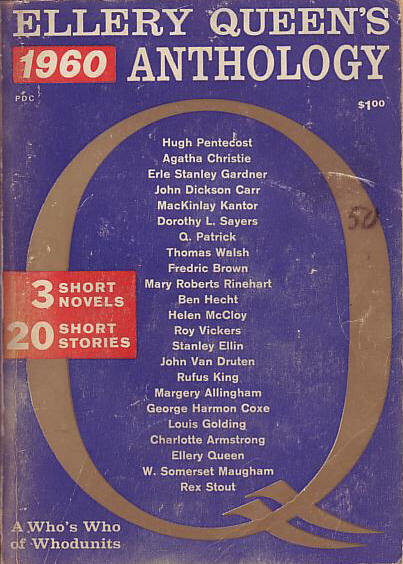 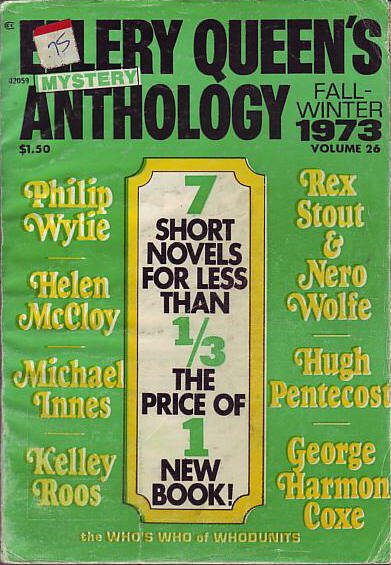 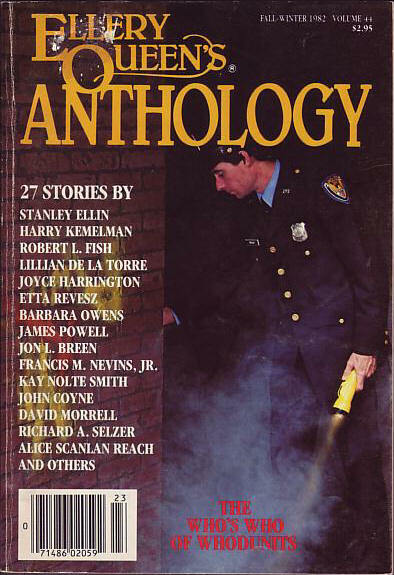 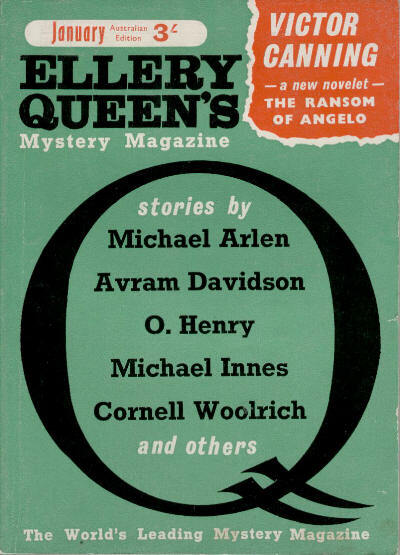 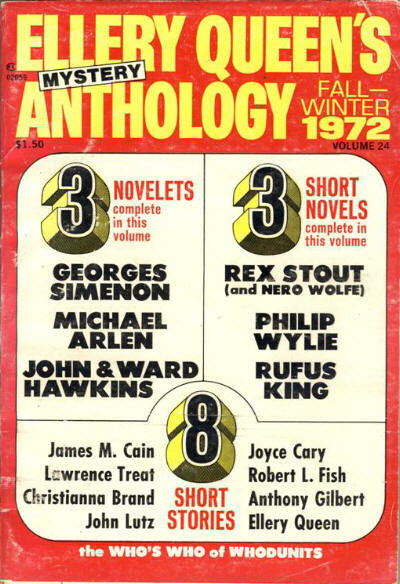 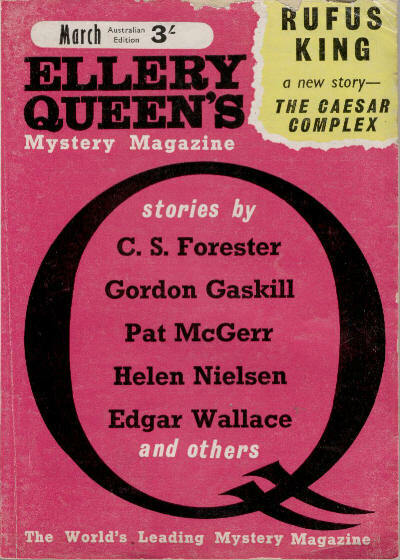 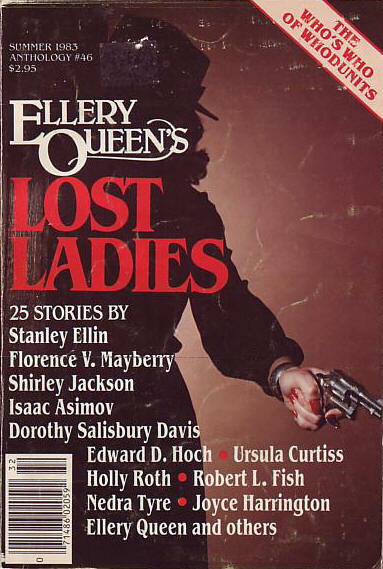 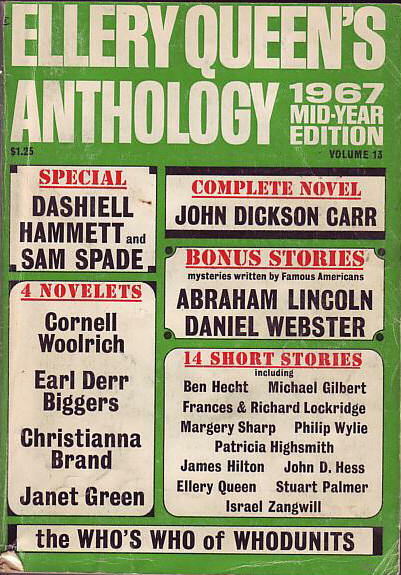 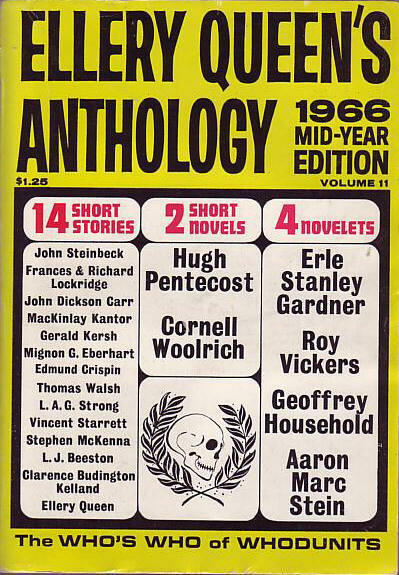 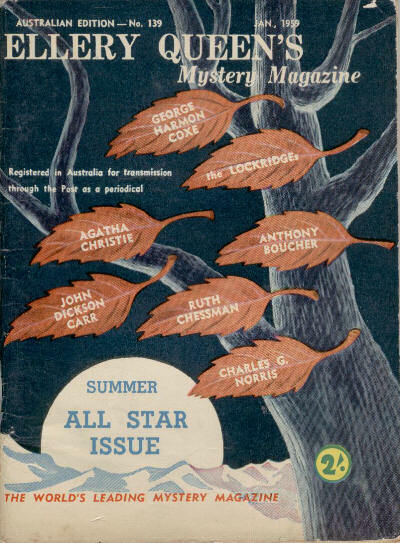 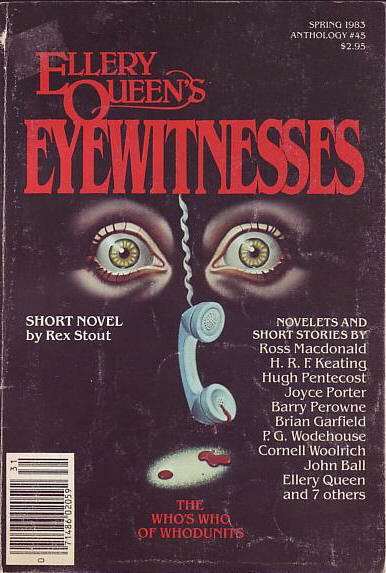 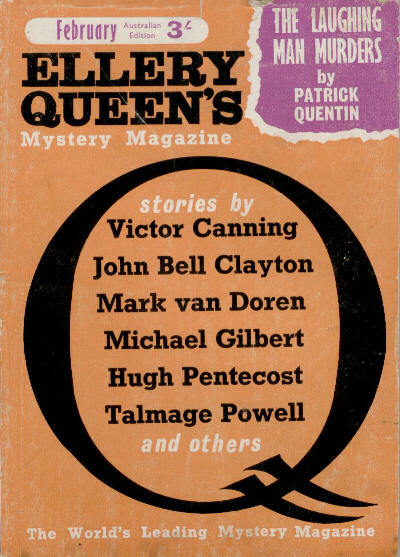 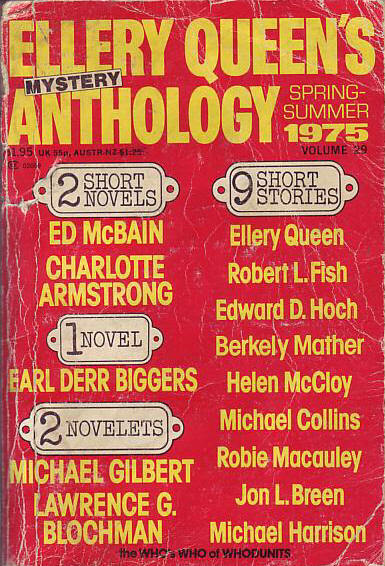 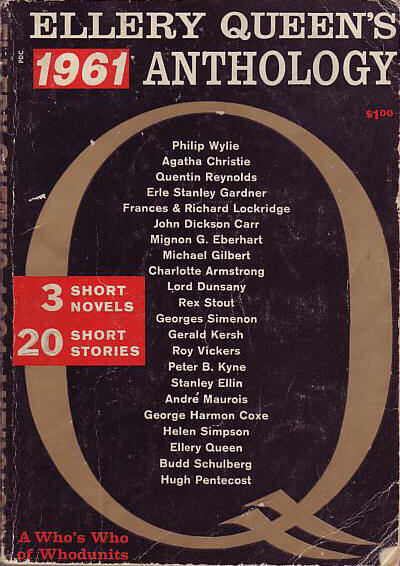 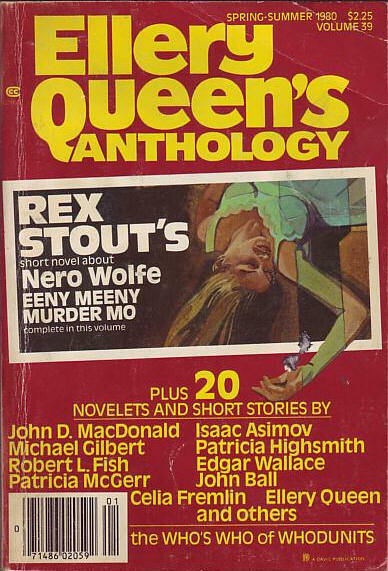 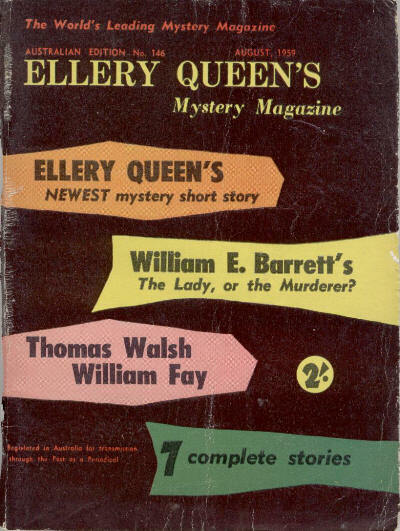 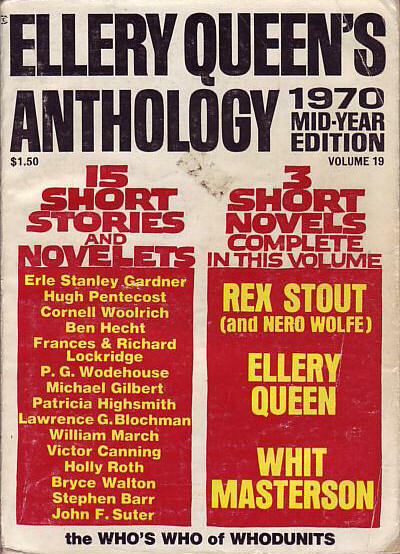 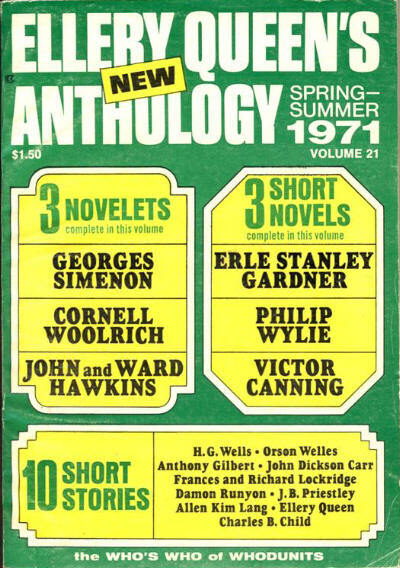 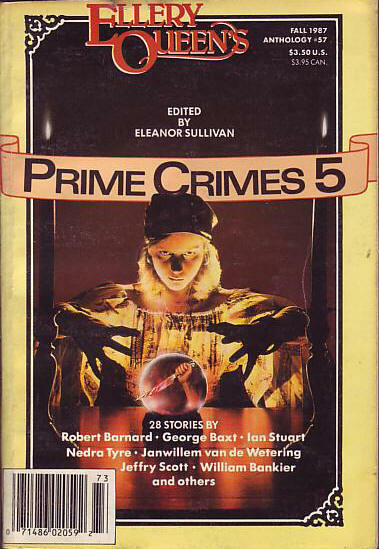 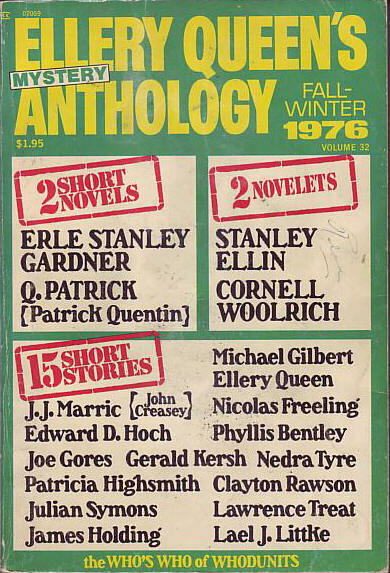 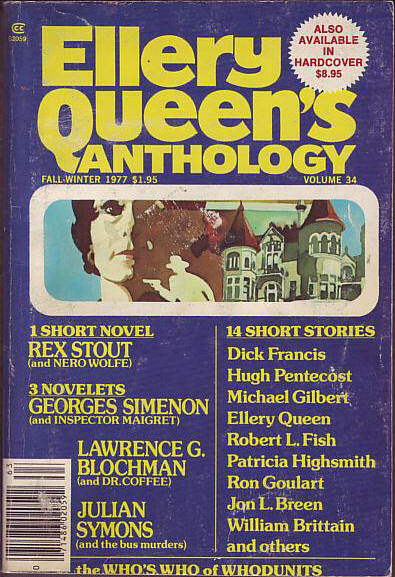 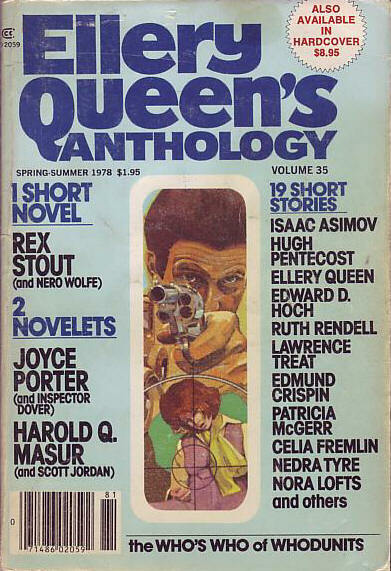 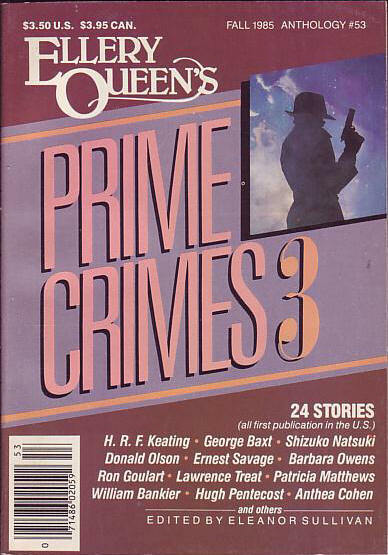 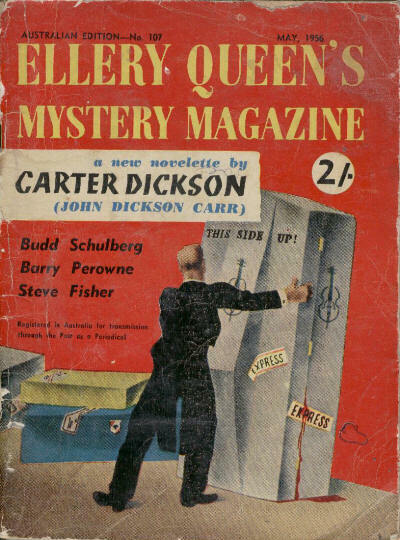 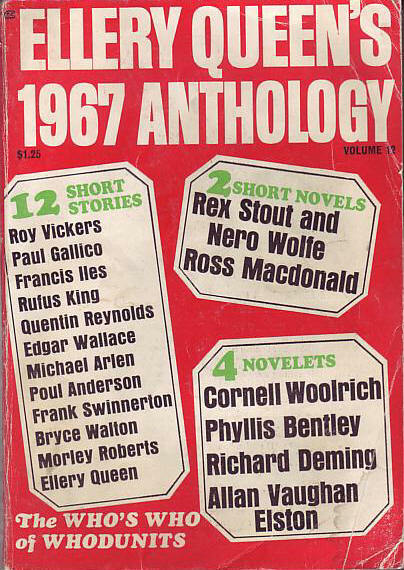 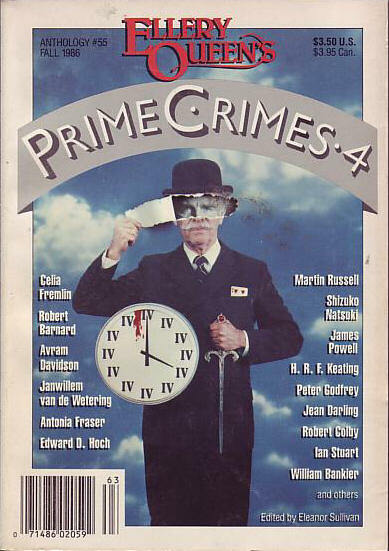 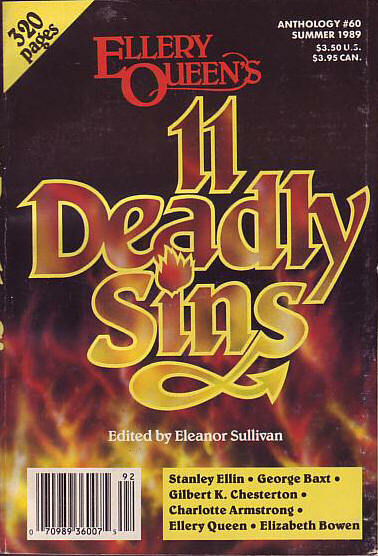 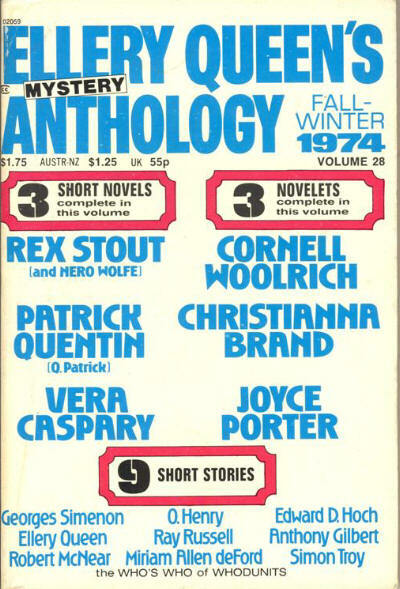 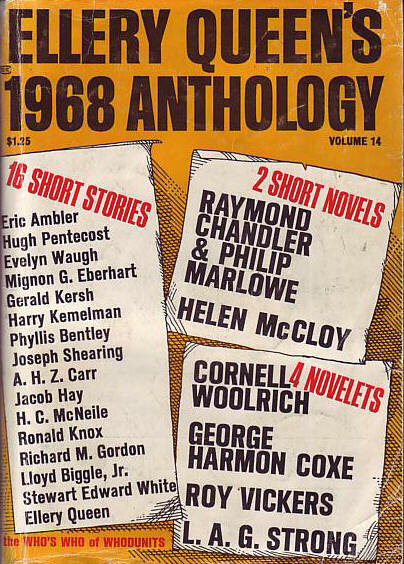 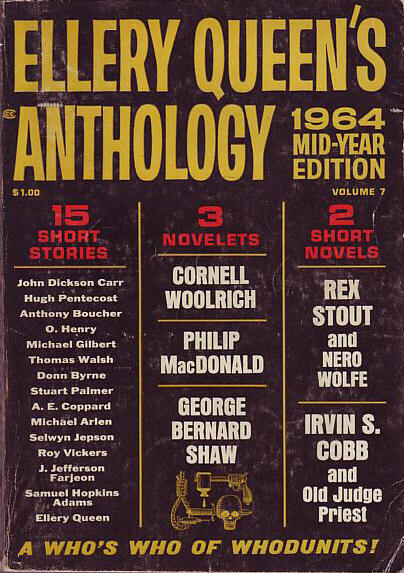 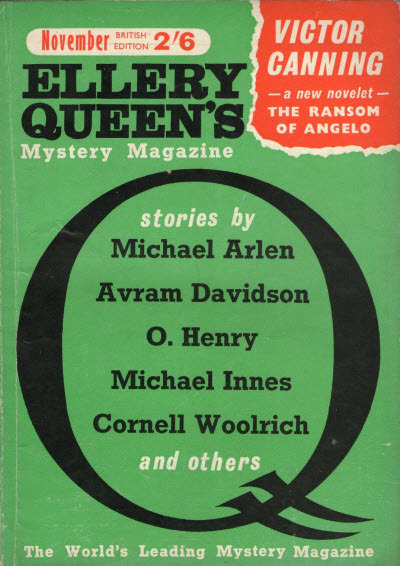 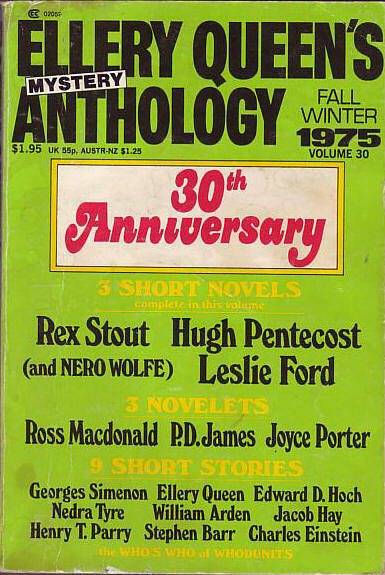 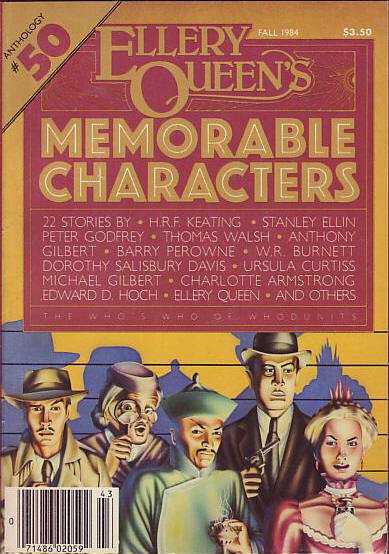 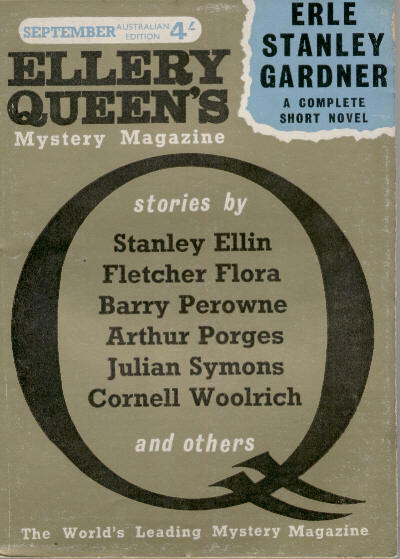 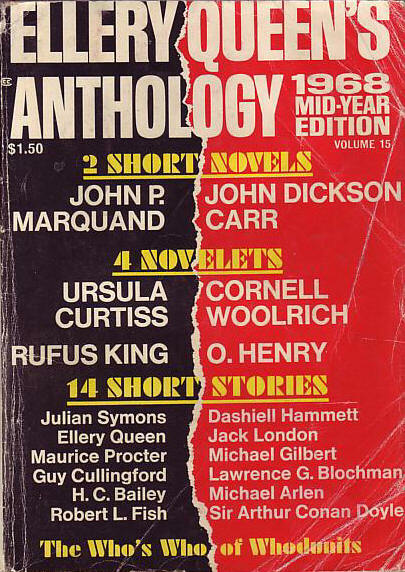 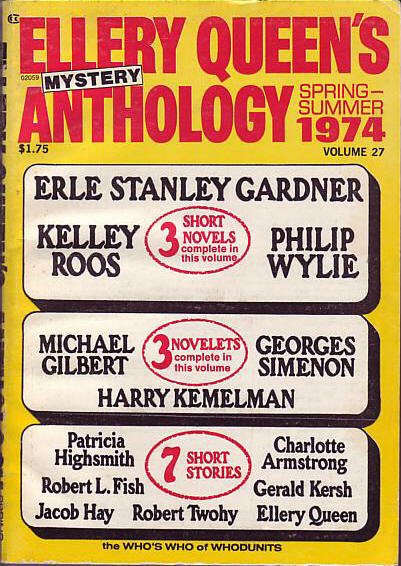 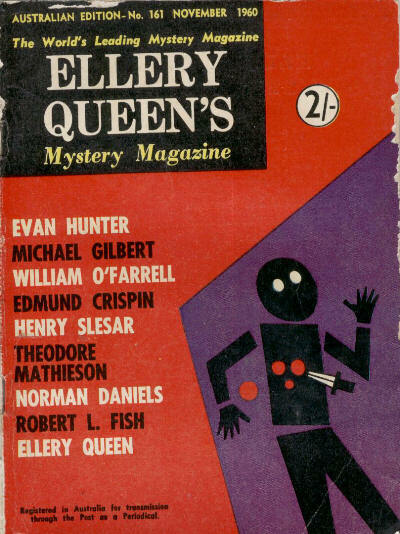 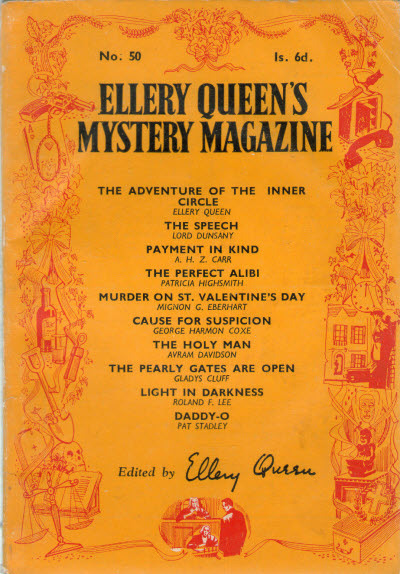 Initially an annual anthology of stories from Ellery Queen's Mystery Magazine, Ellery Queen's Anthology soon moved to a twice yearly schedule, and even included some original stories. 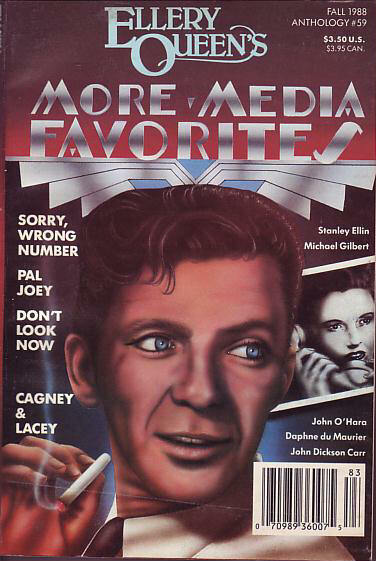 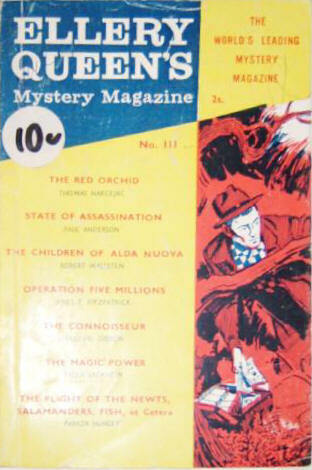 Its digest format, and sequential numbering, gave it the appearance of a magazine. 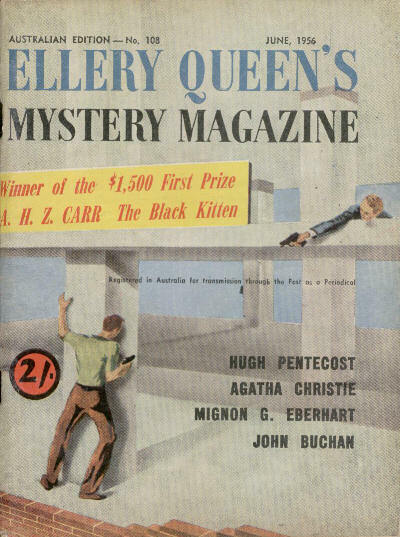 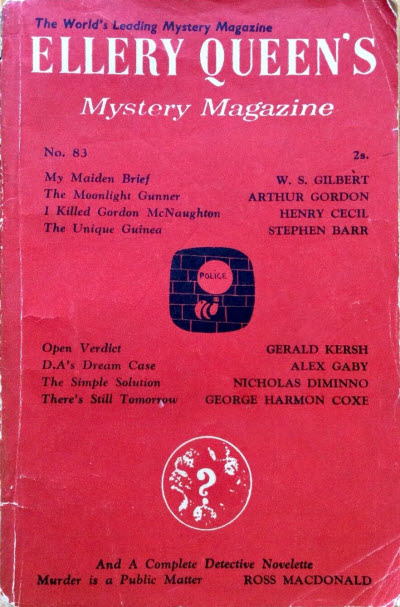 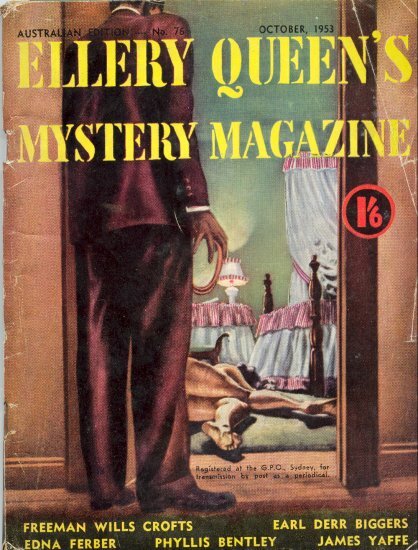 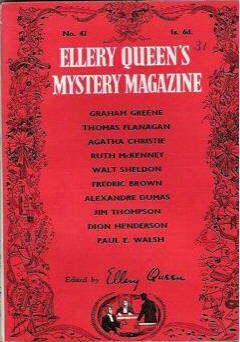 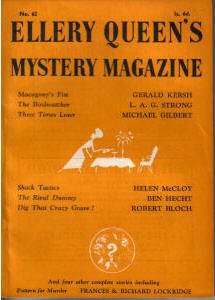 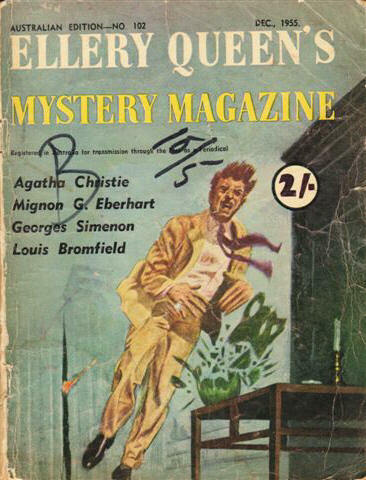 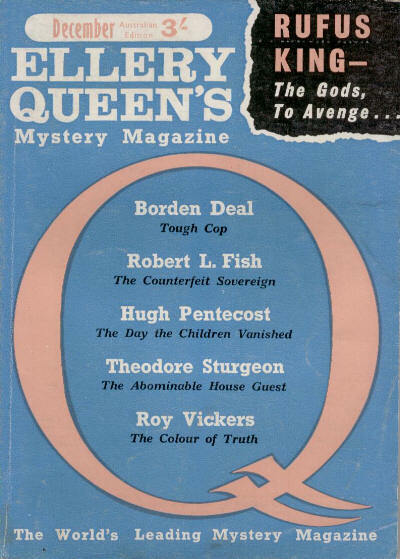 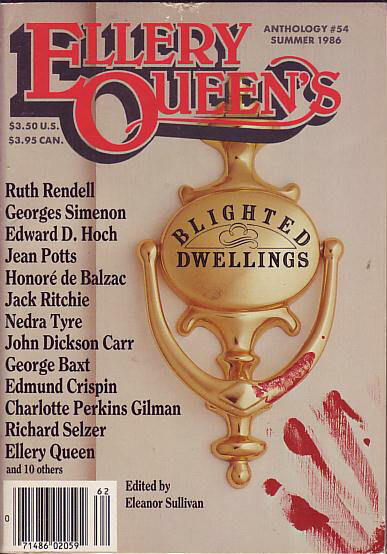 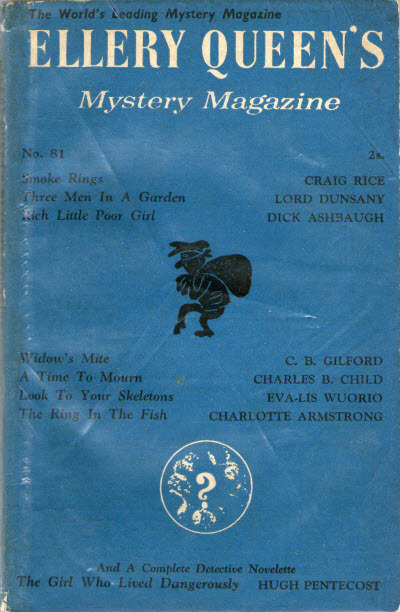 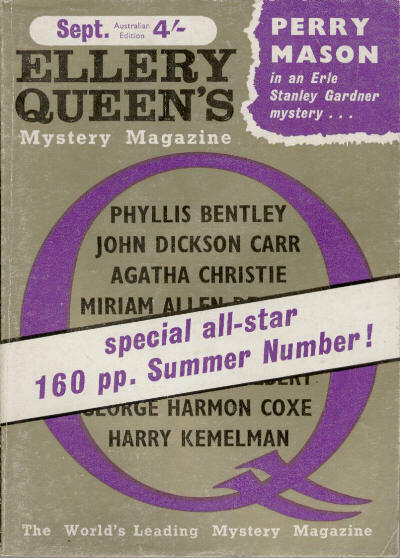 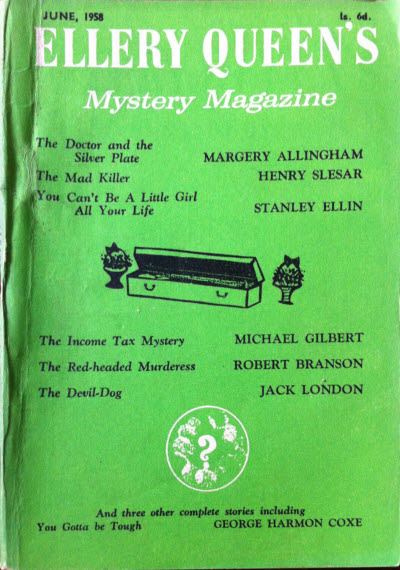 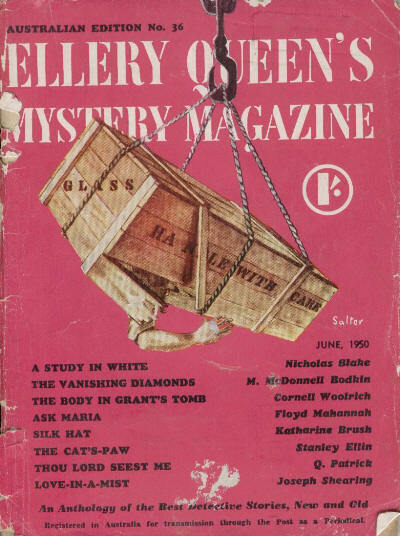 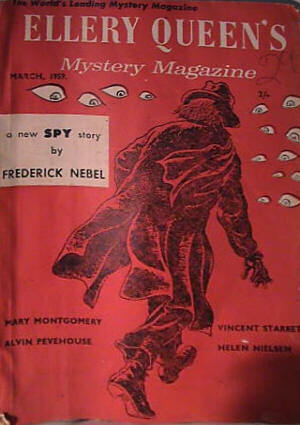 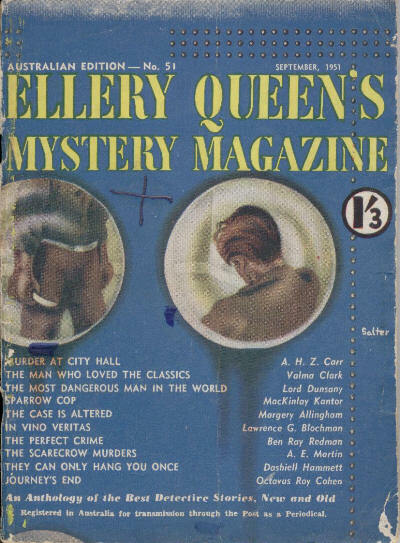 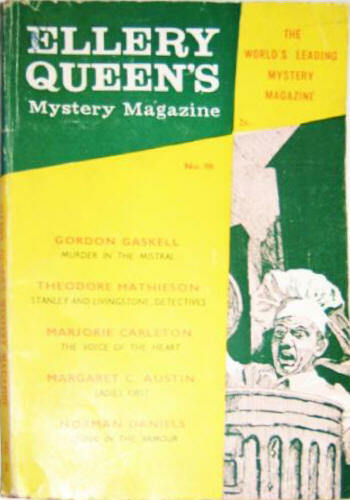 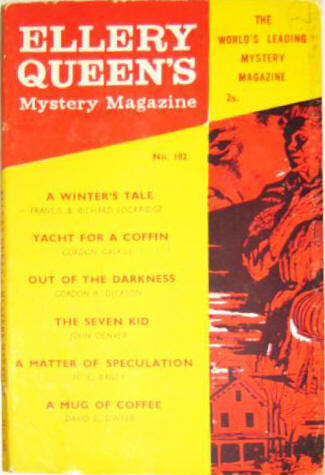 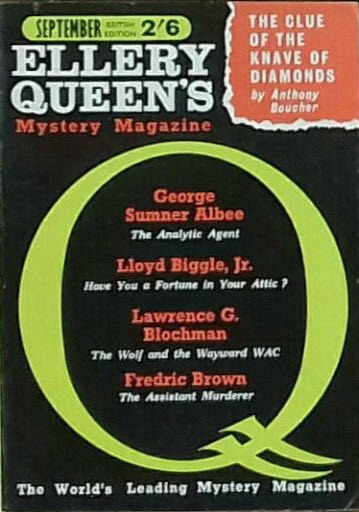 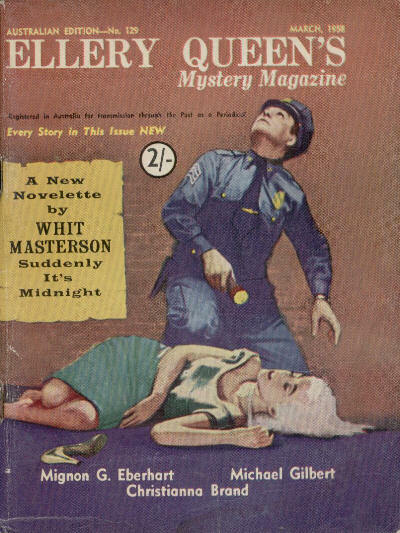 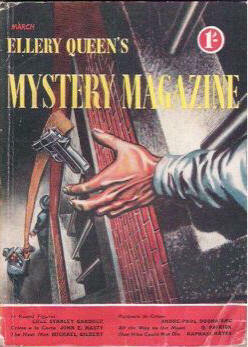 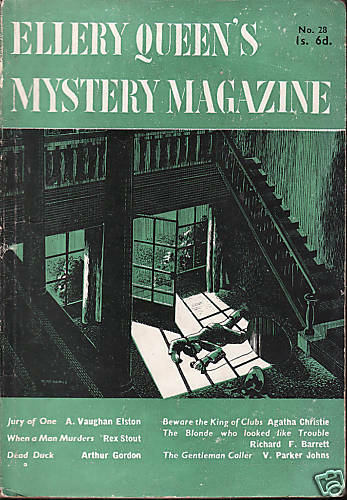 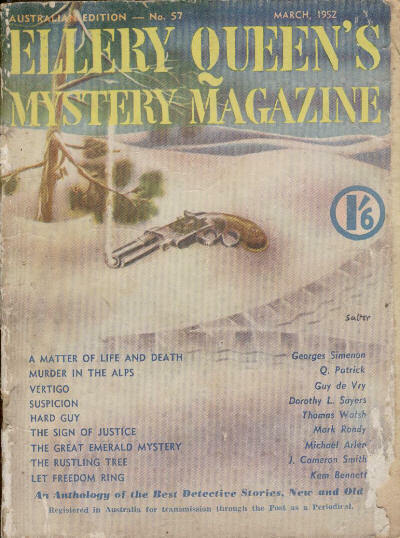 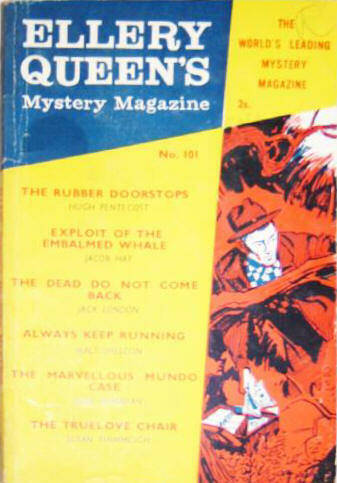 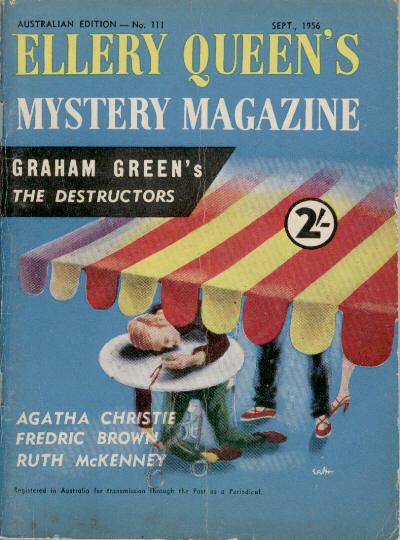 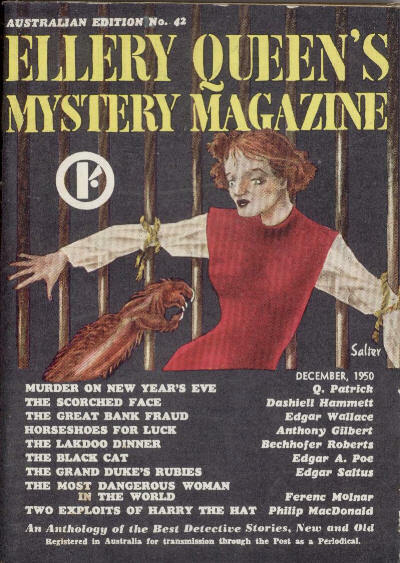 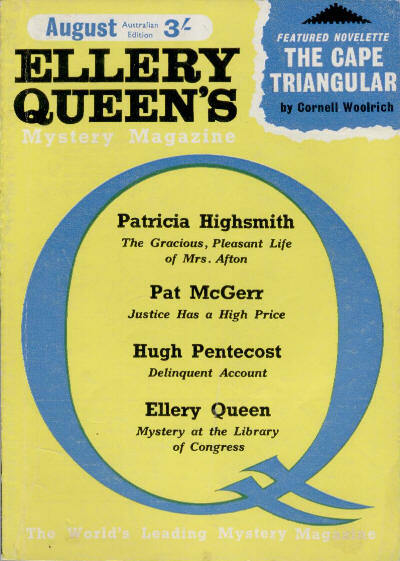 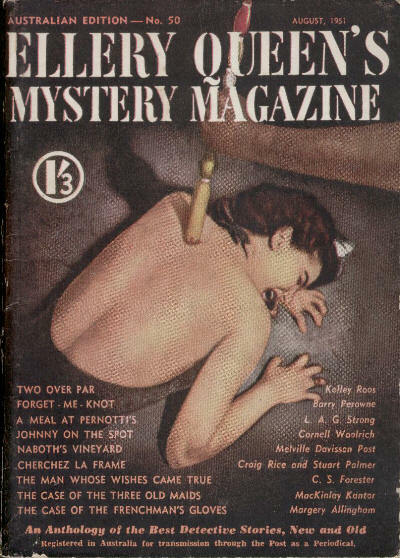 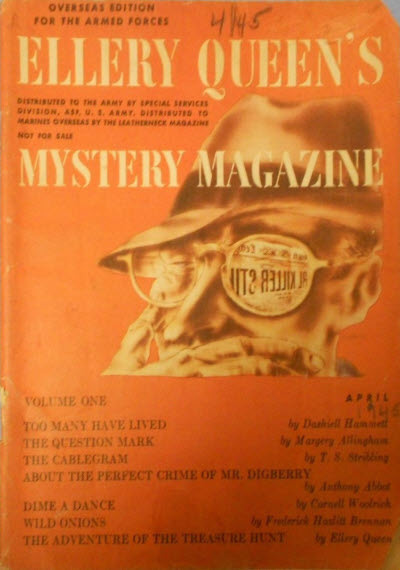 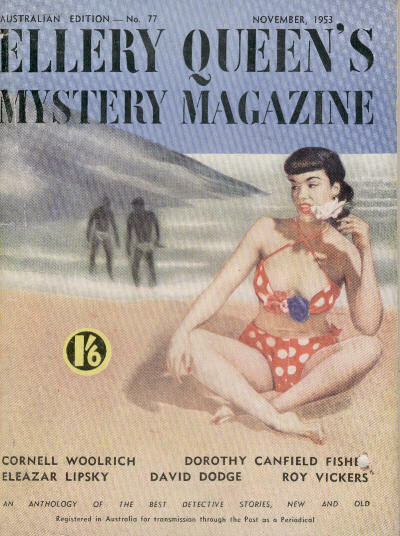 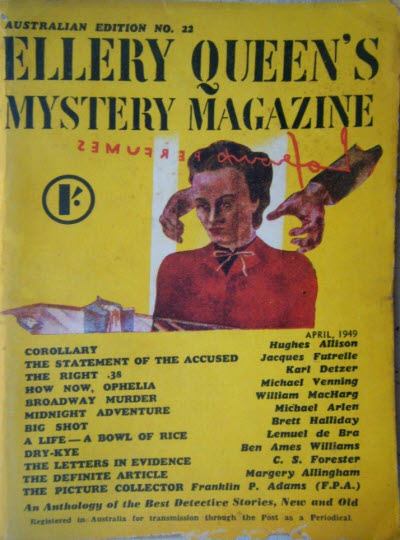 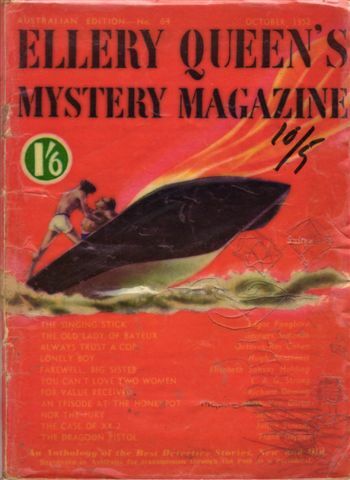 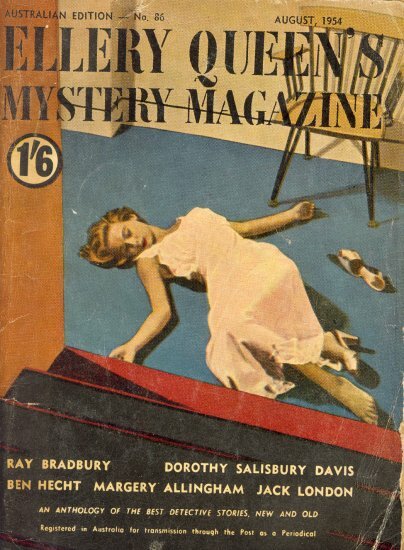 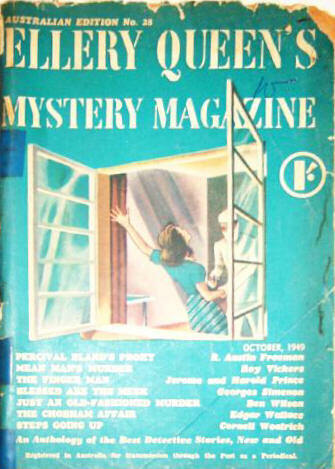 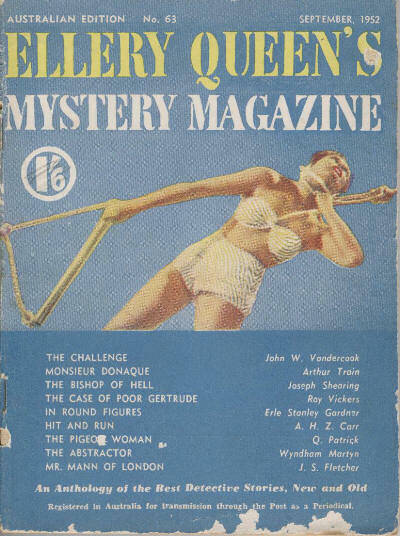 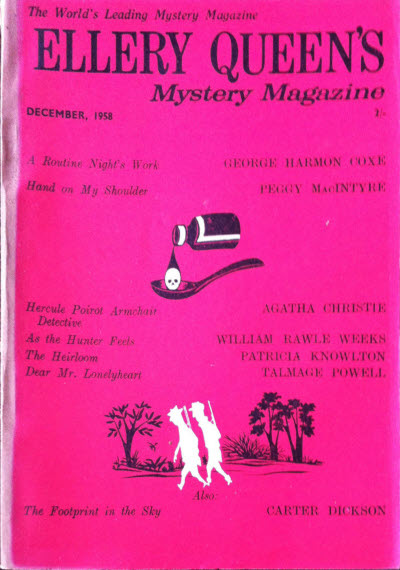 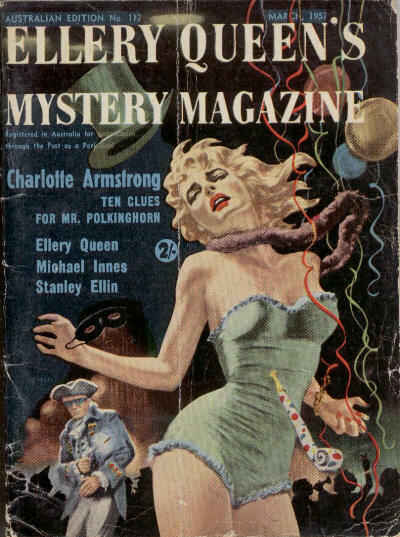 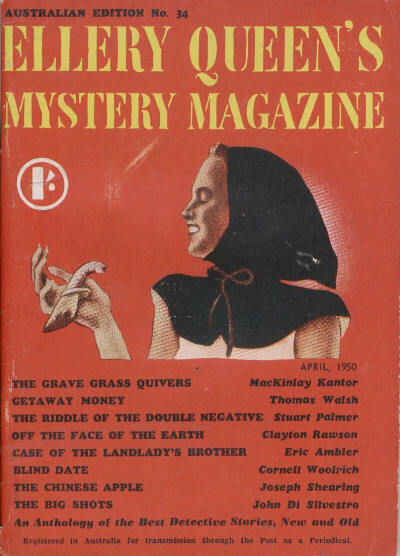 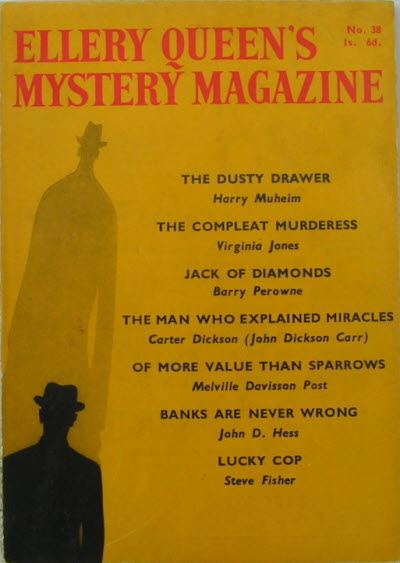 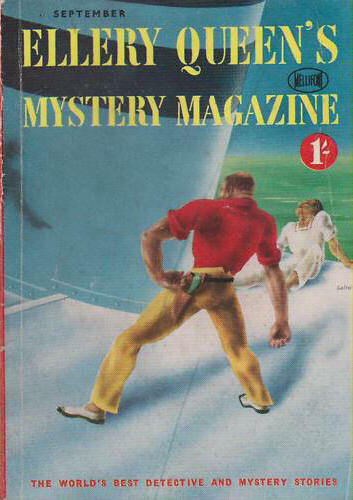 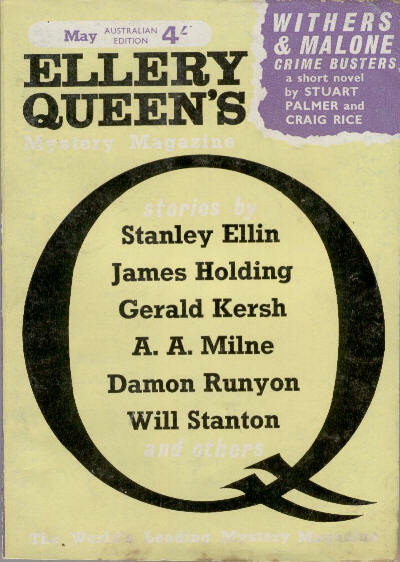 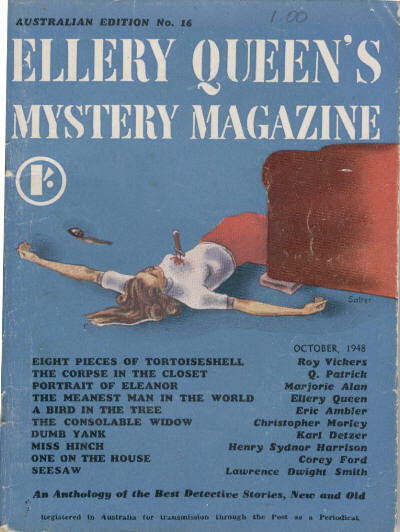 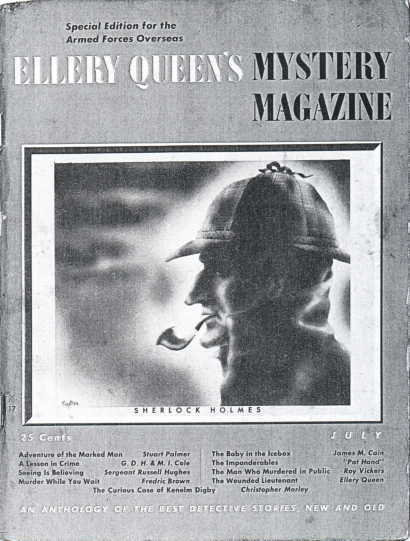 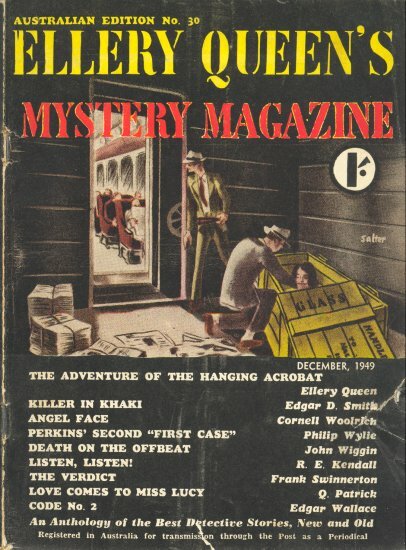 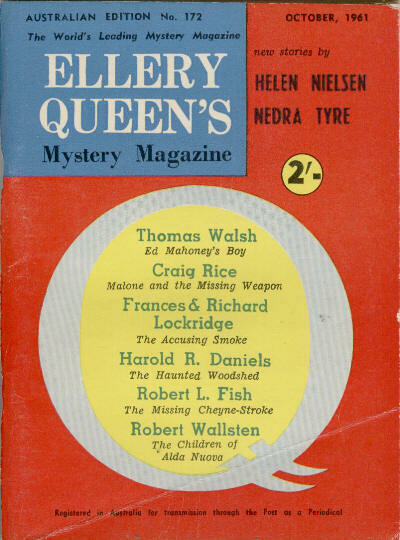 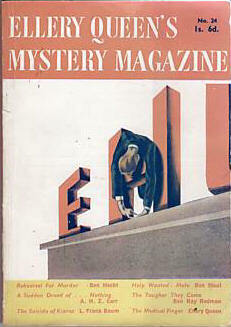 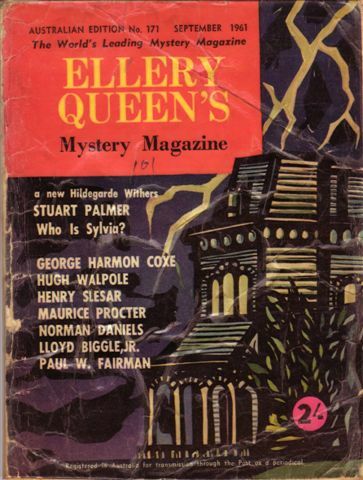 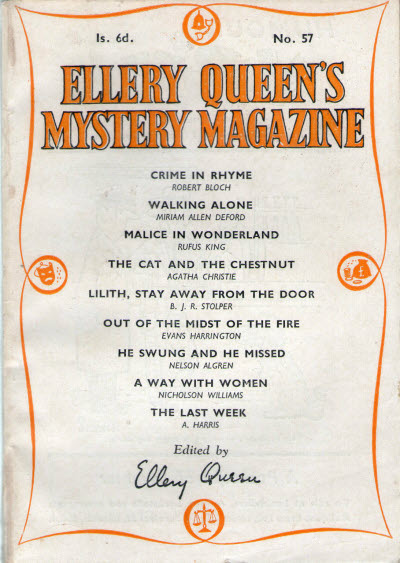 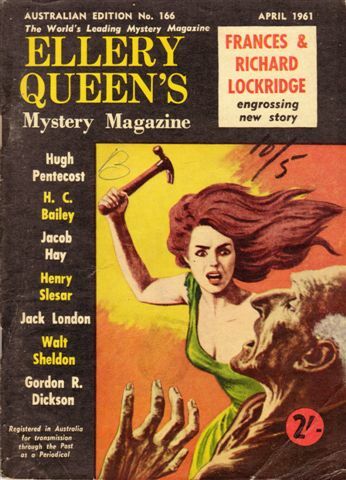 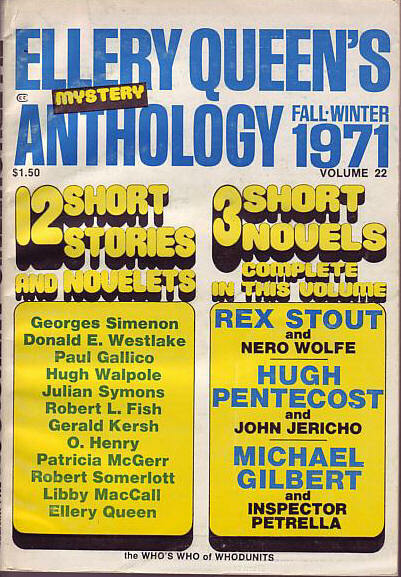 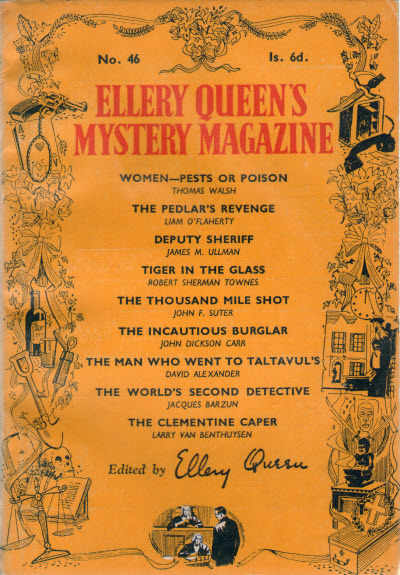 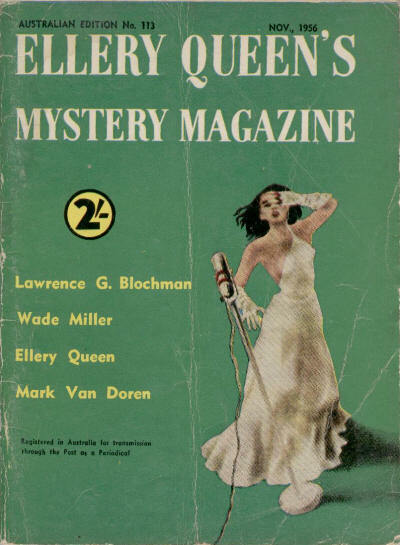 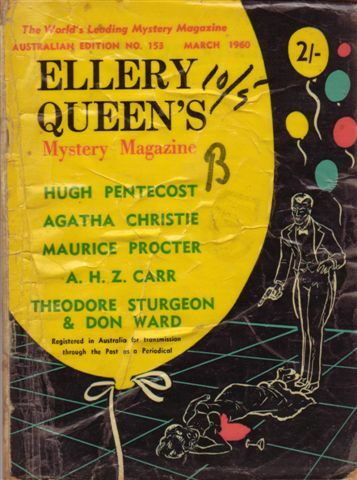 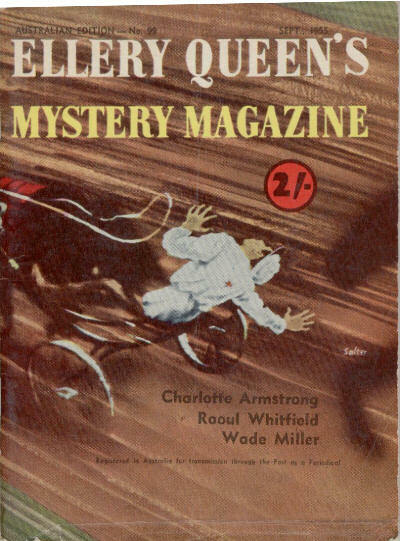 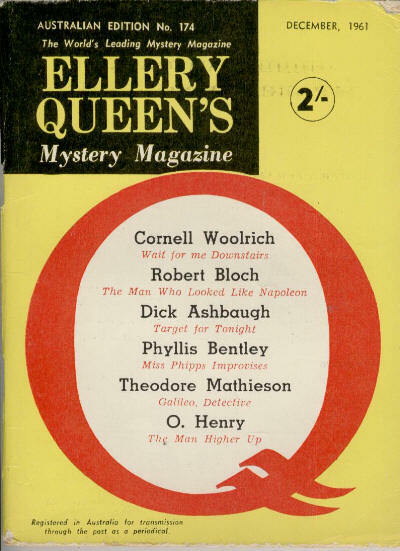 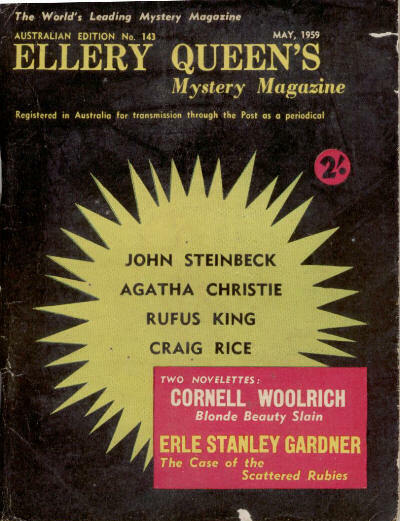 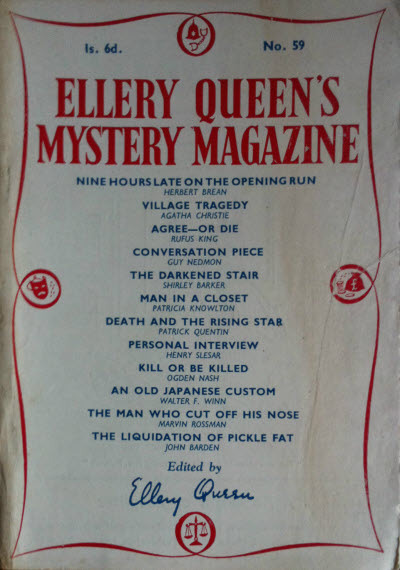 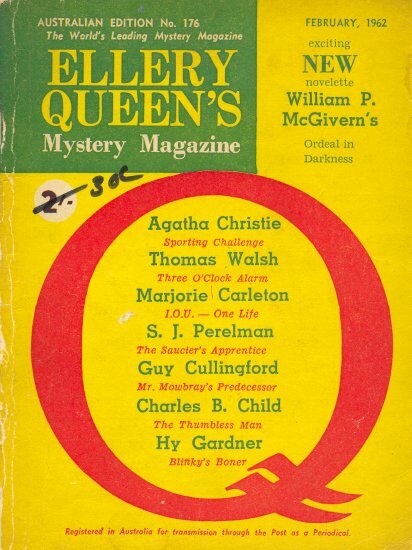 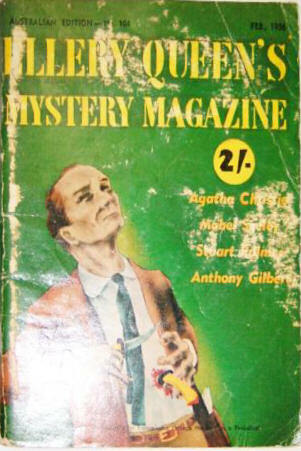 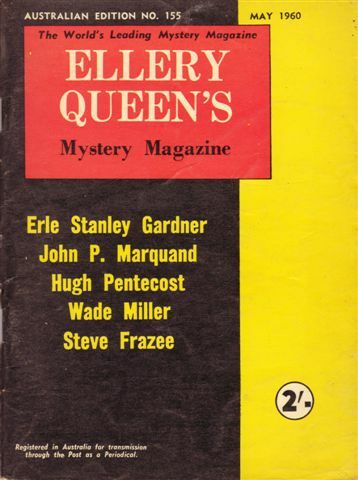 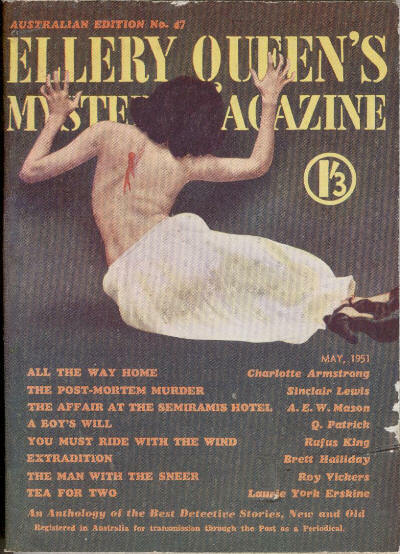 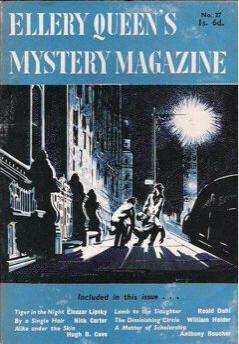 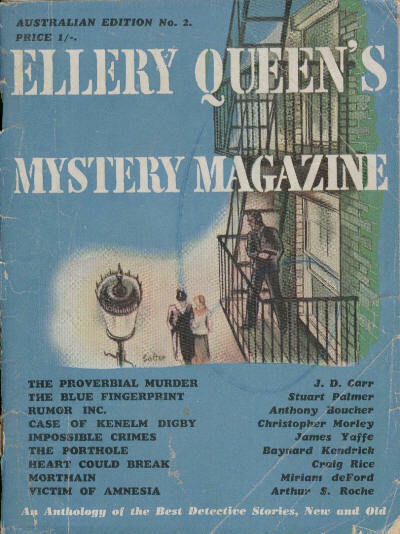 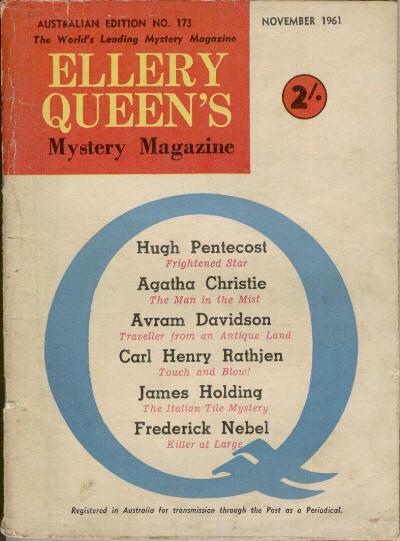 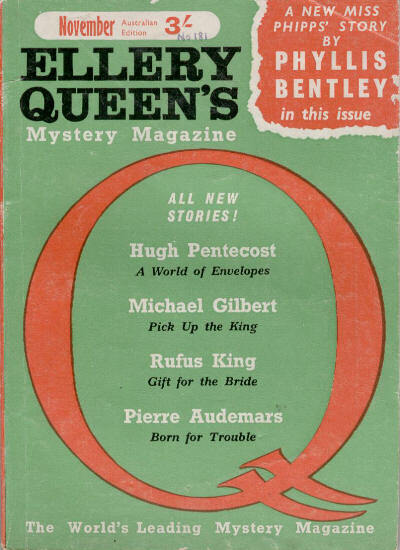 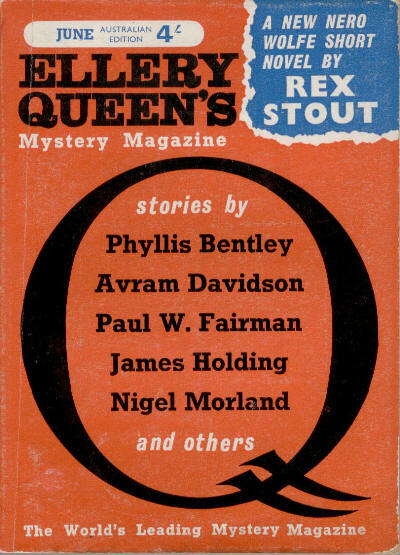 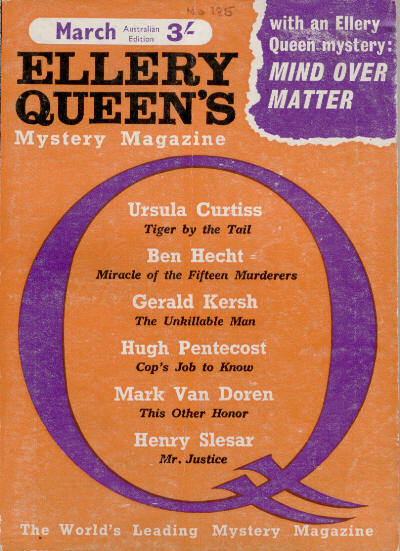 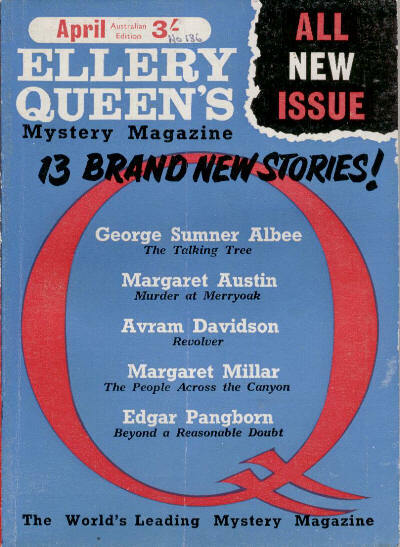 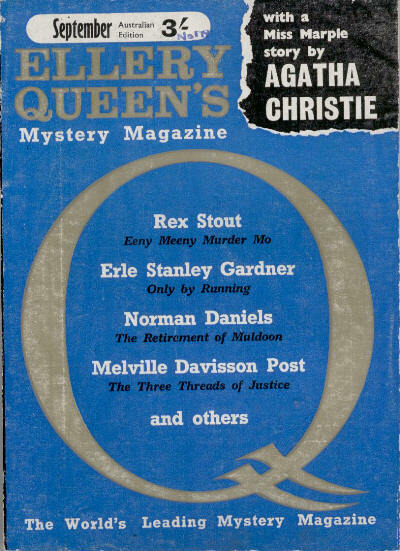 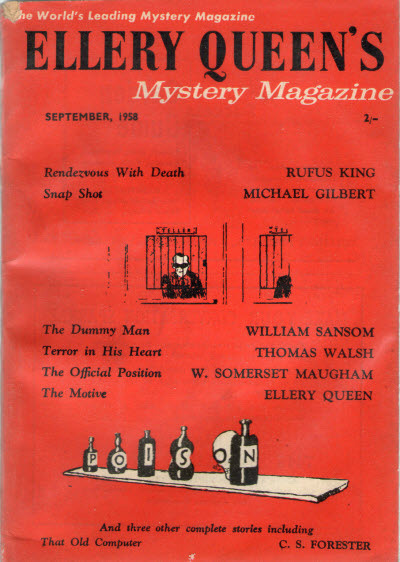 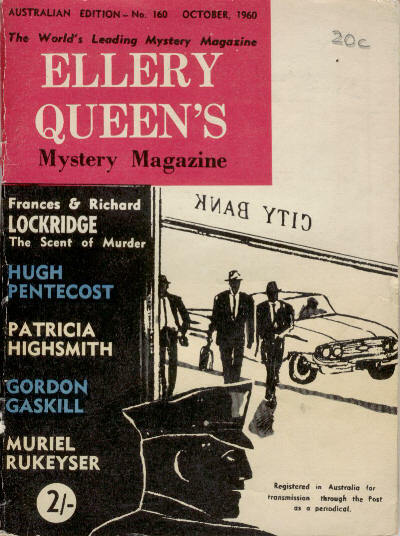 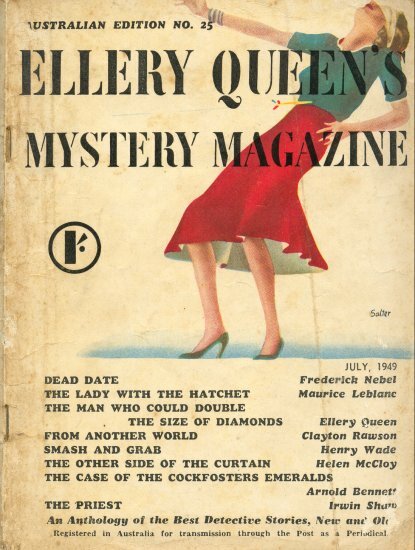 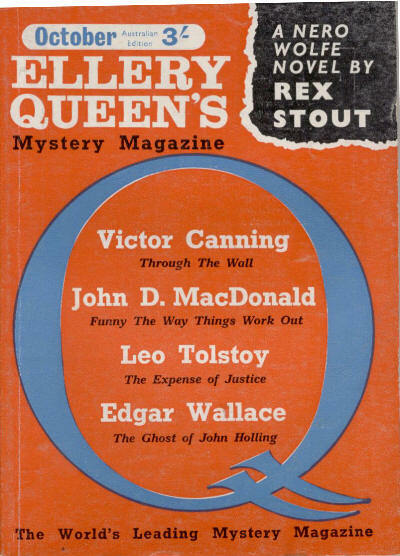 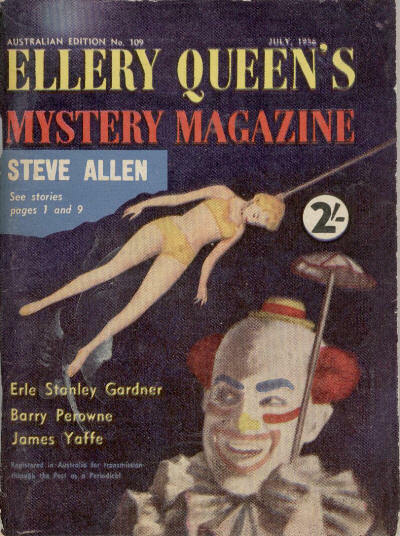 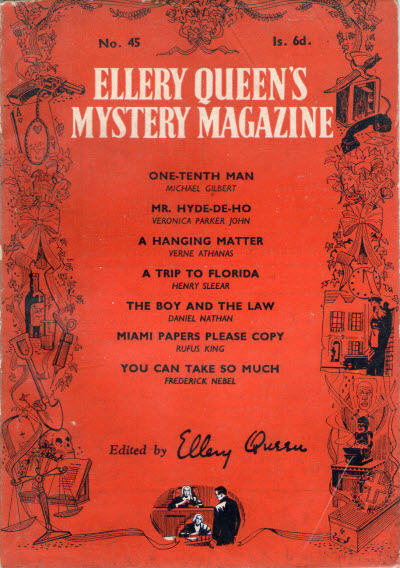 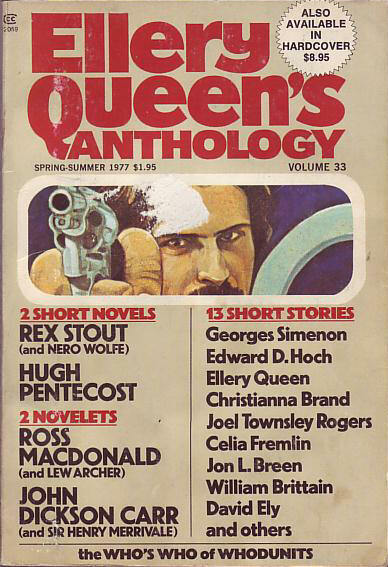 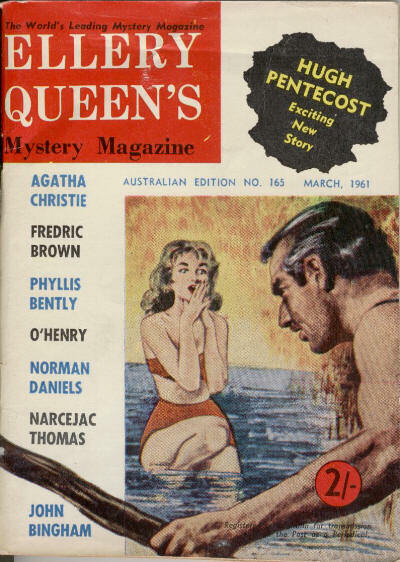 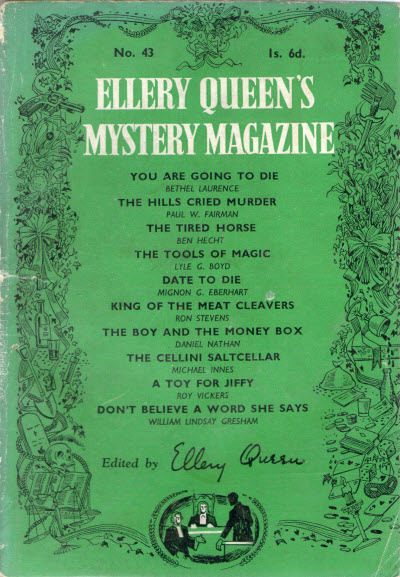 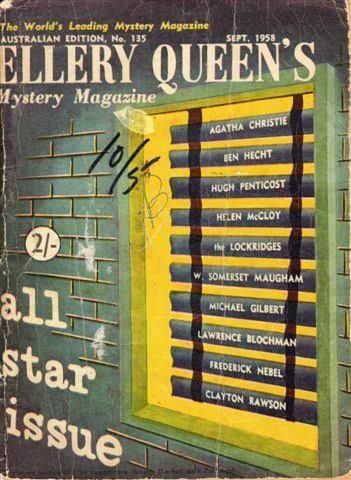 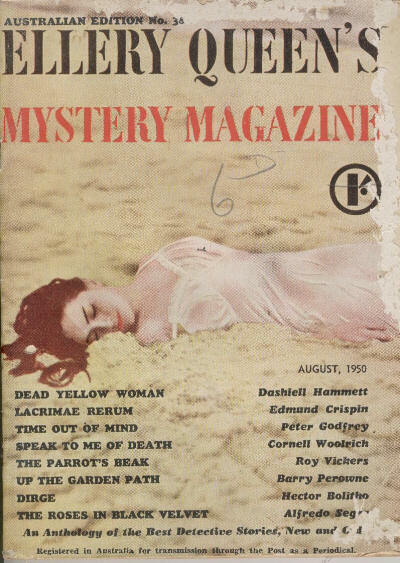 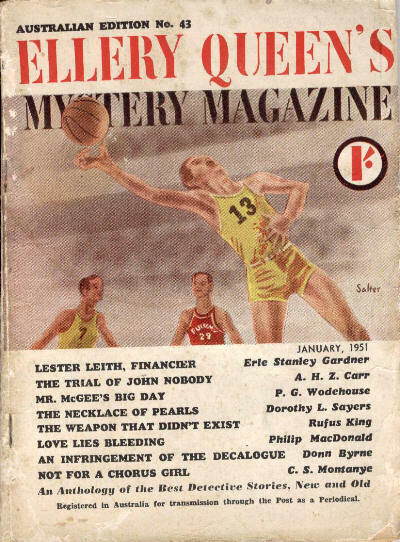 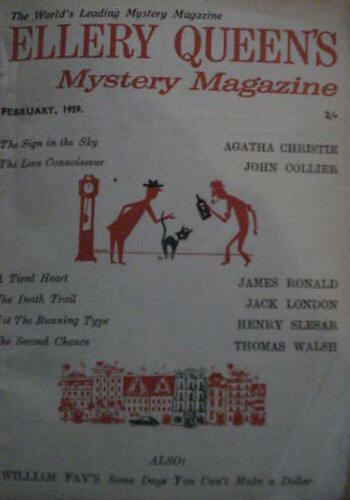 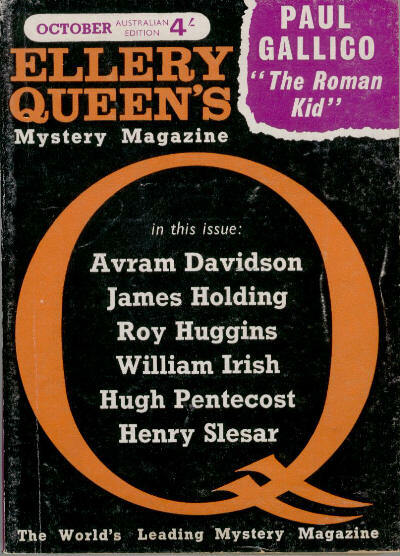 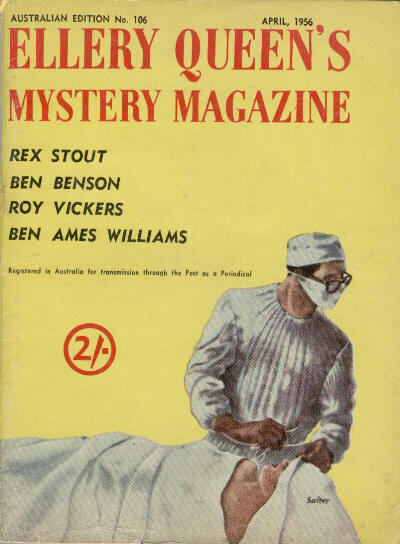 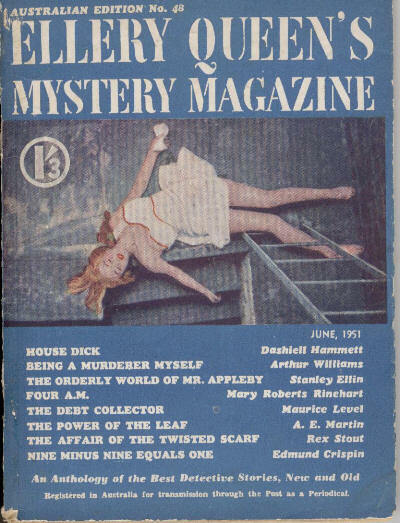 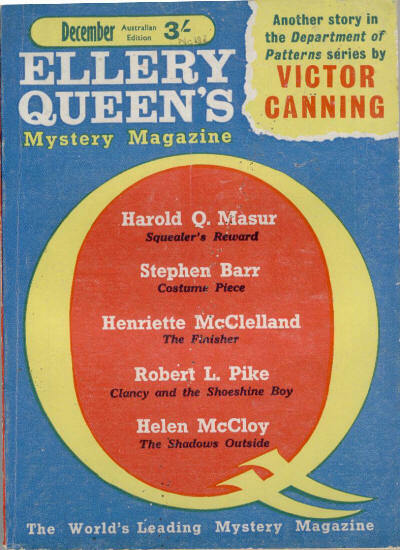 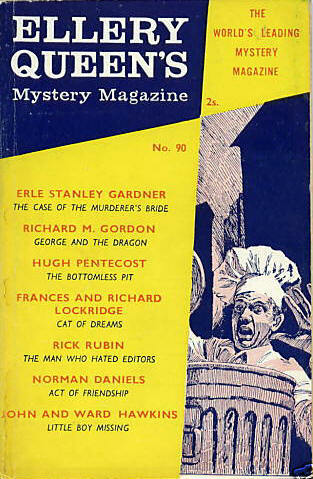 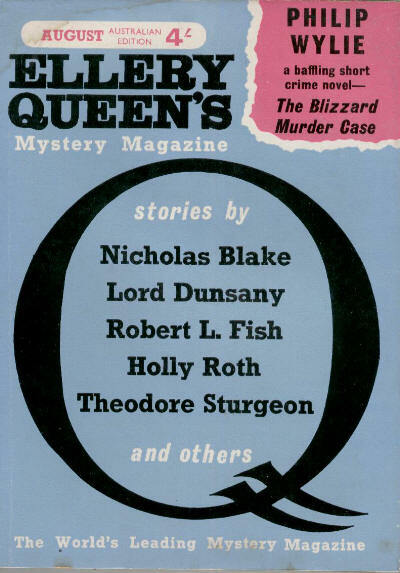 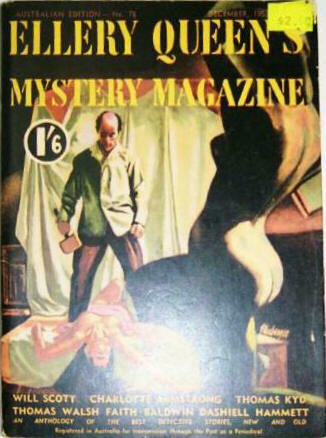 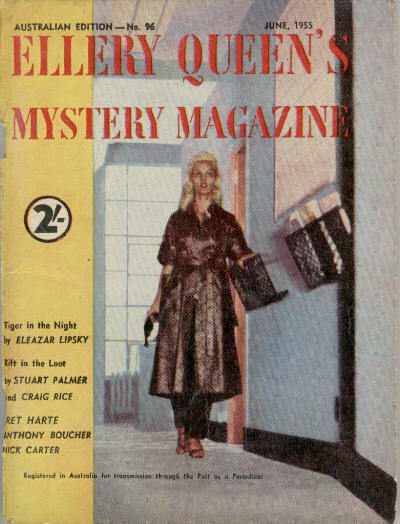 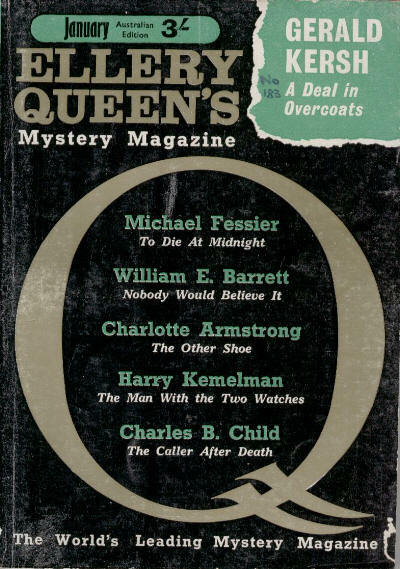 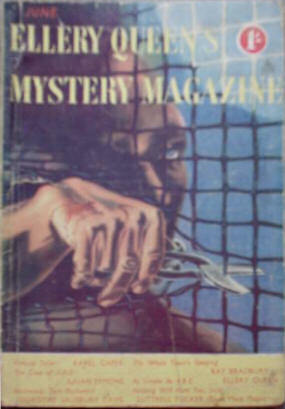 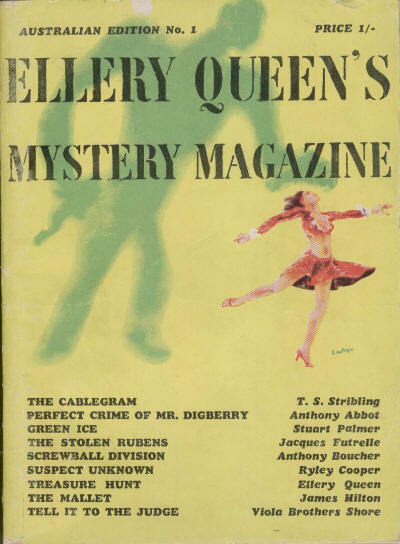 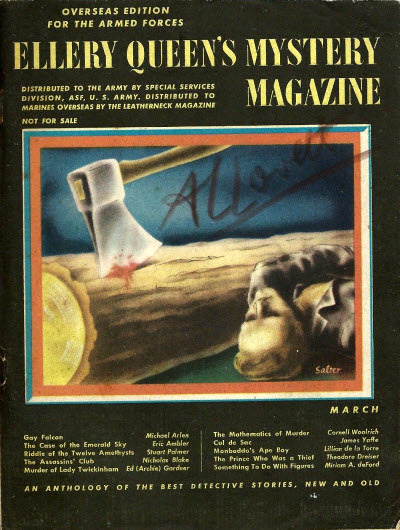 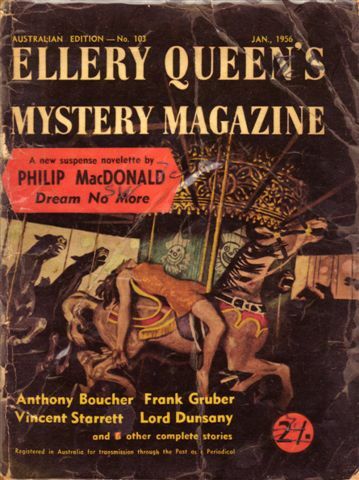 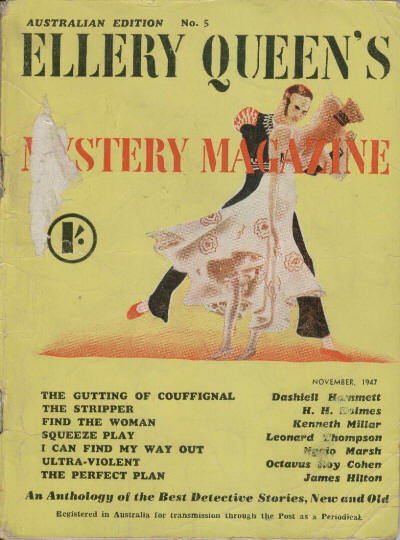 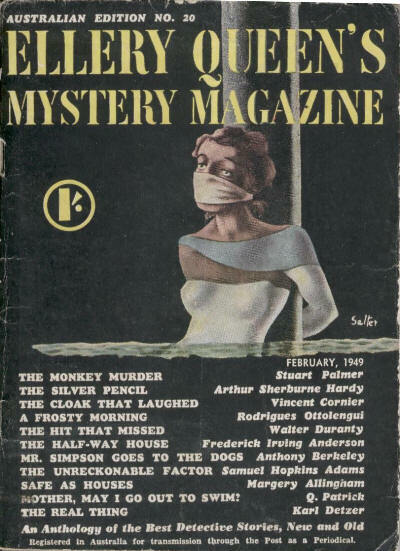 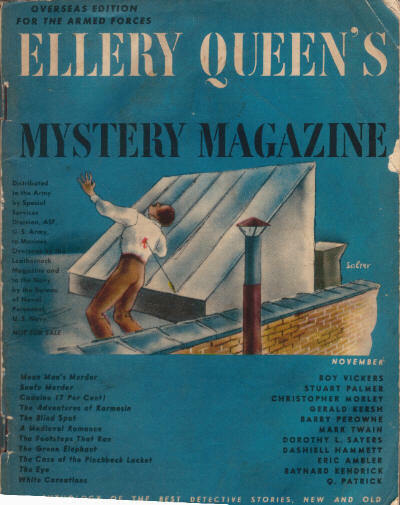 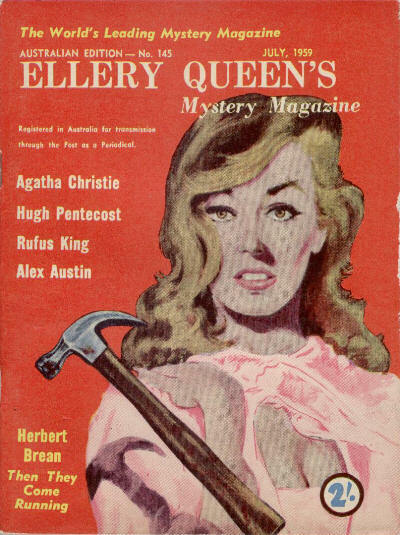 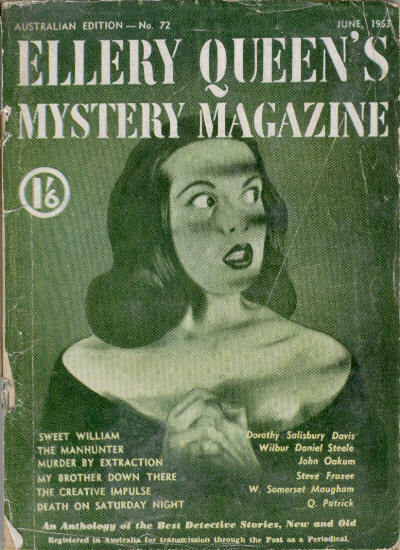 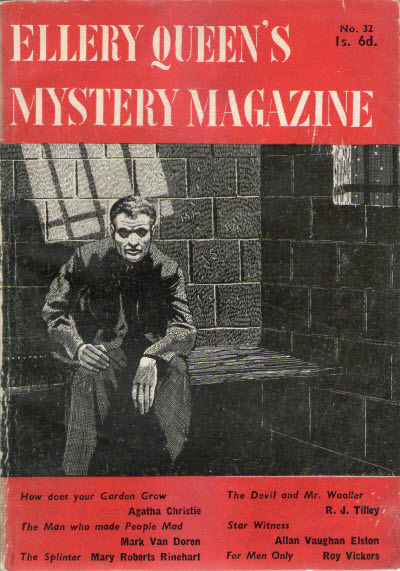 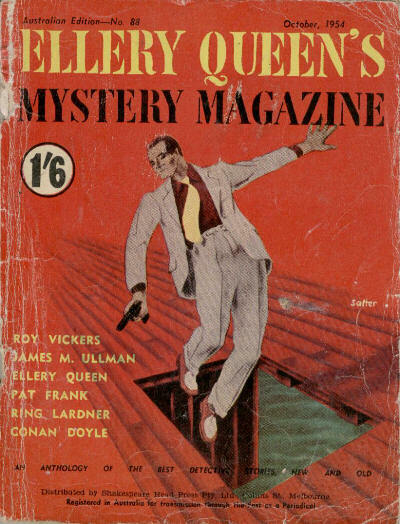 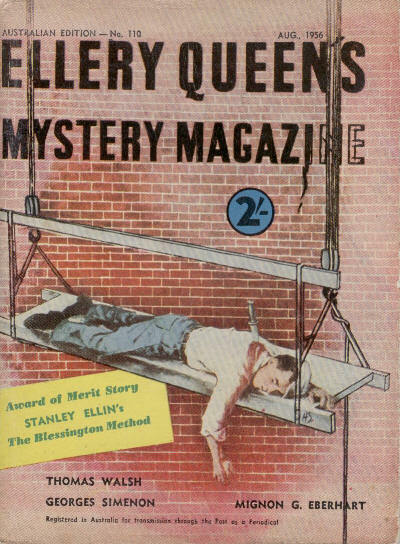 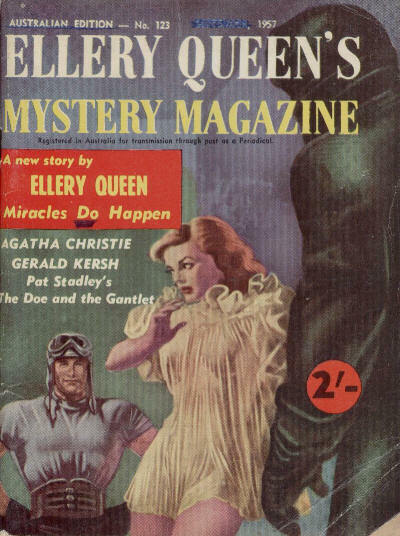 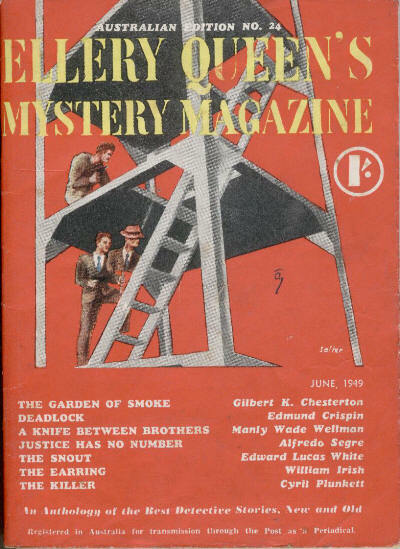 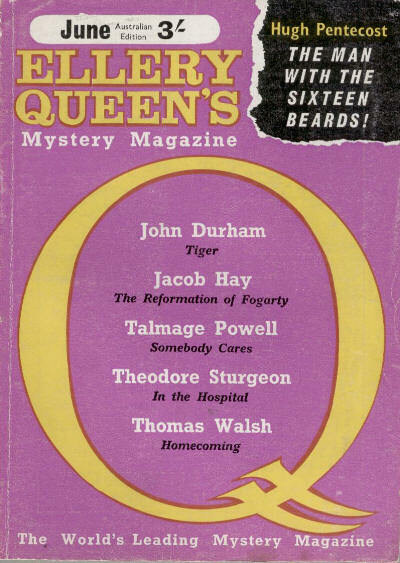 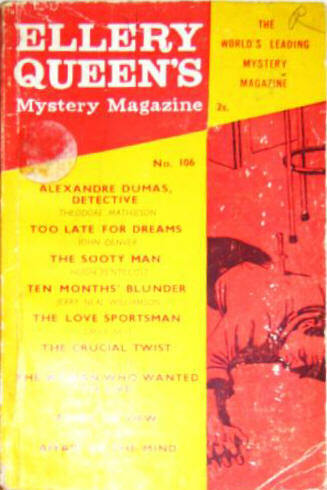 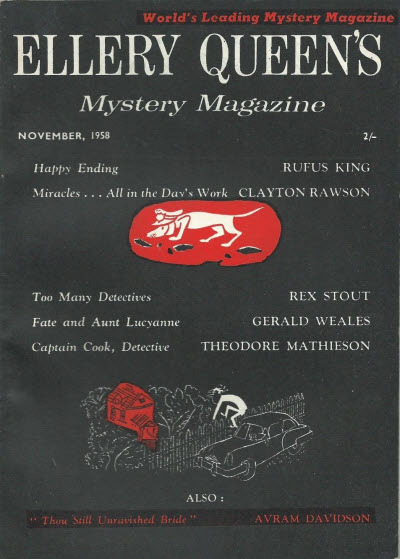 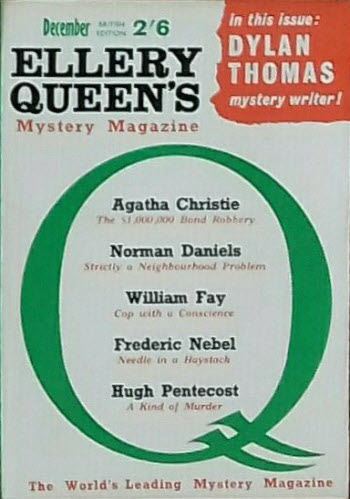 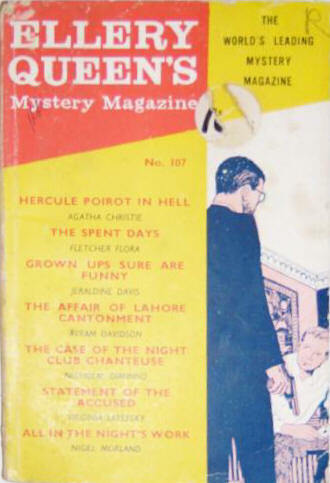 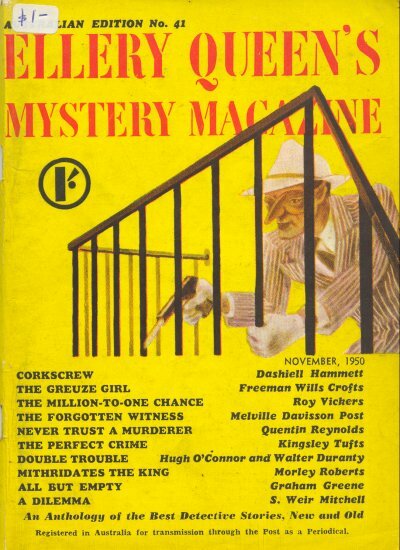 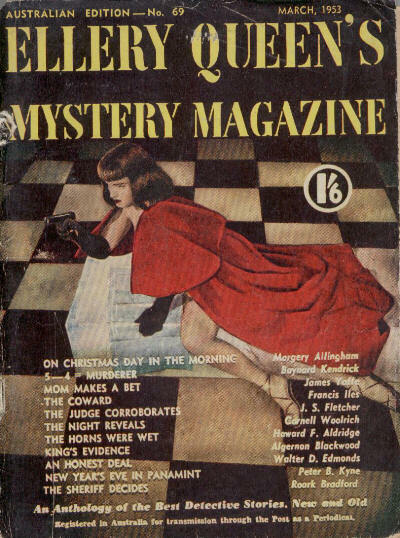 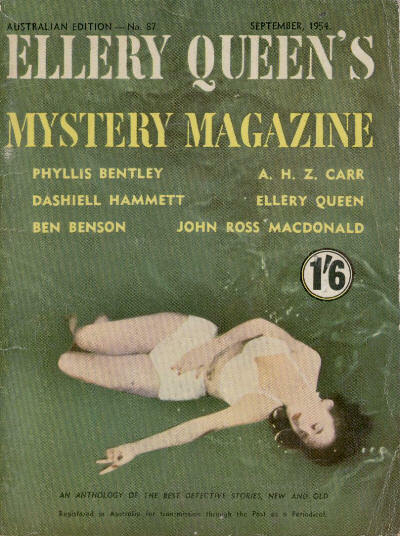 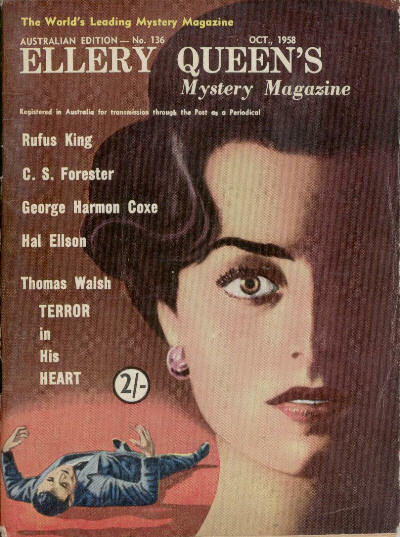 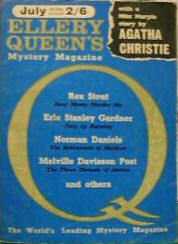 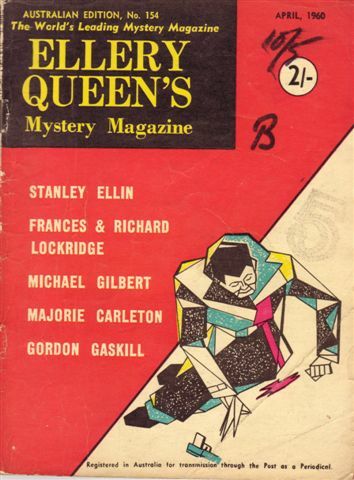 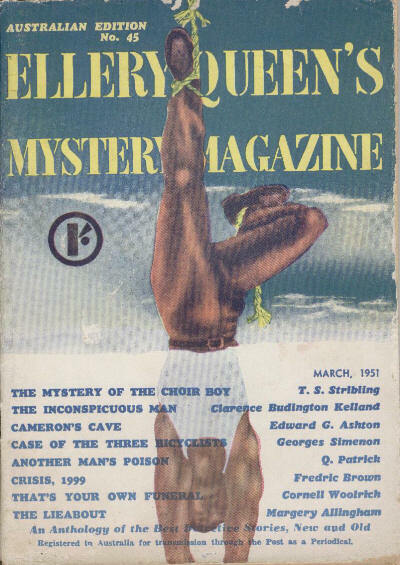 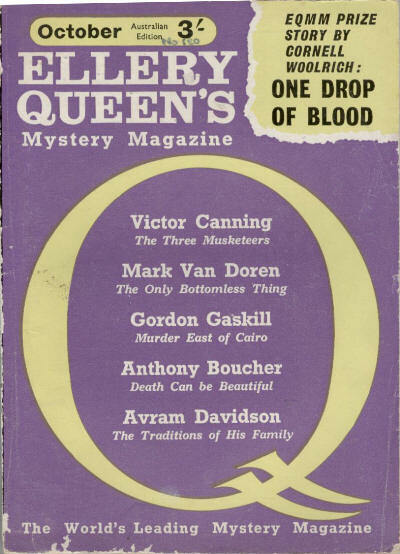 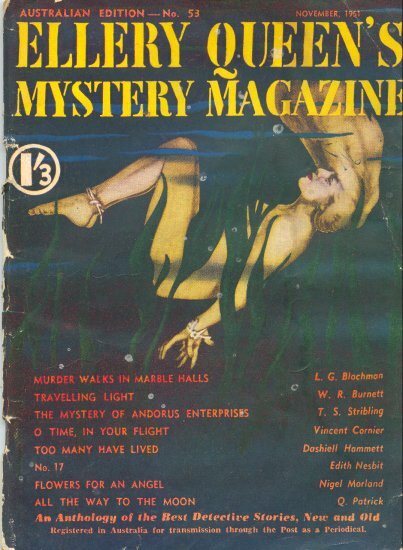 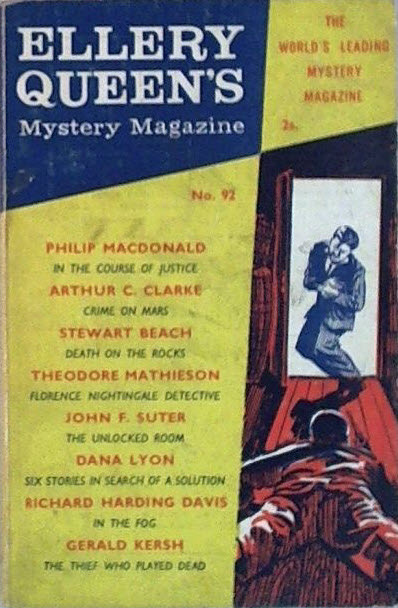 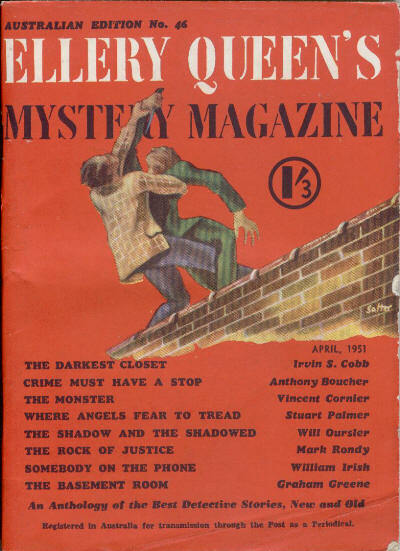 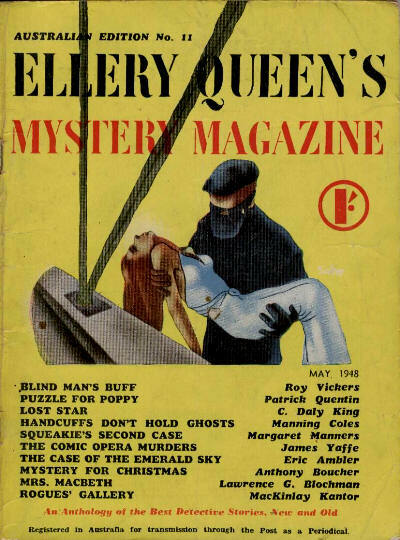 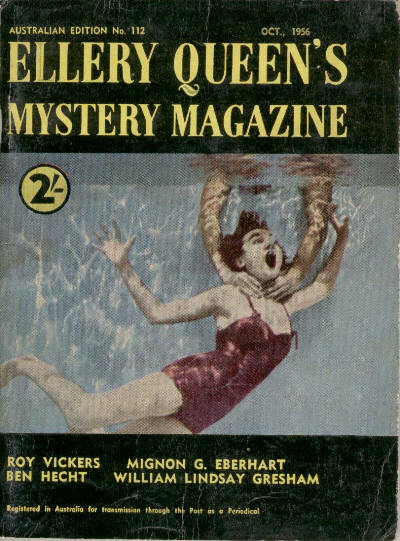 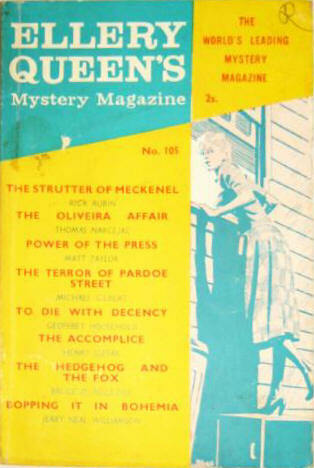 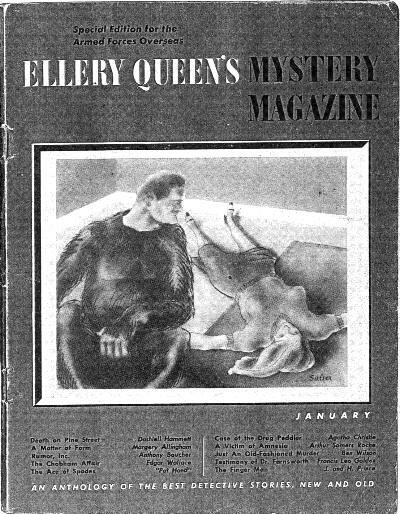 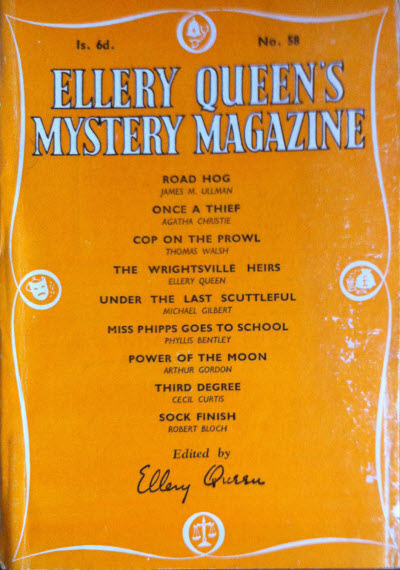 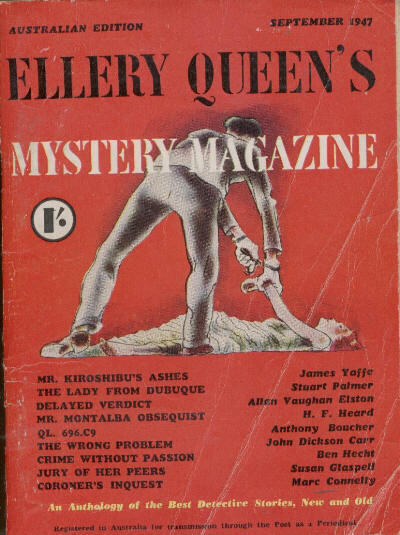 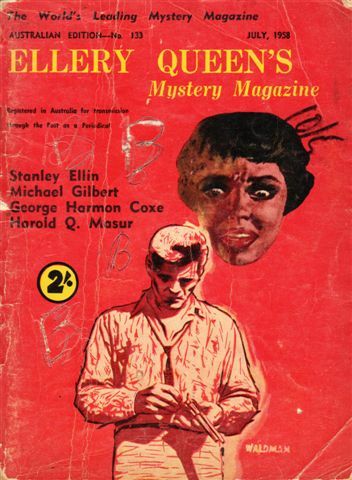 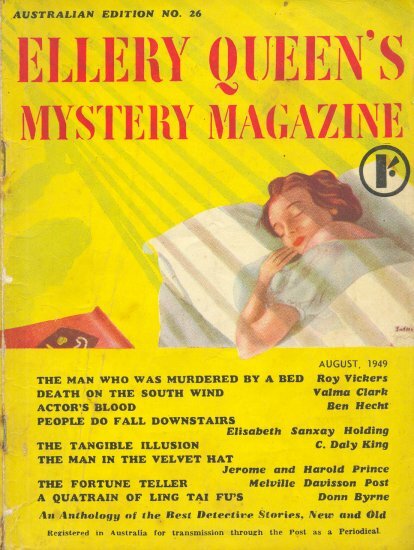 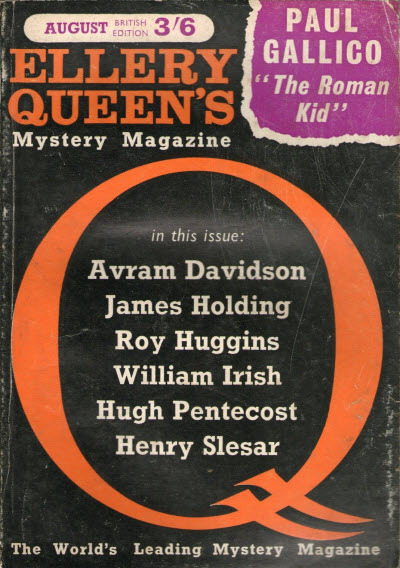 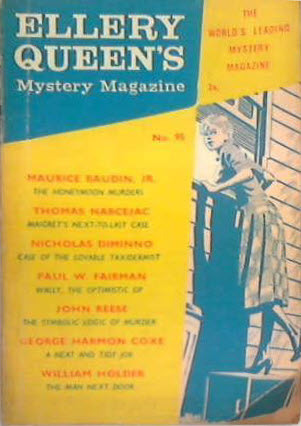 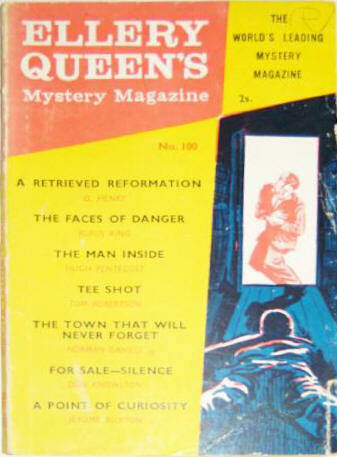 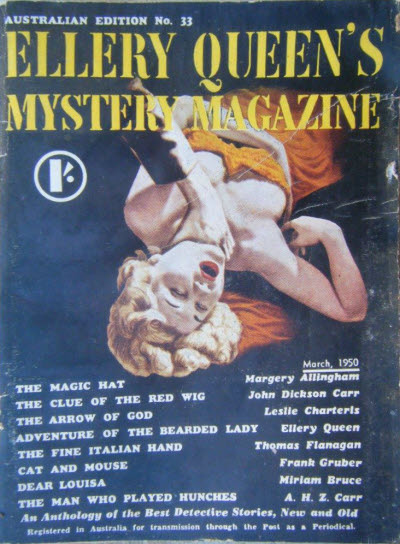 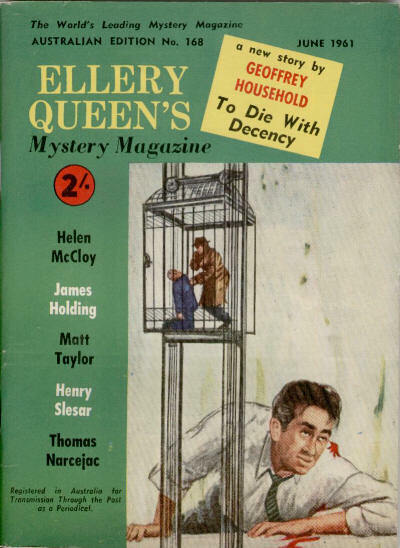 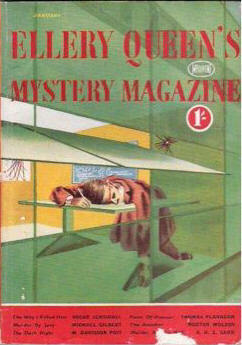 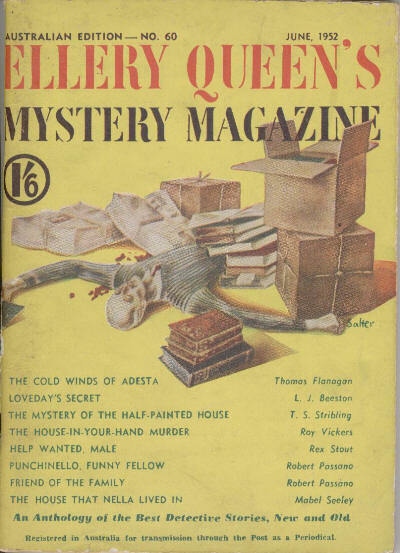 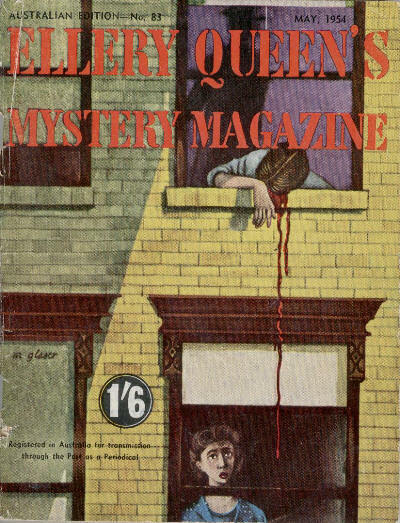 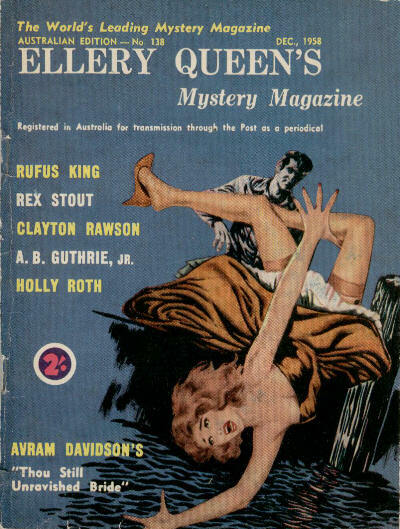 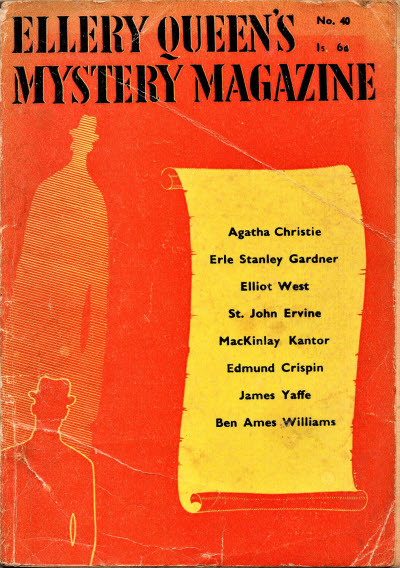 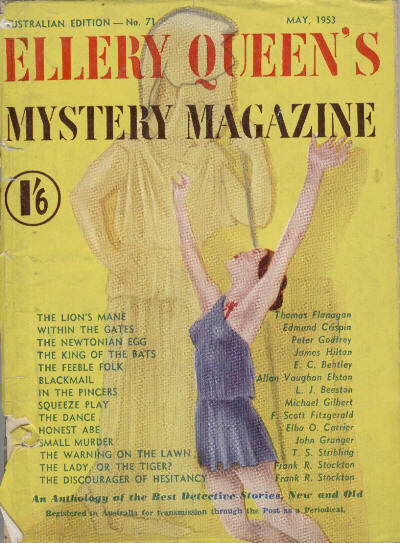 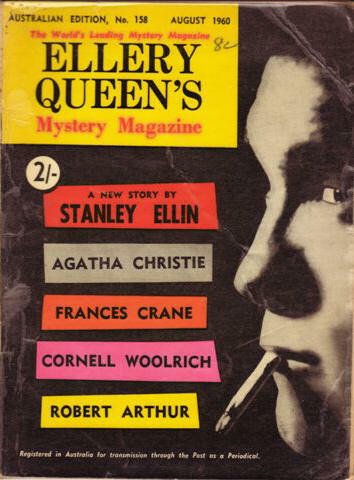 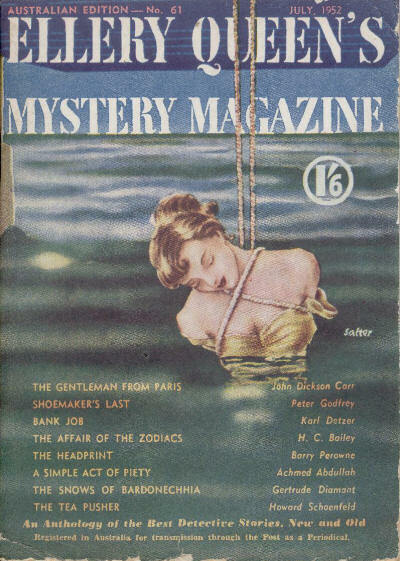 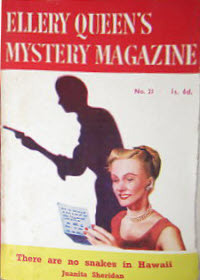 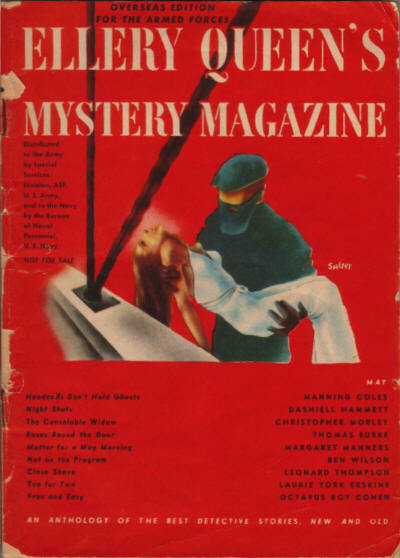 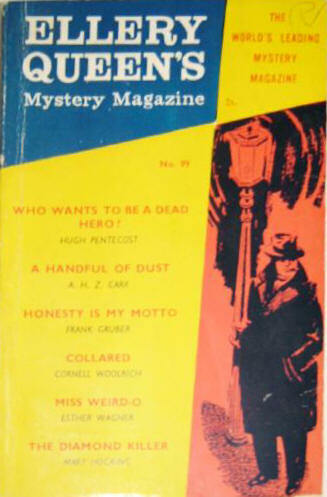 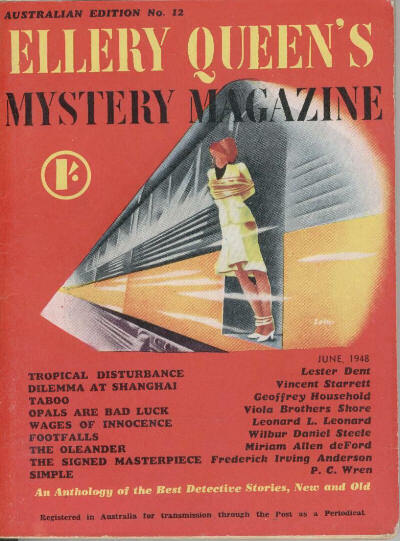 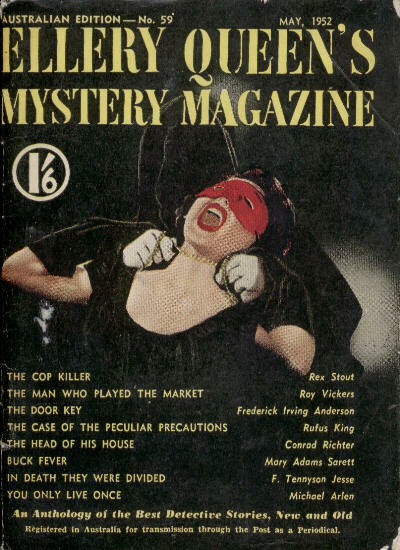 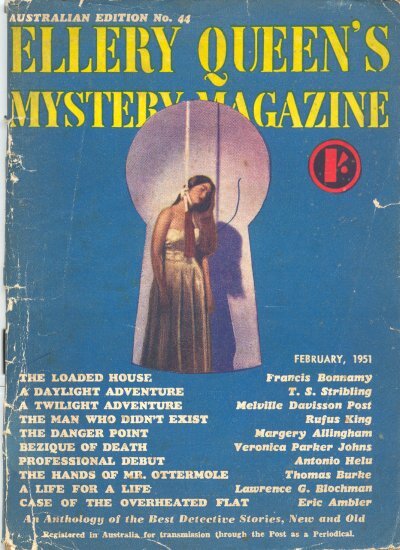 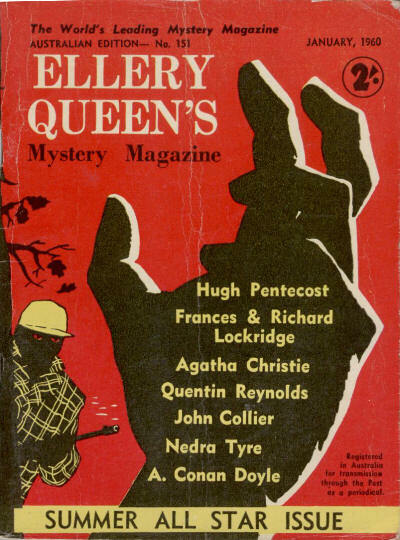 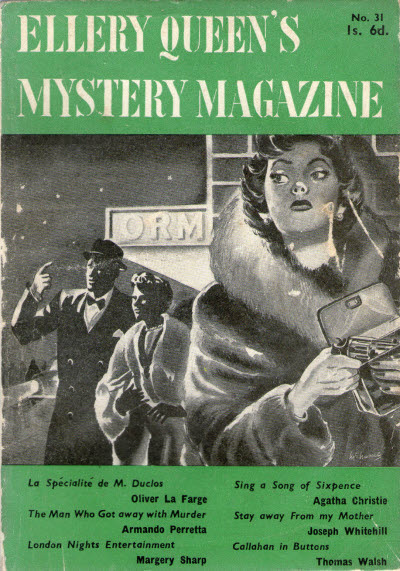 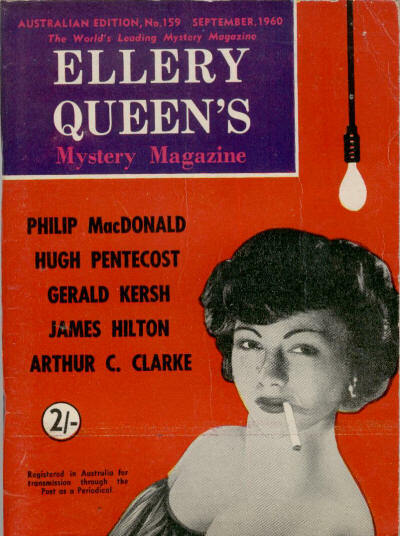 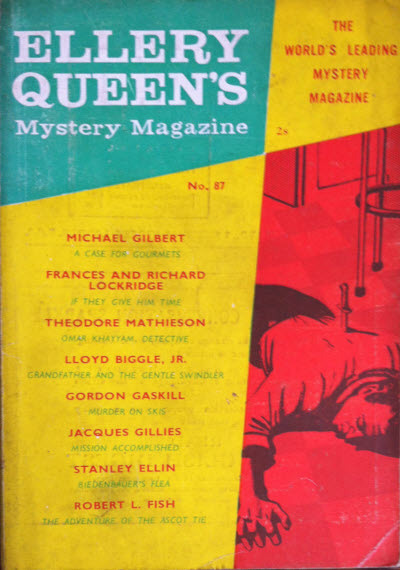 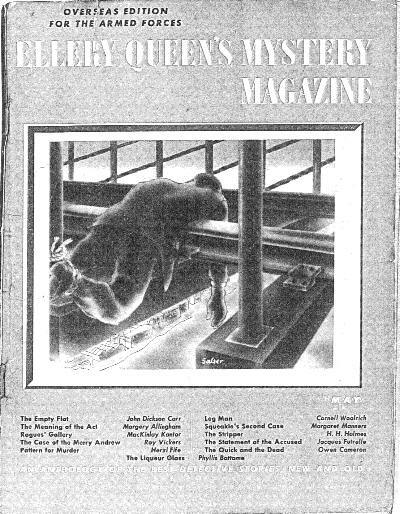 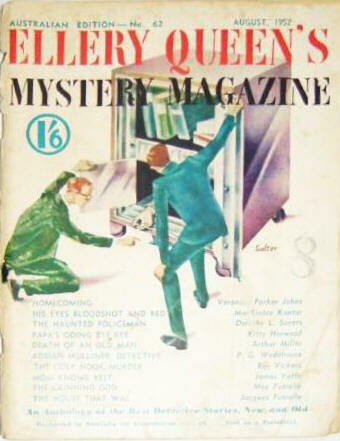 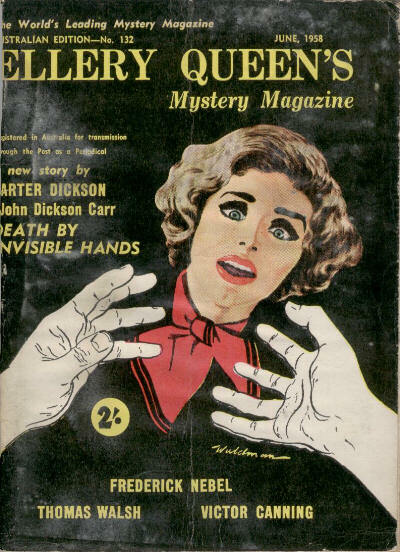 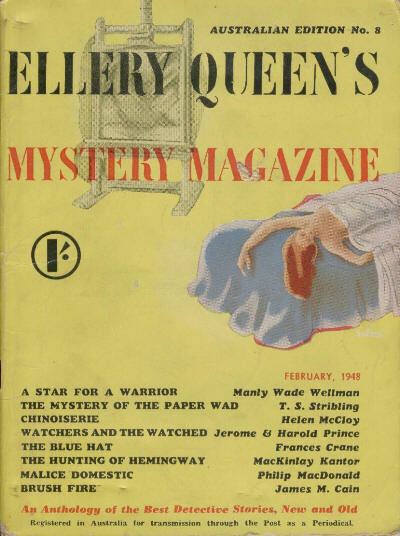 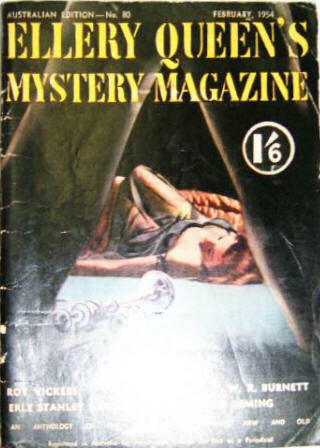 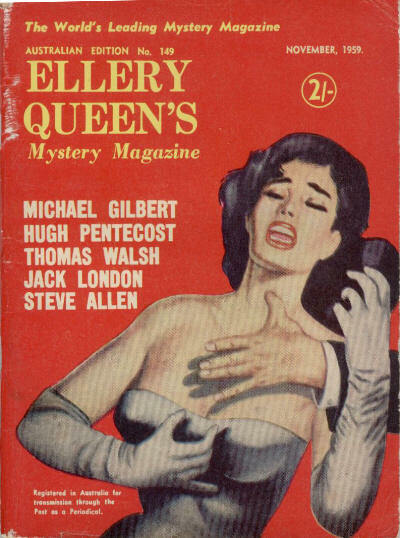 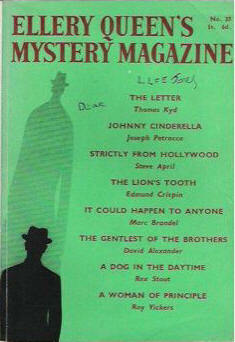 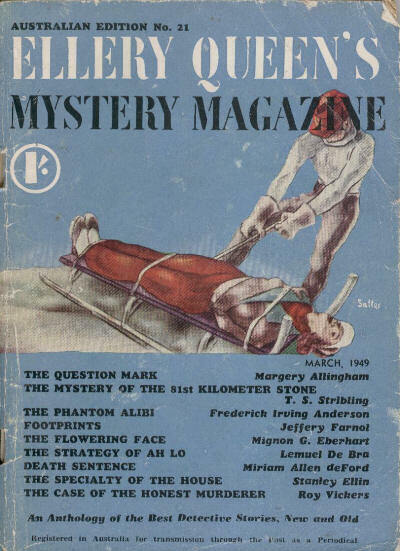 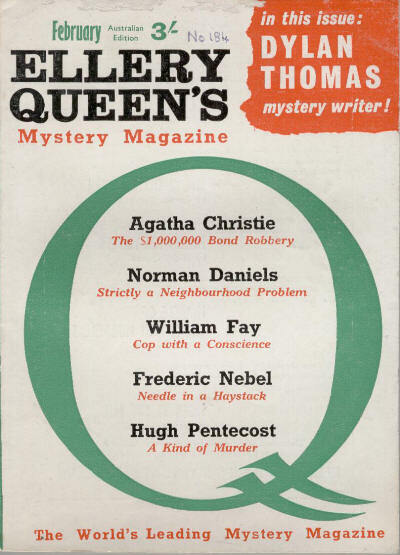 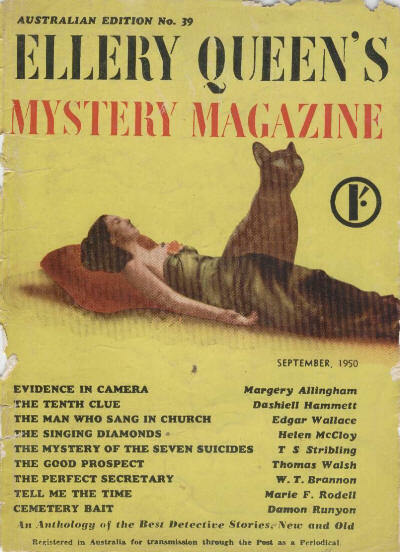 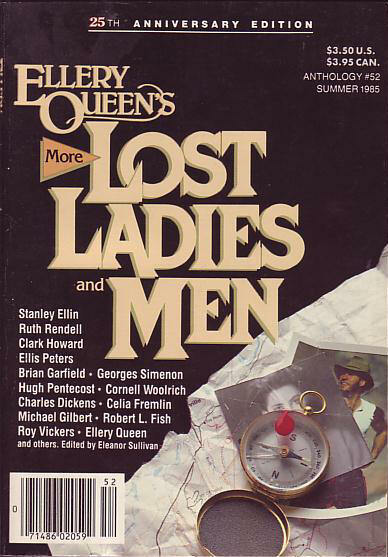 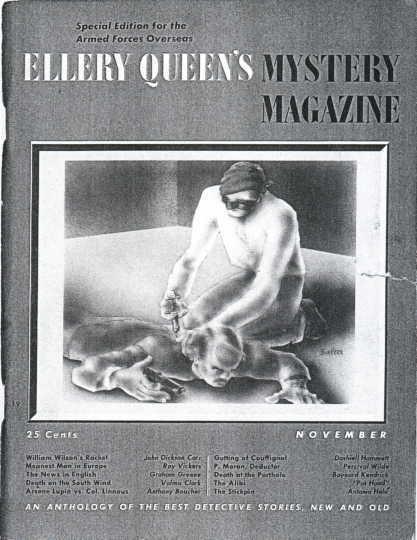 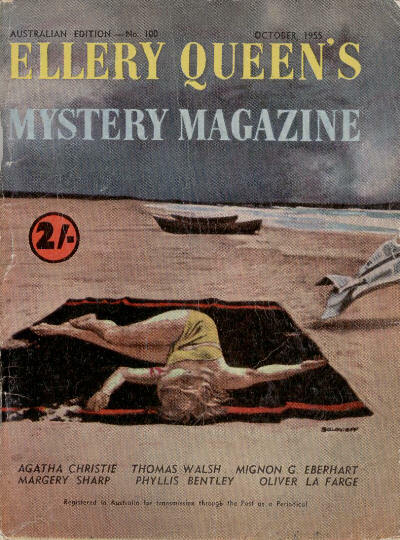 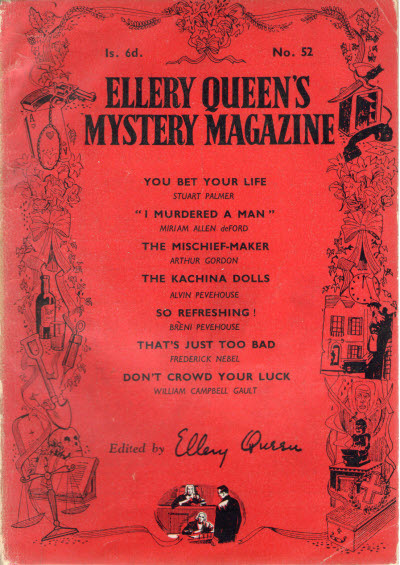 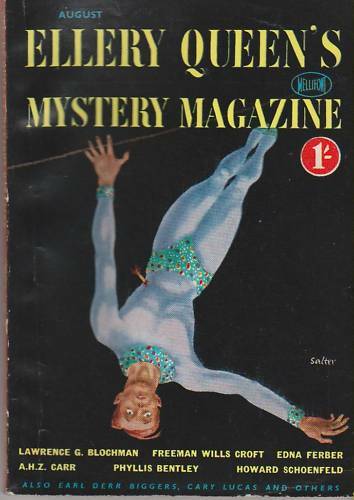 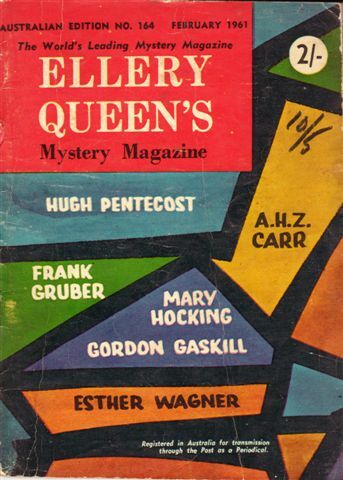 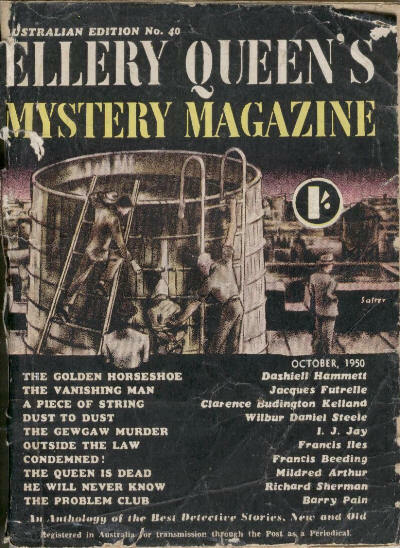 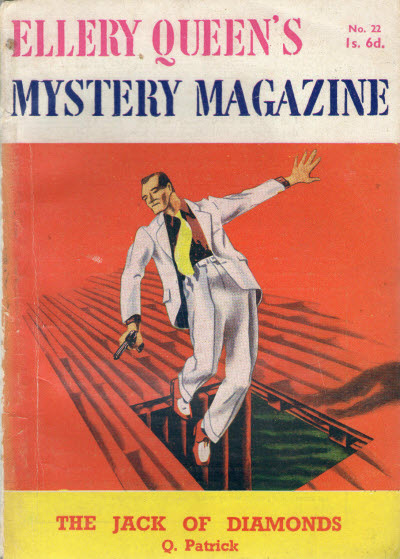 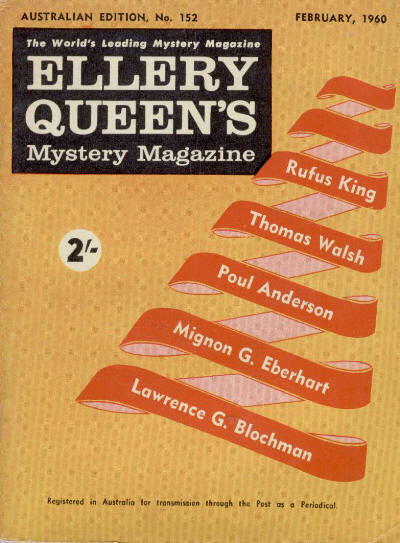 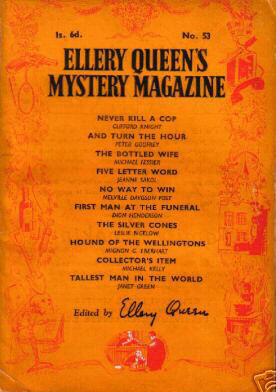 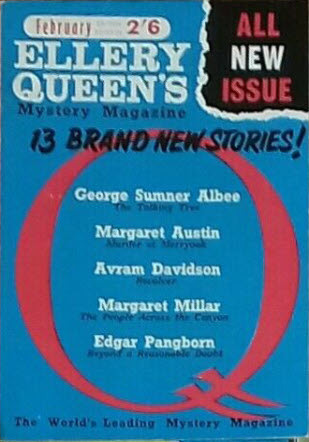 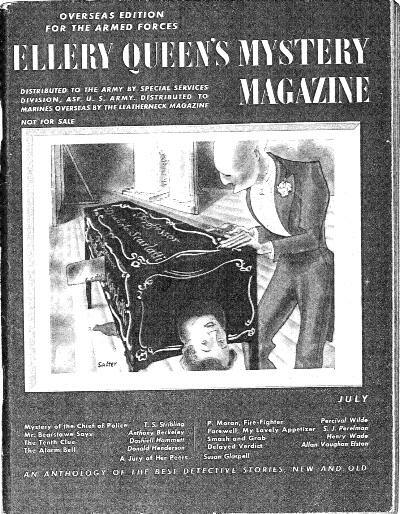 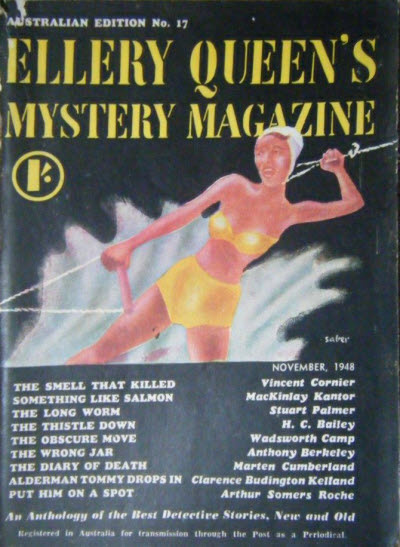 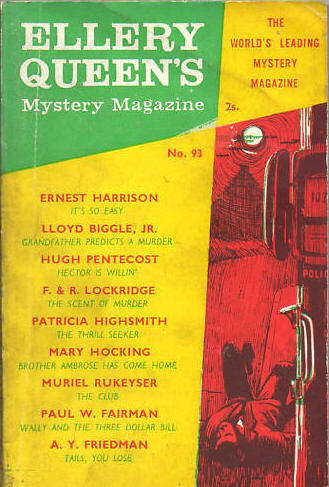 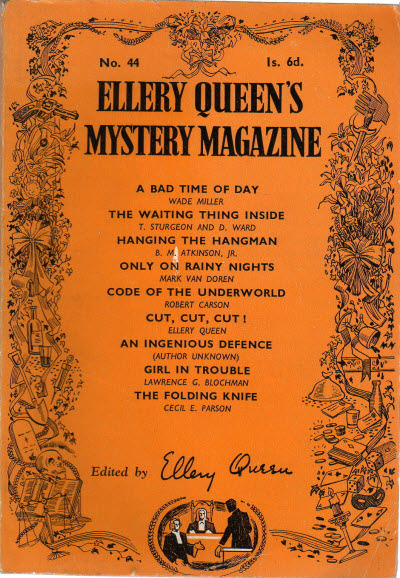 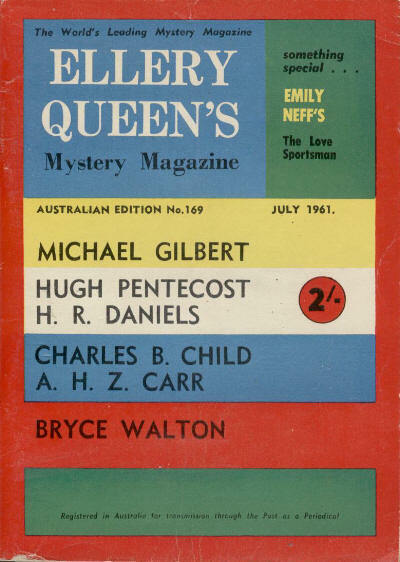 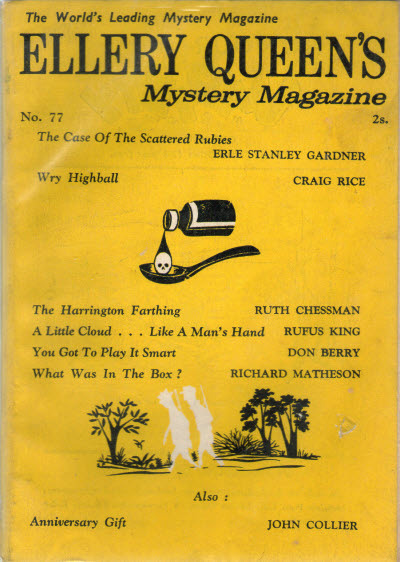 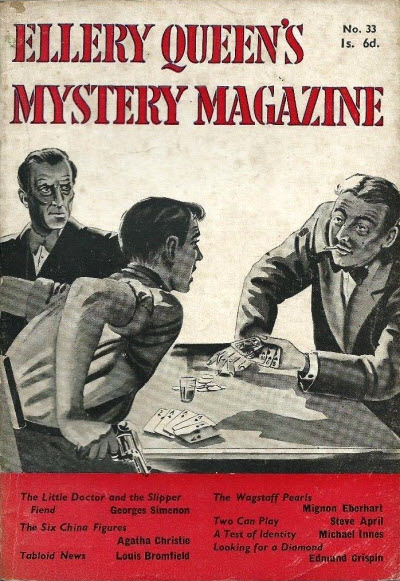 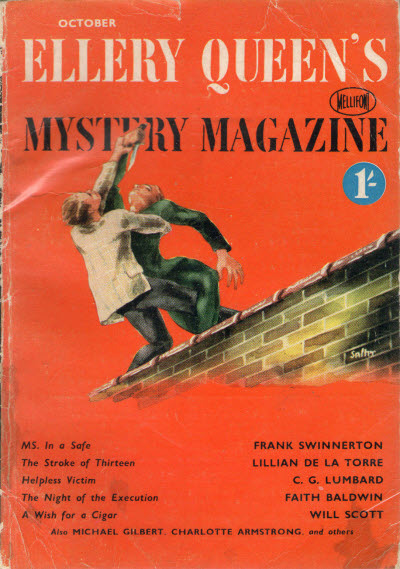 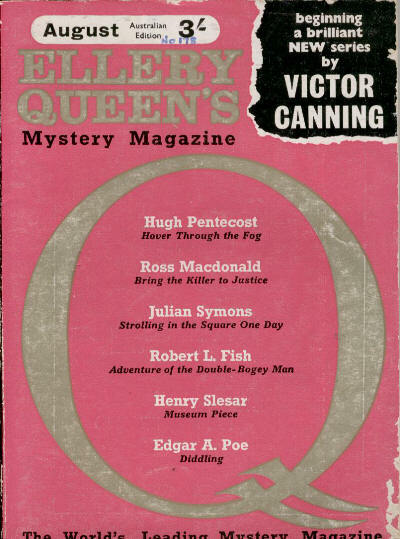 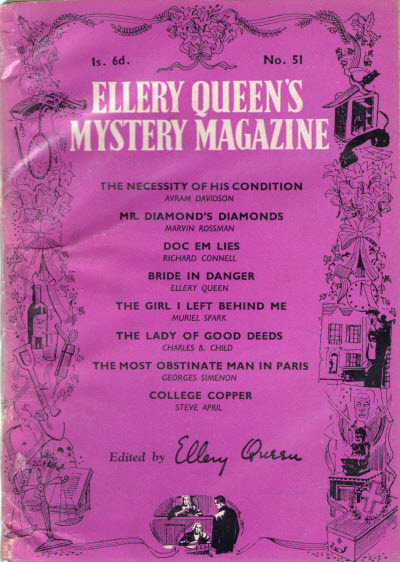 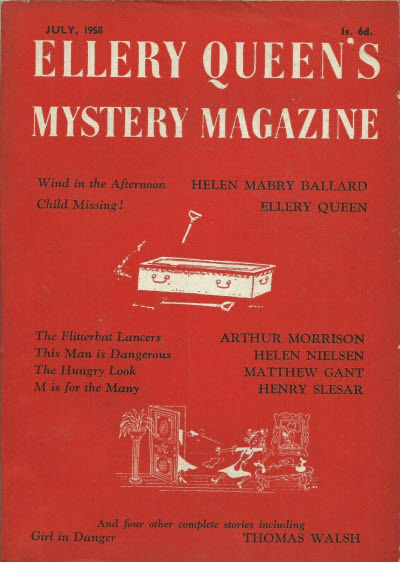 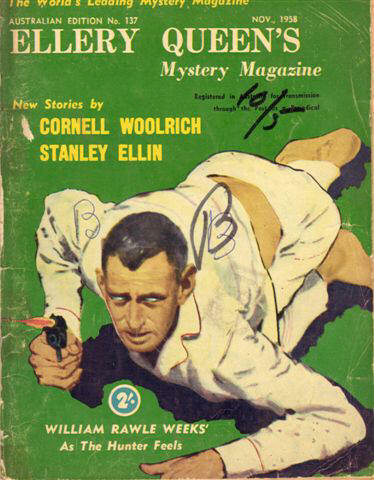 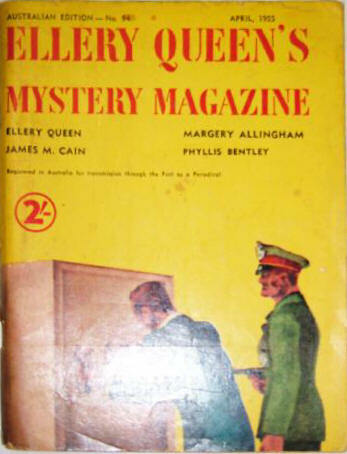 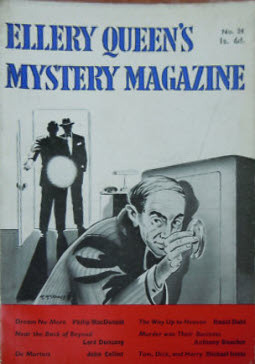 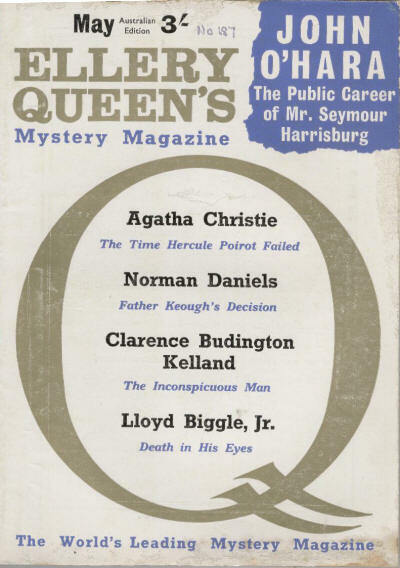 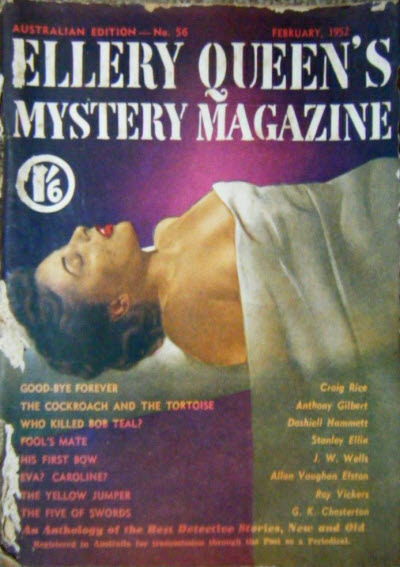 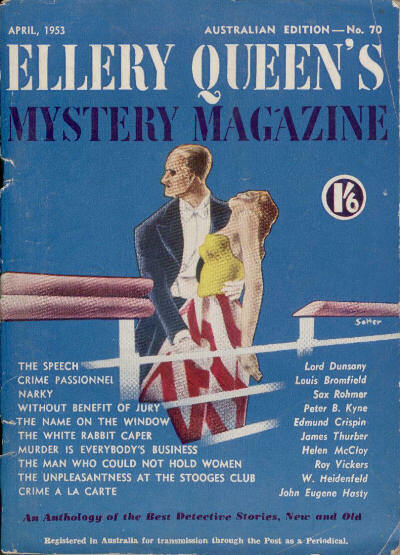 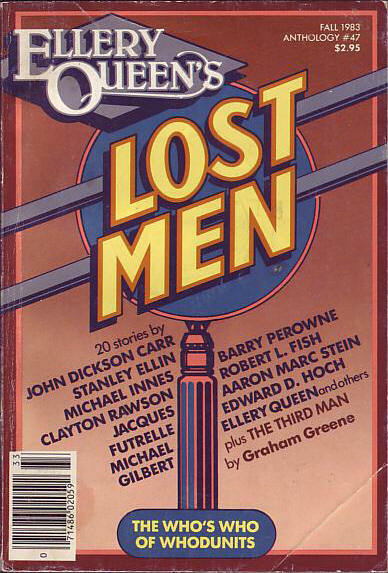 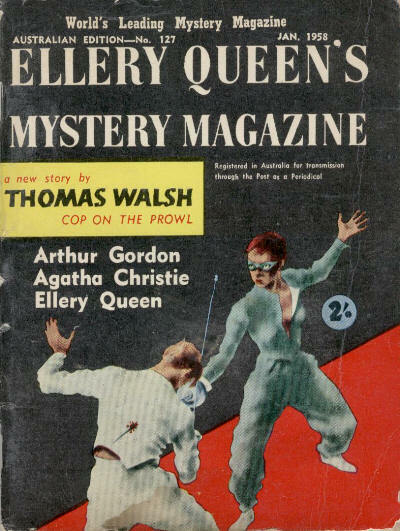 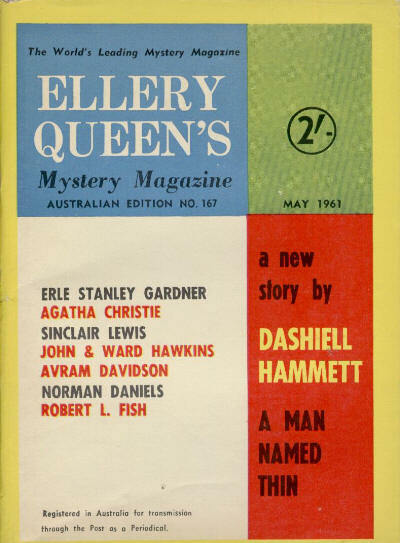 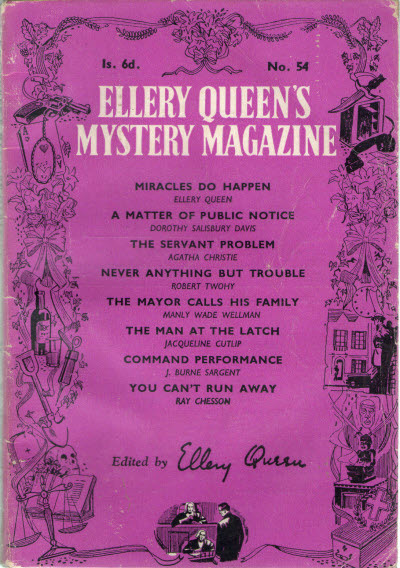 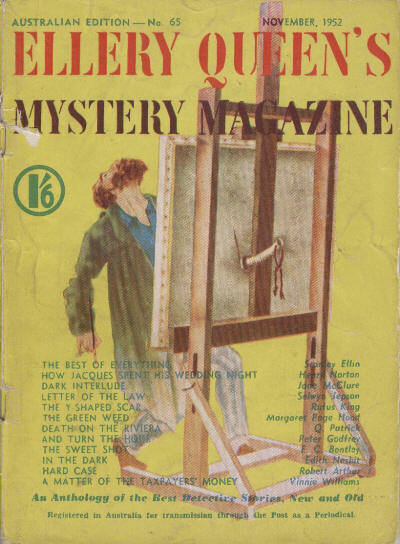 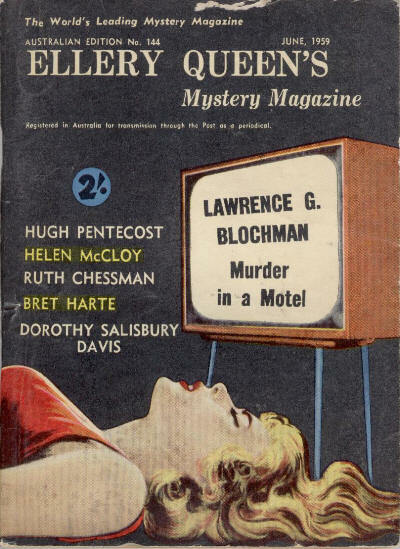 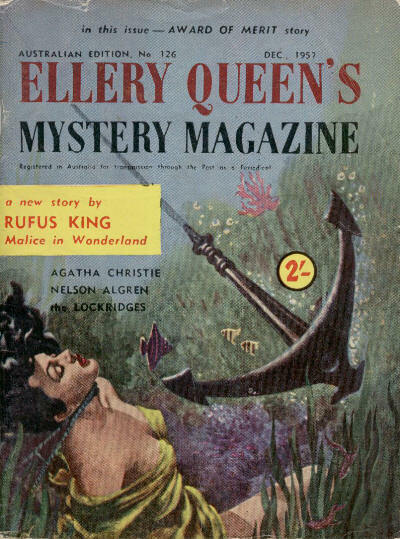 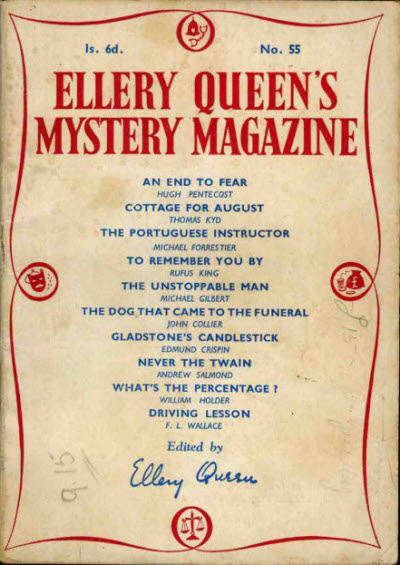 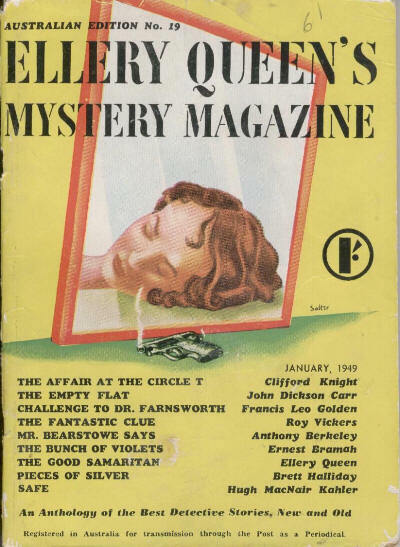 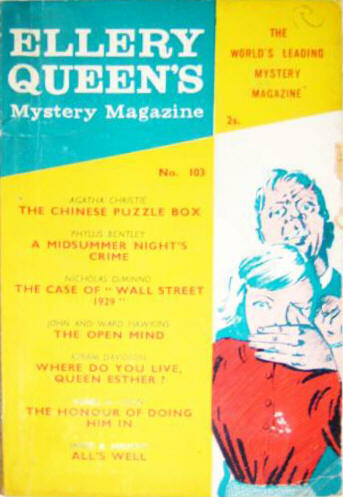 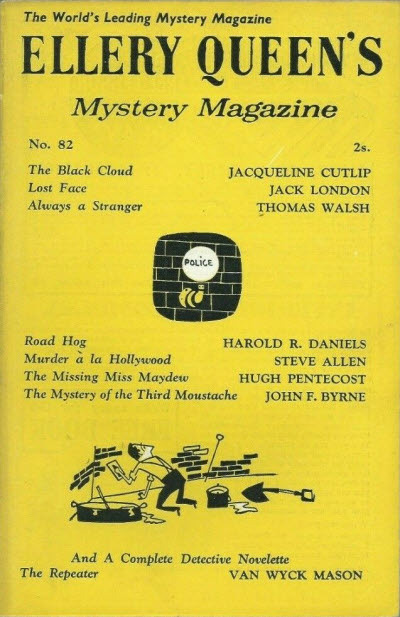 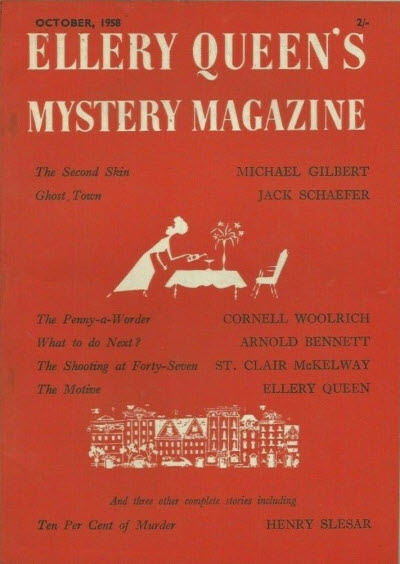 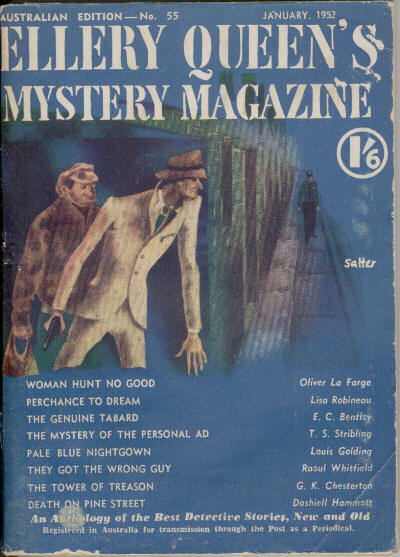 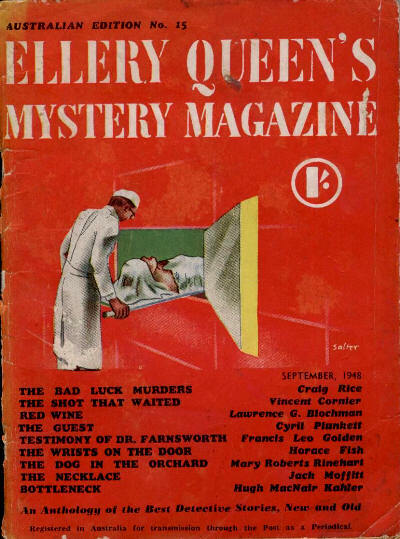 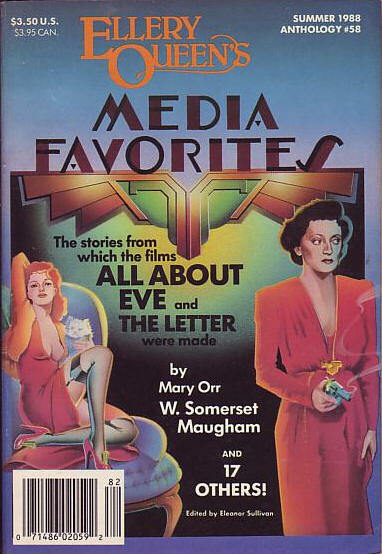 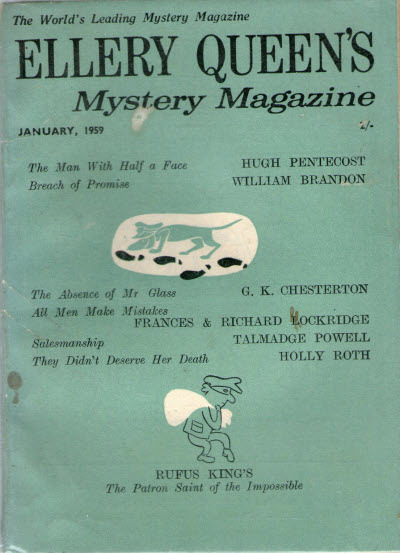 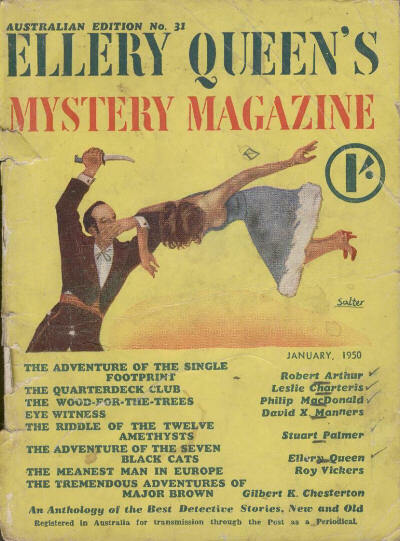 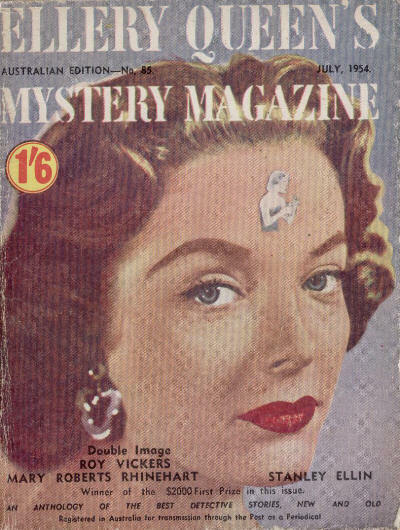 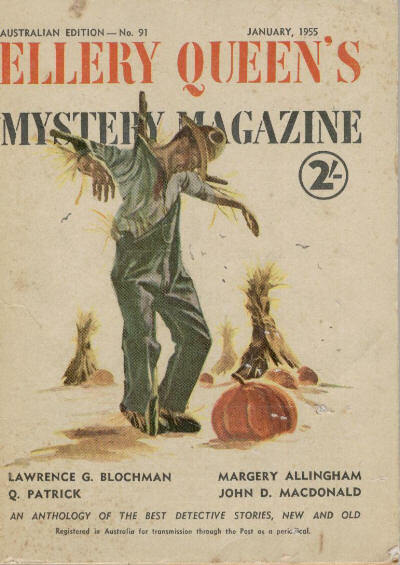 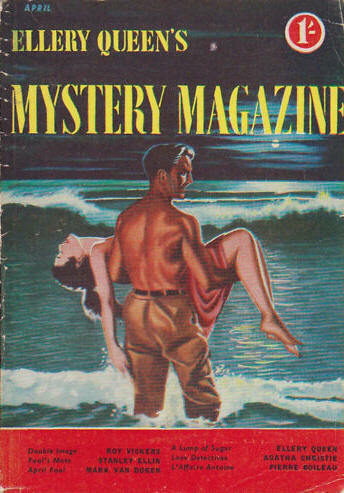 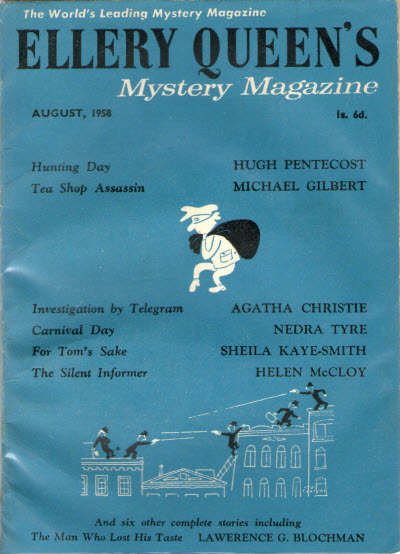 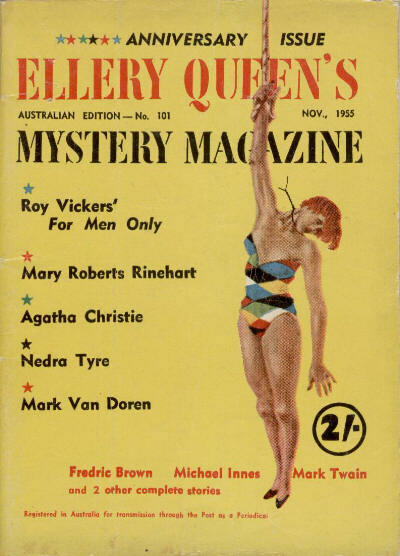 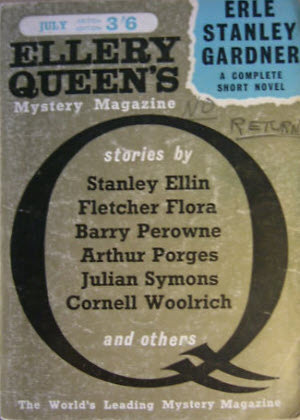 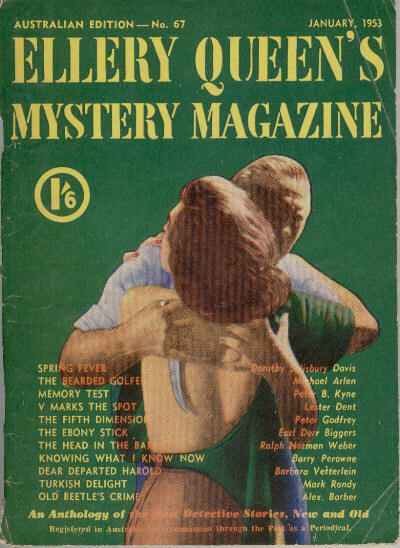 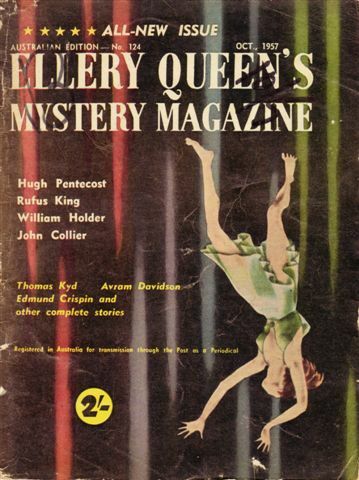 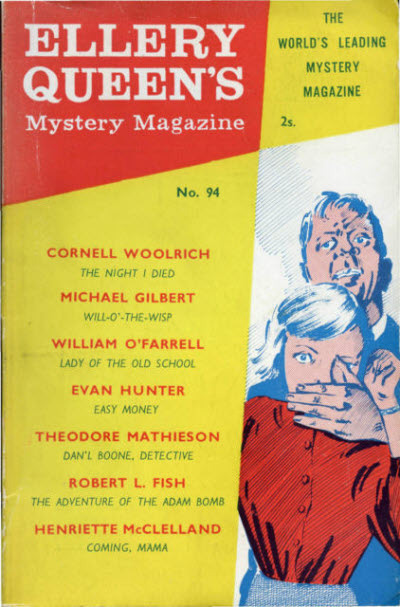 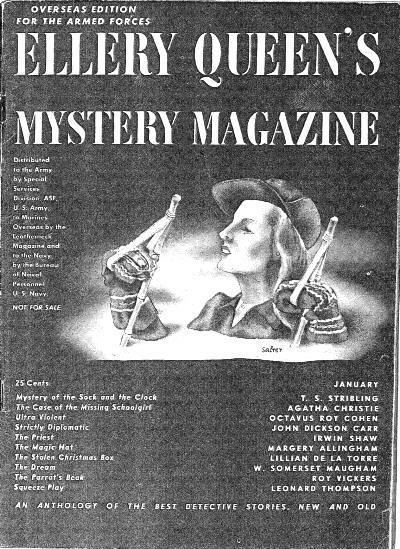 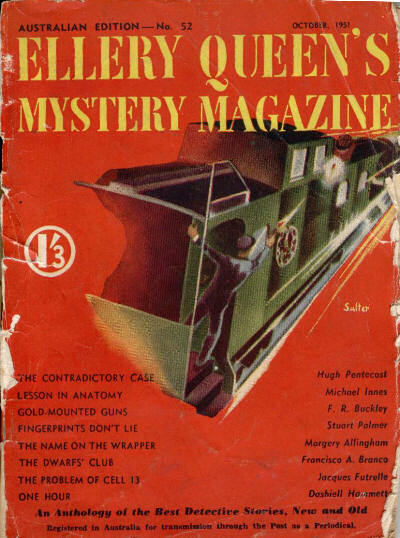 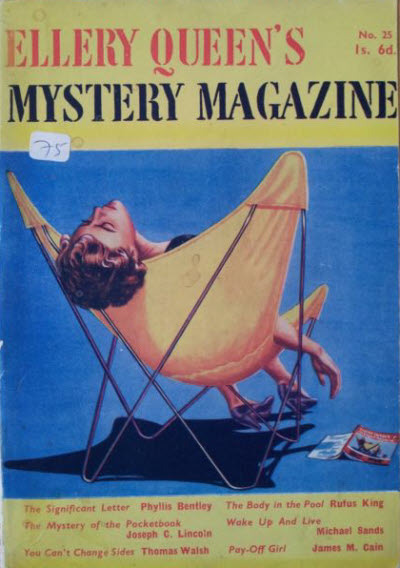 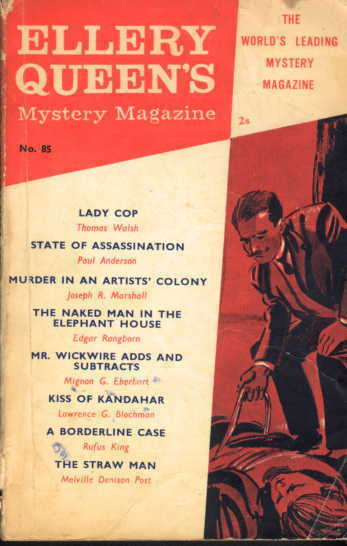 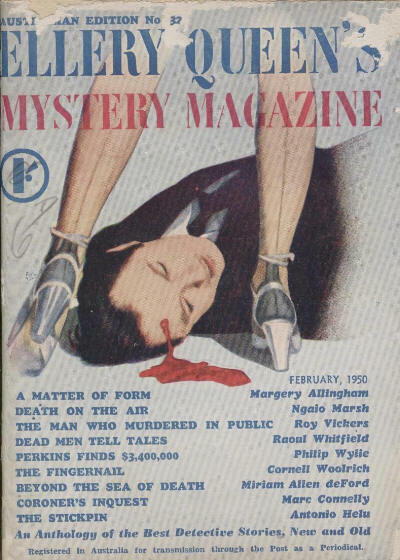 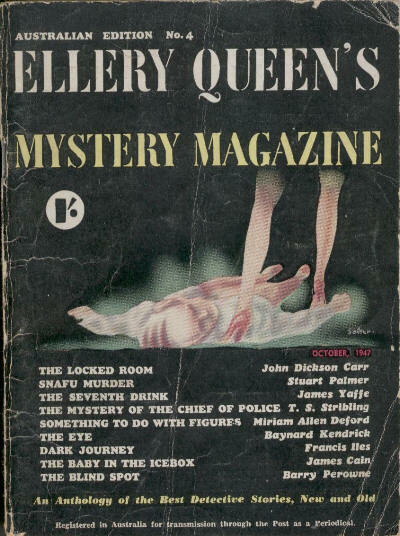 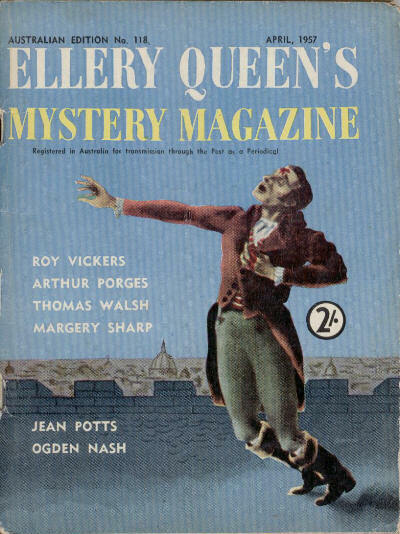 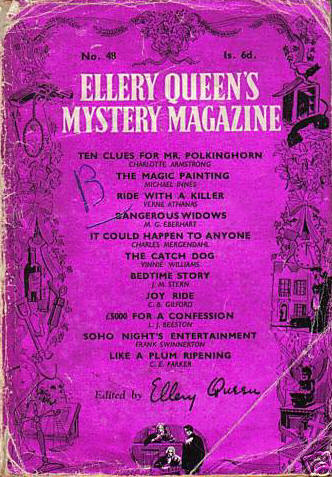 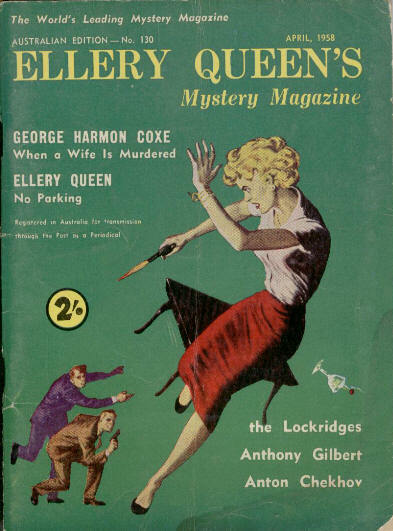 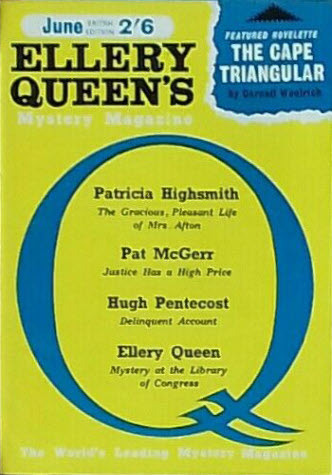 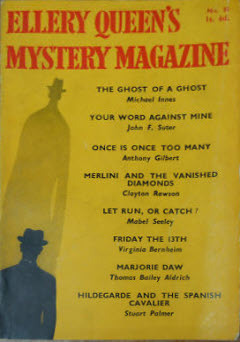 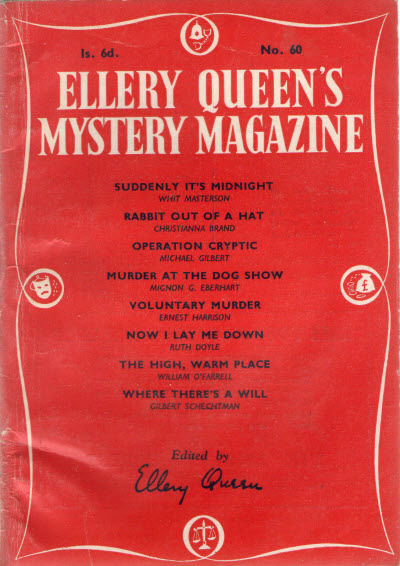 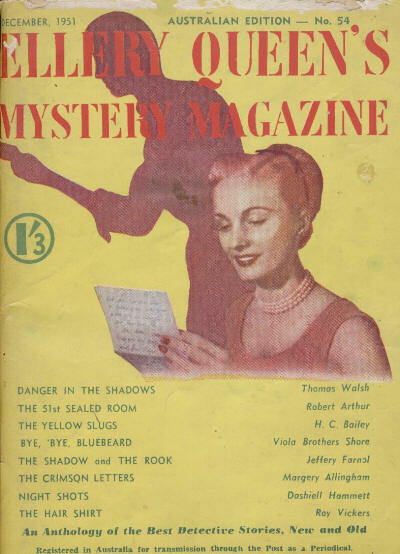 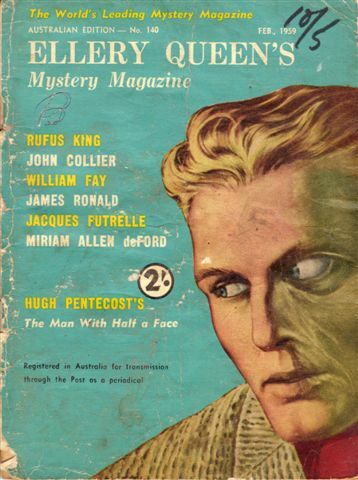 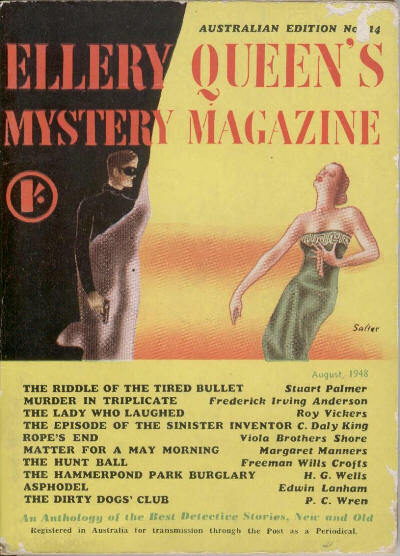 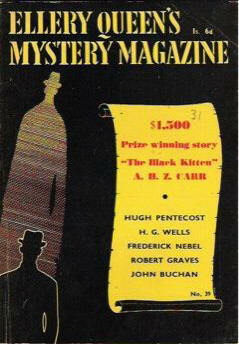 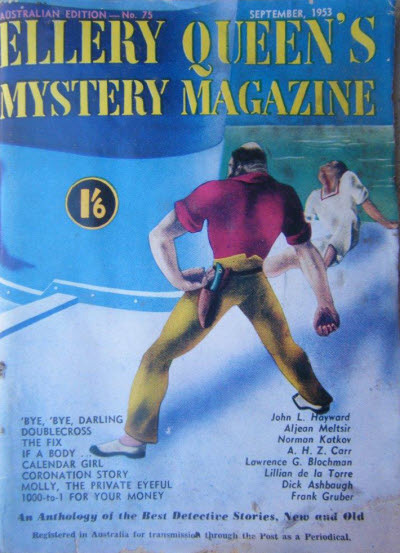 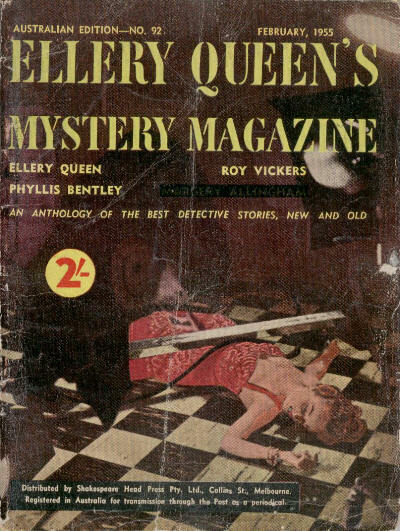 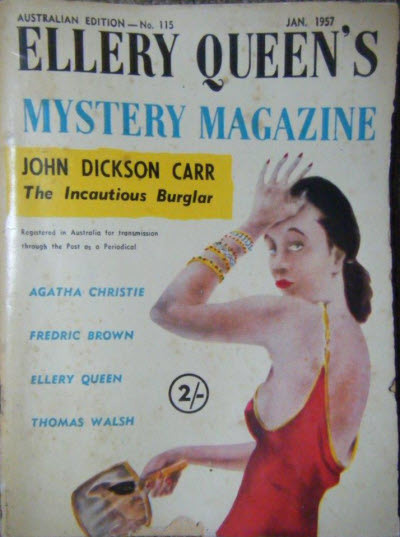 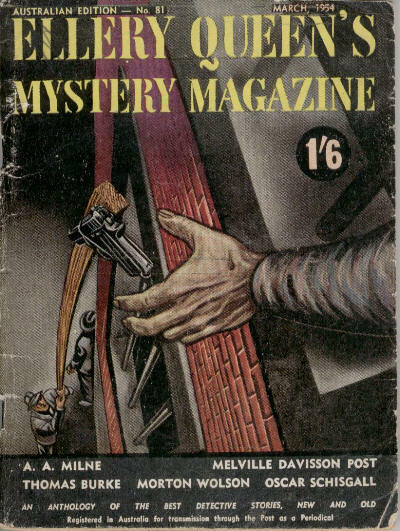 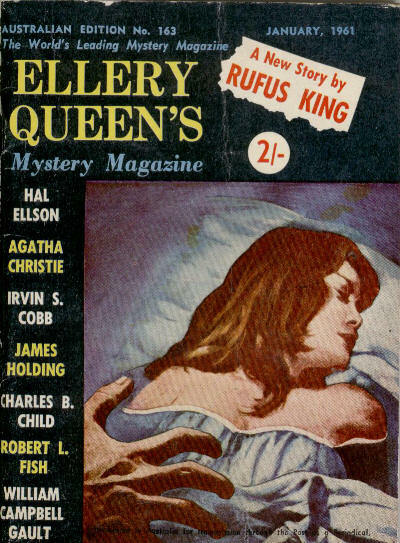 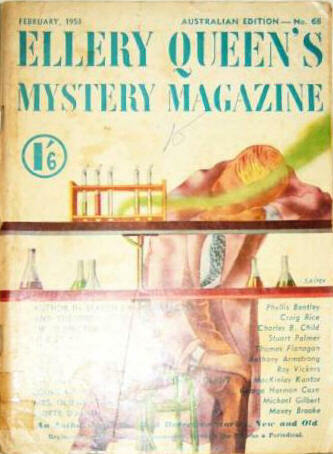 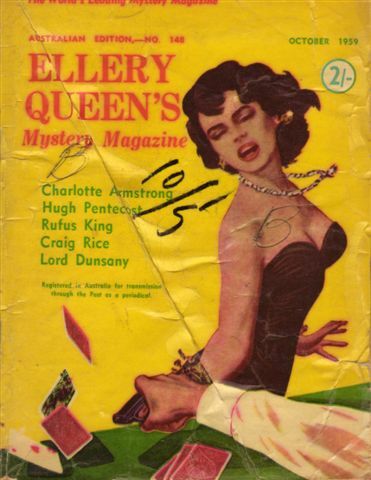 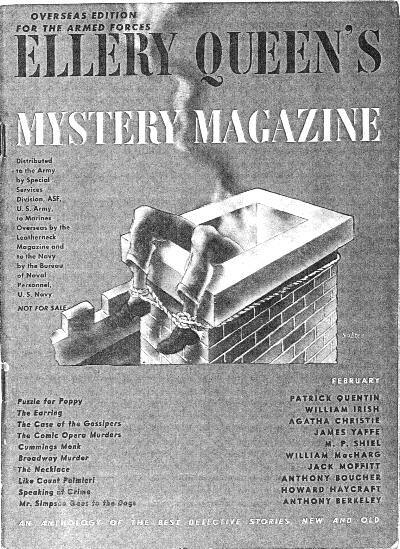 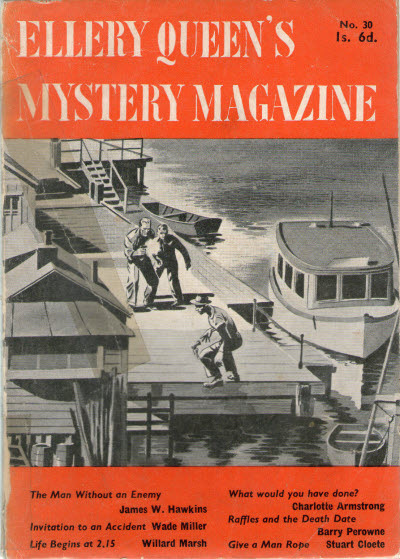 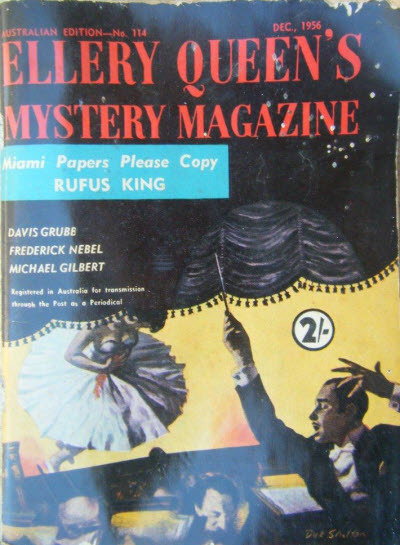 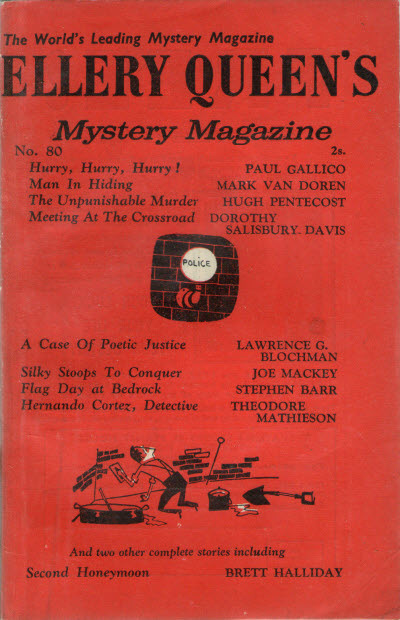 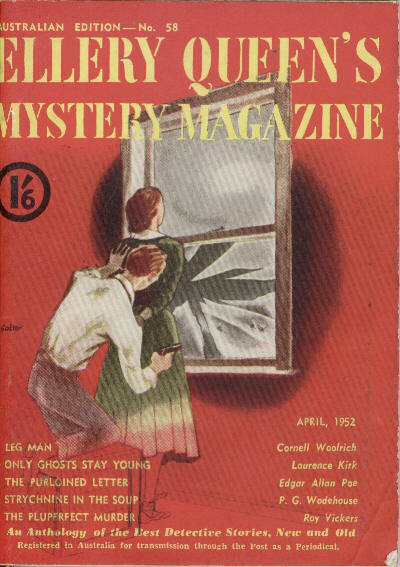 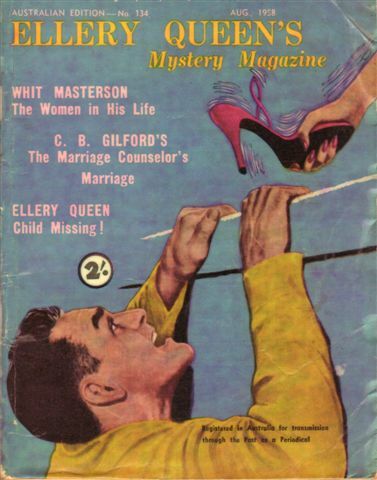 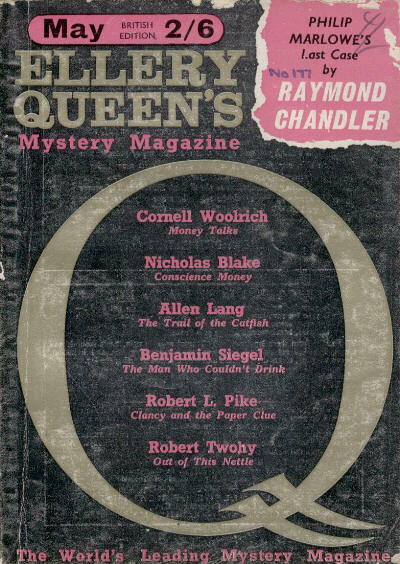 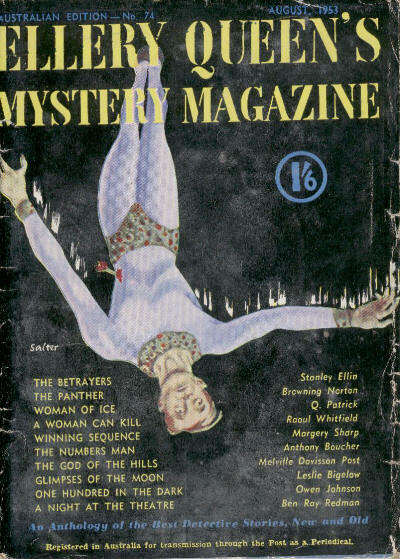 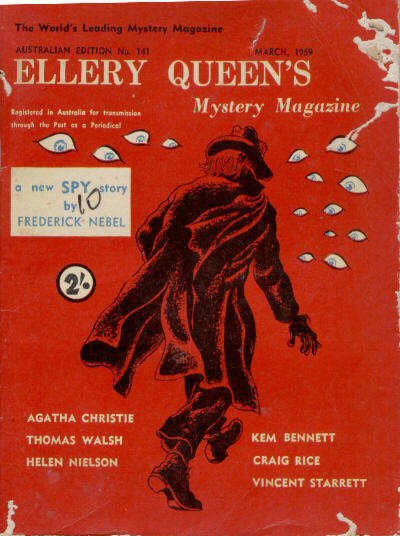 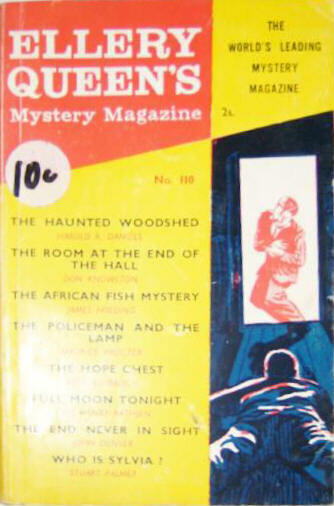 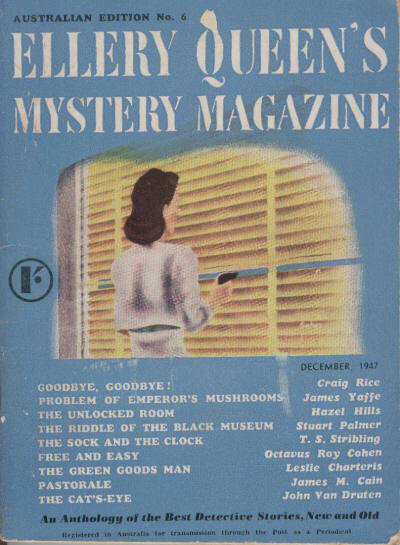 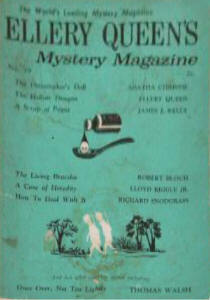 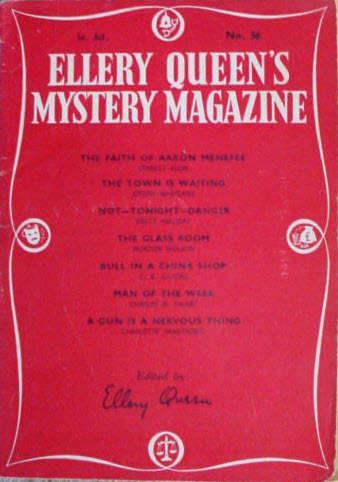 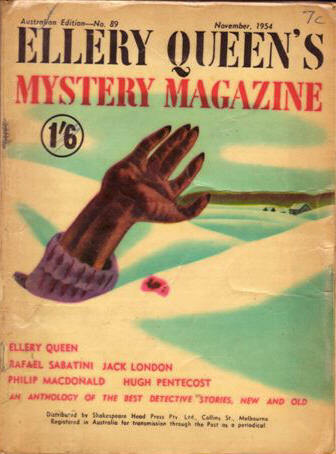 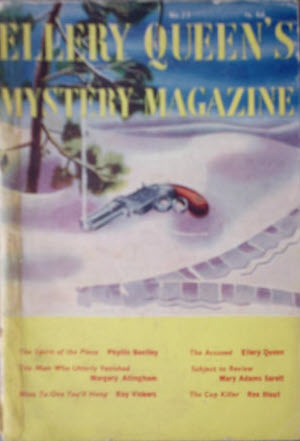 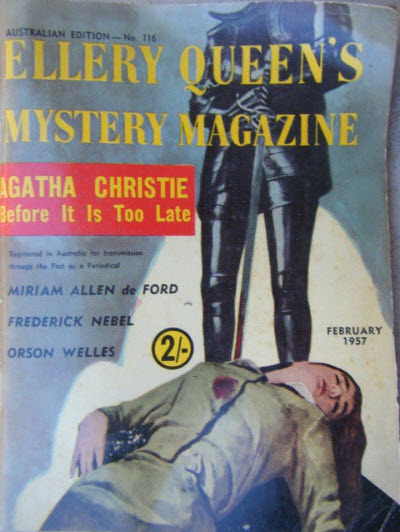 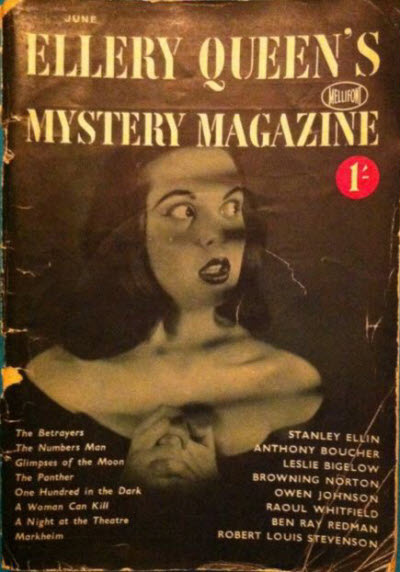 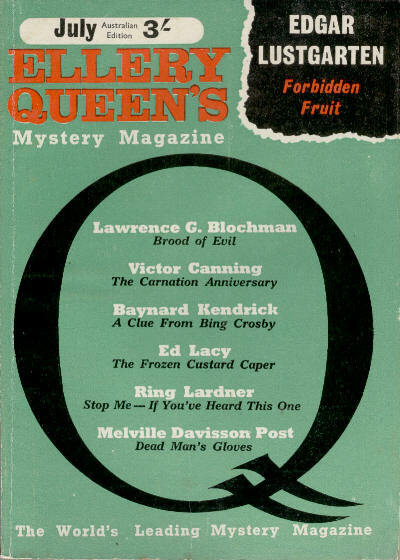 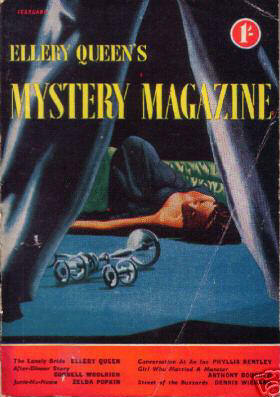 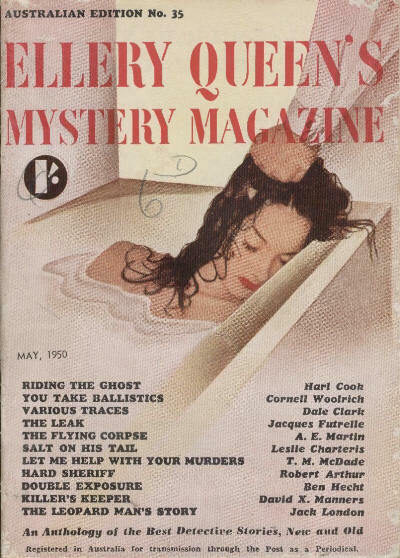 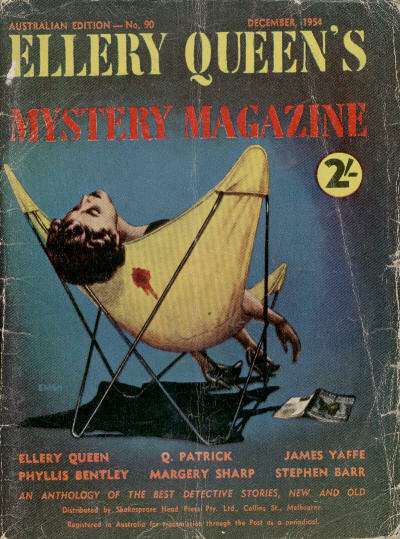 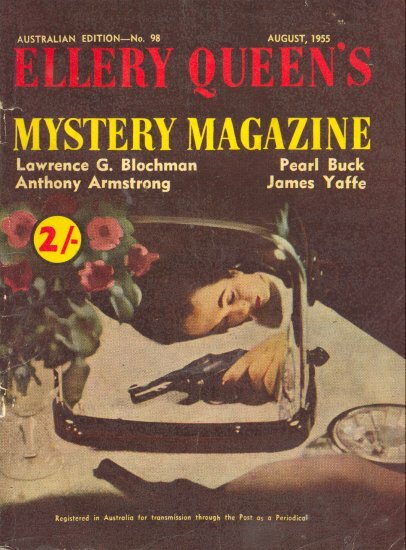 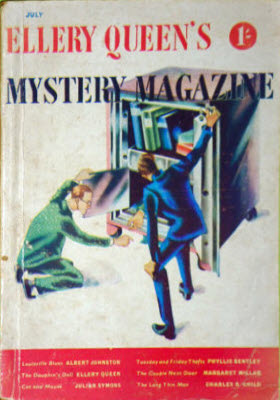 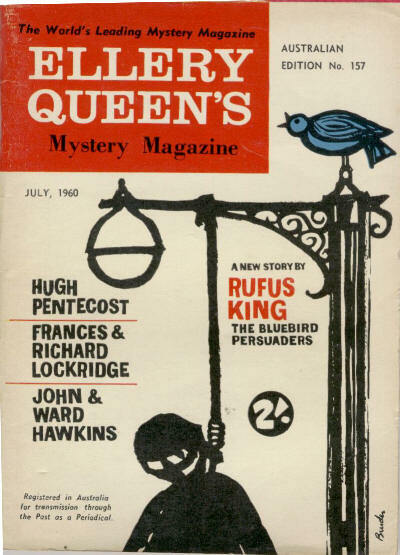 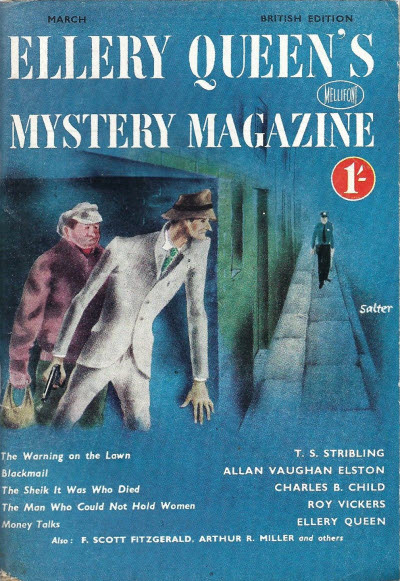 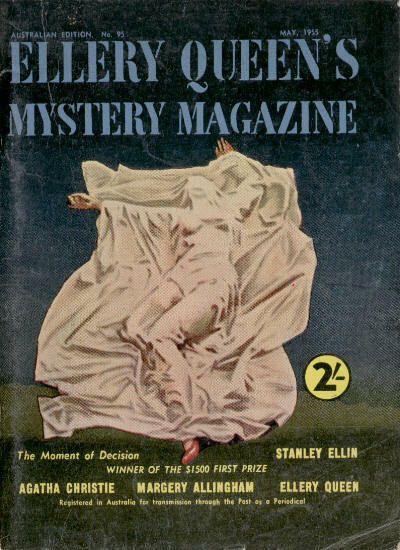 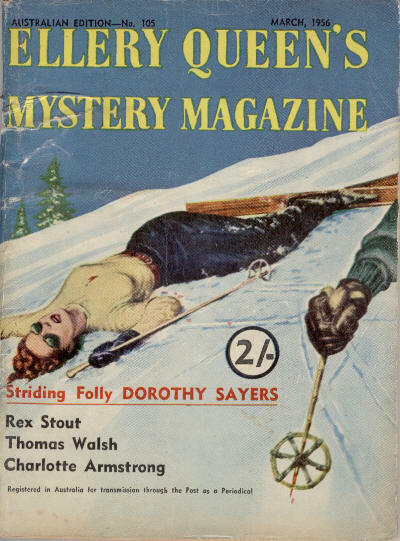 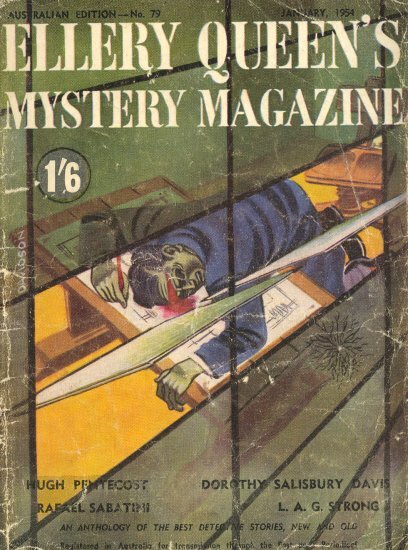 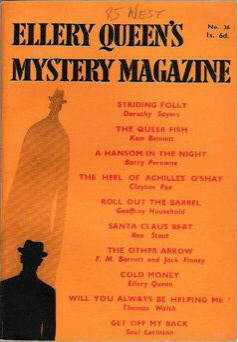 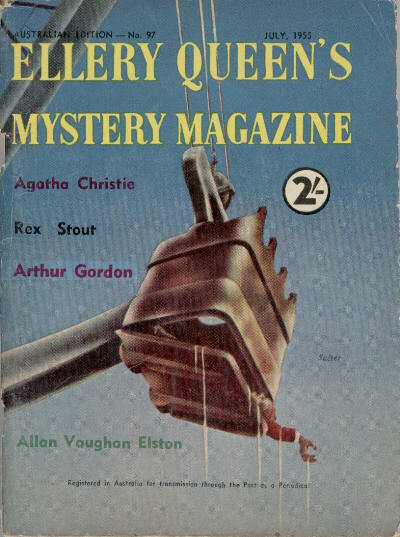 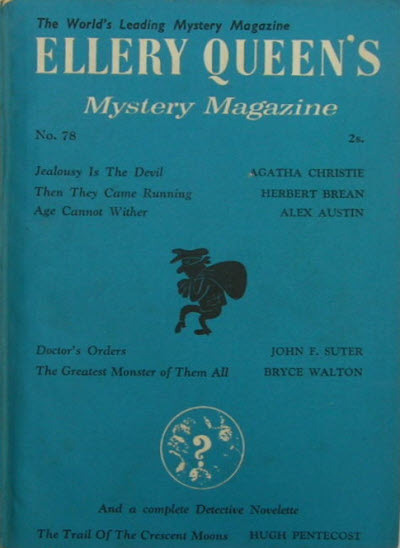 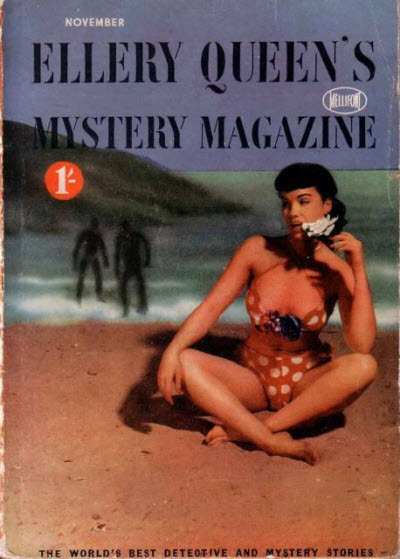 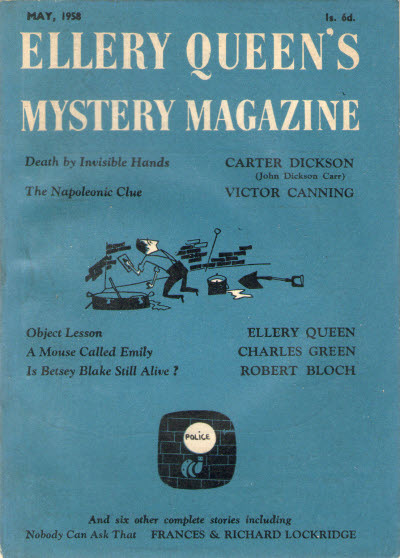 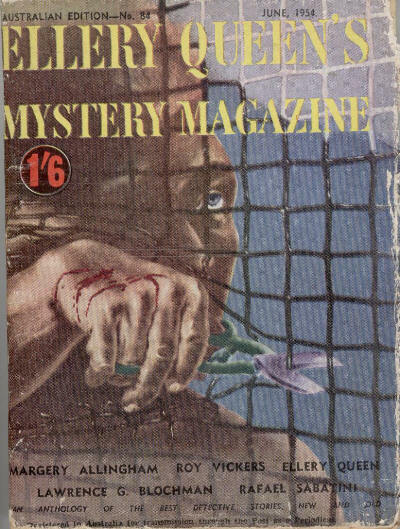 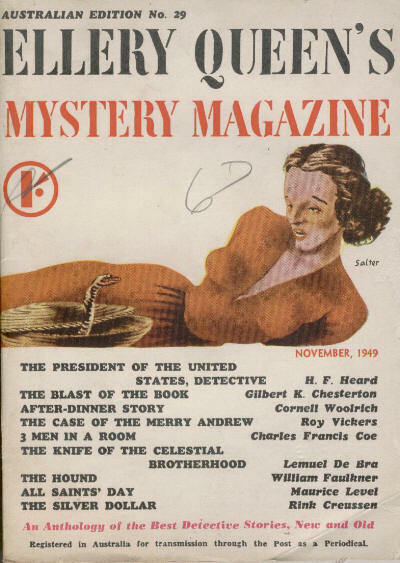 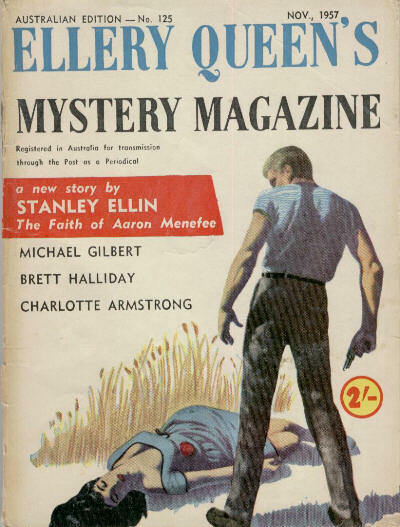 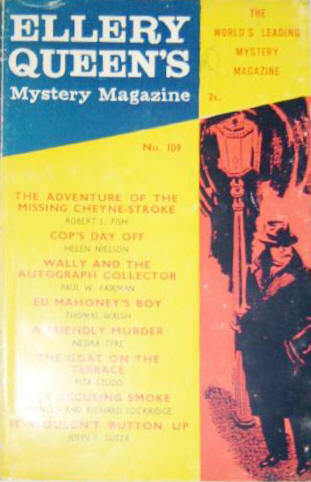 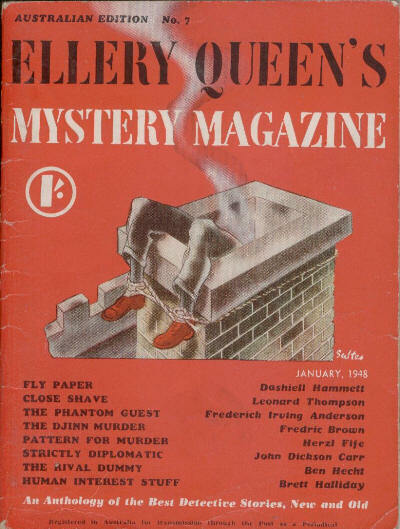 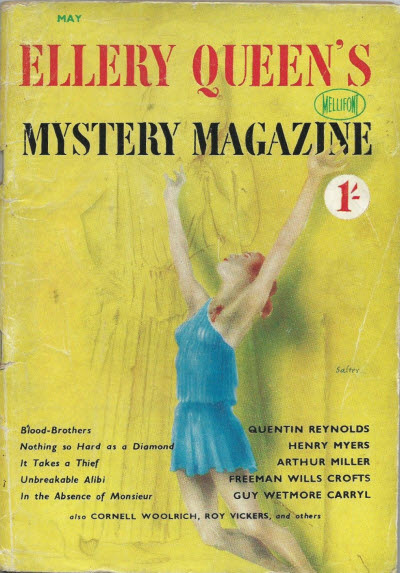 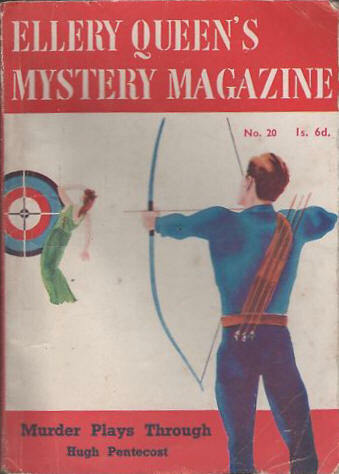 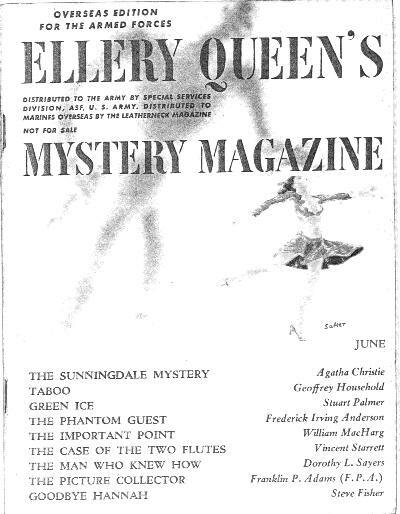 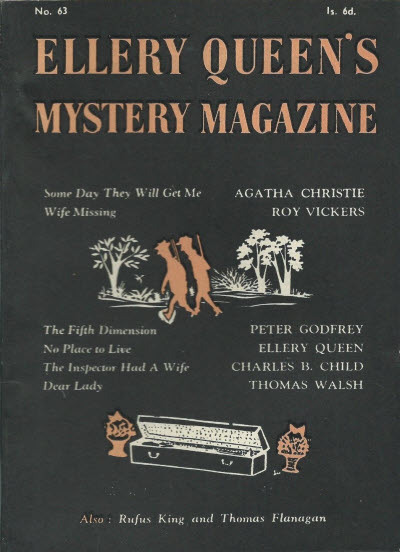 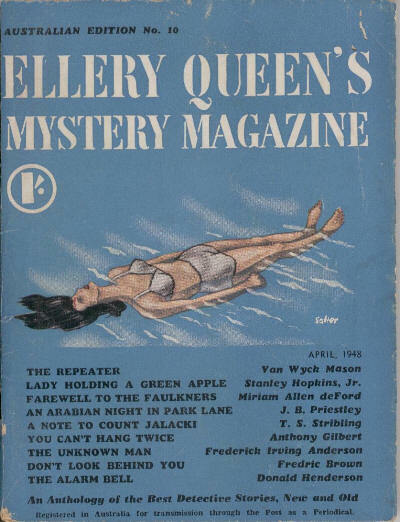 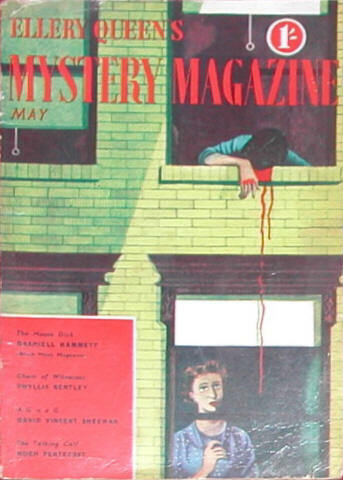 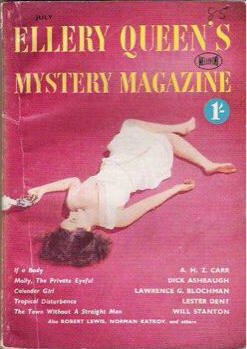 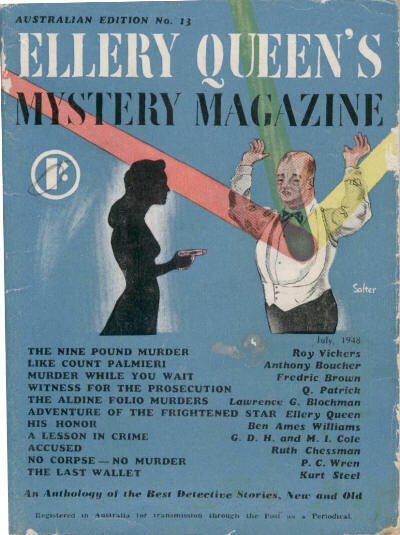 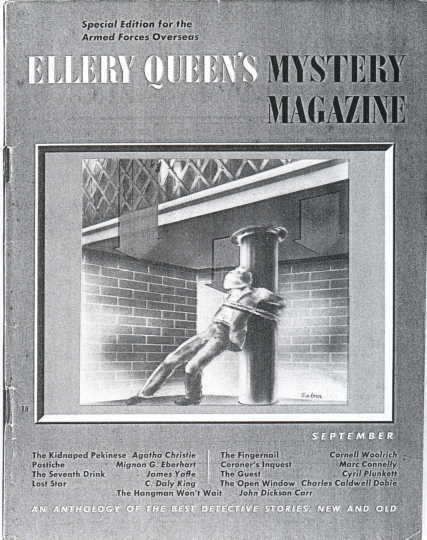 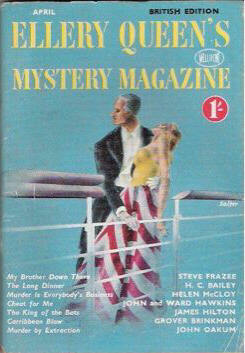 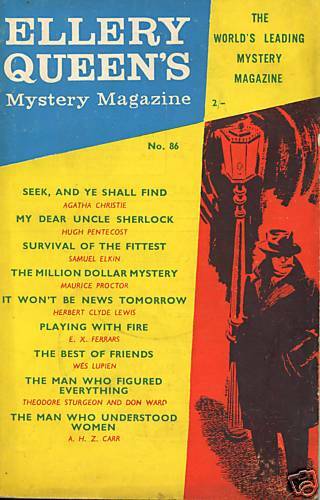 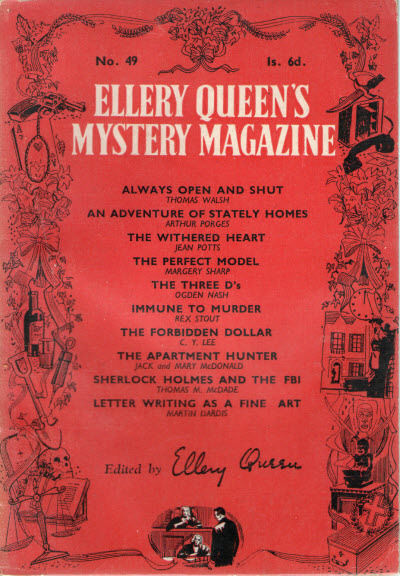 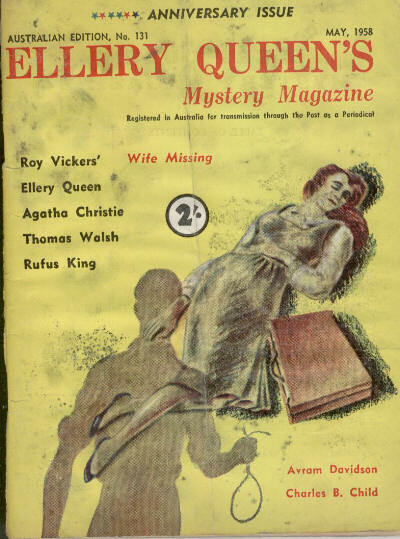 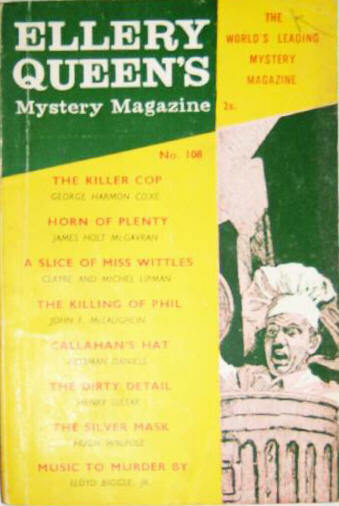 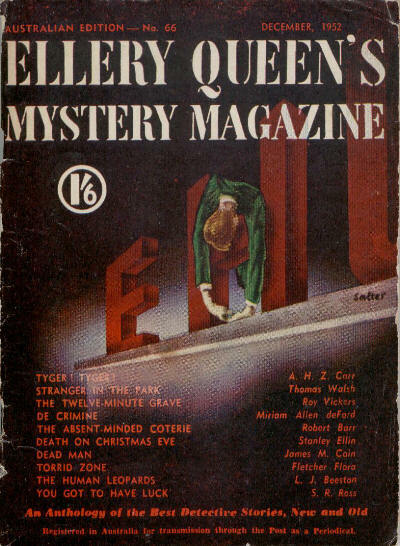 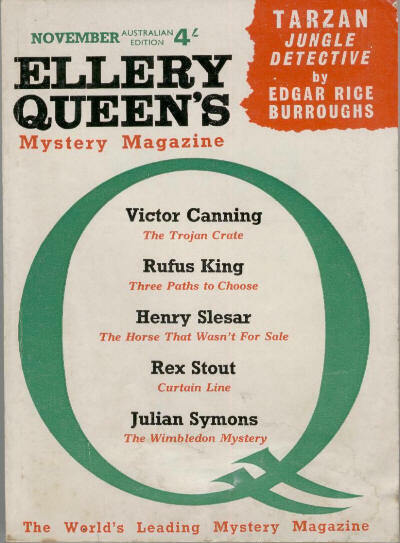 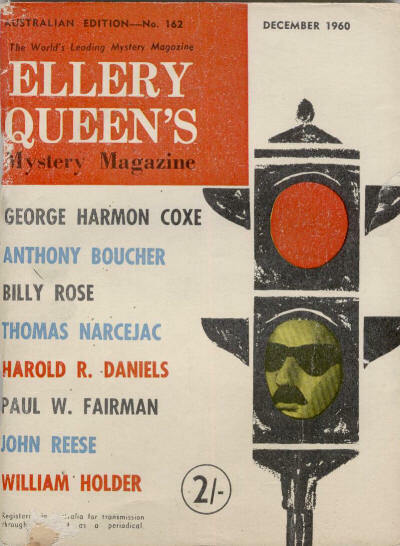 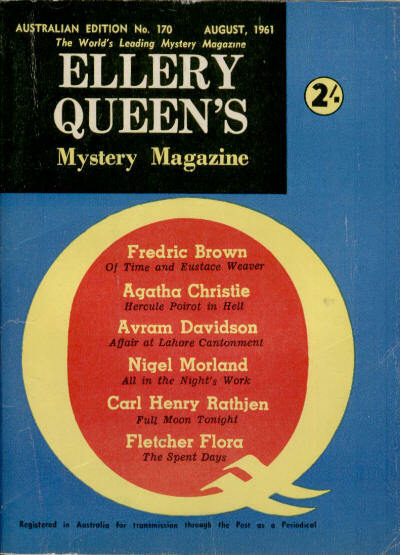 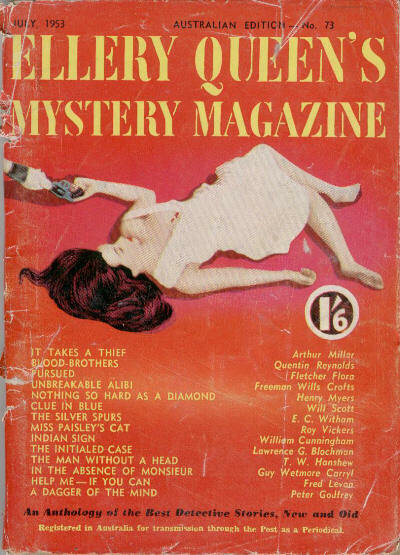 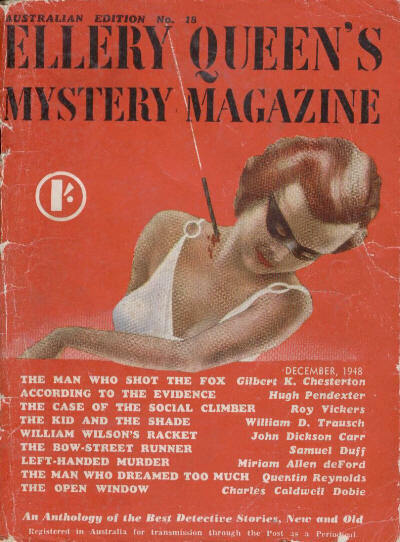 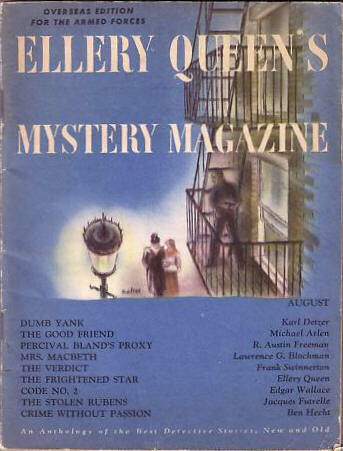 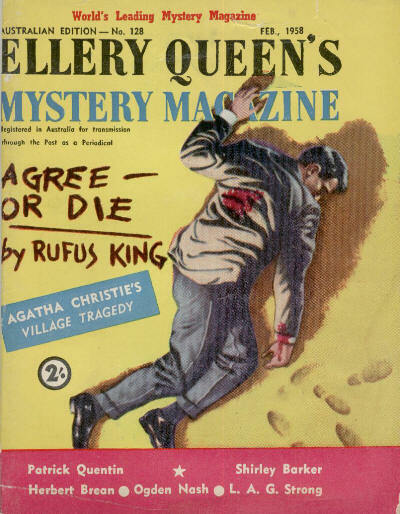 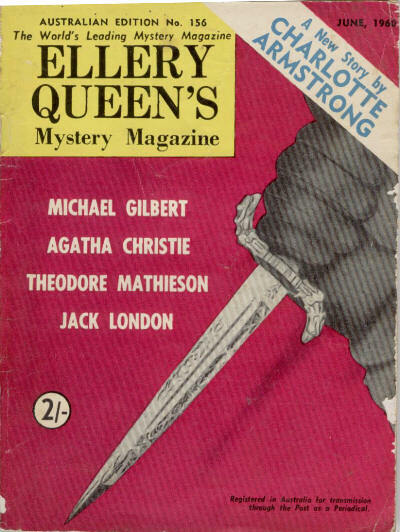 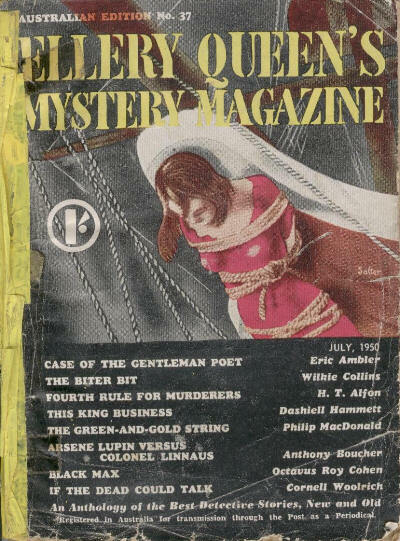 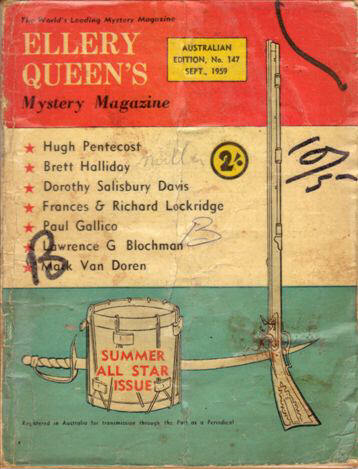 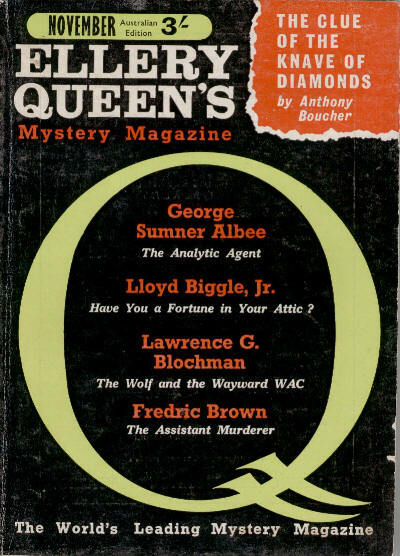 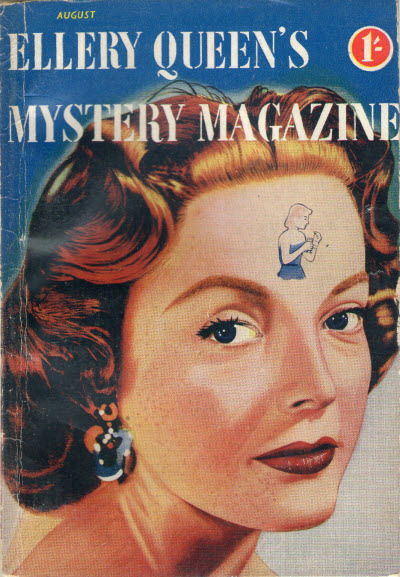 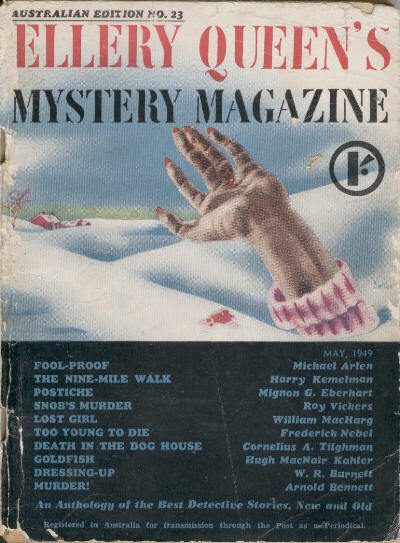 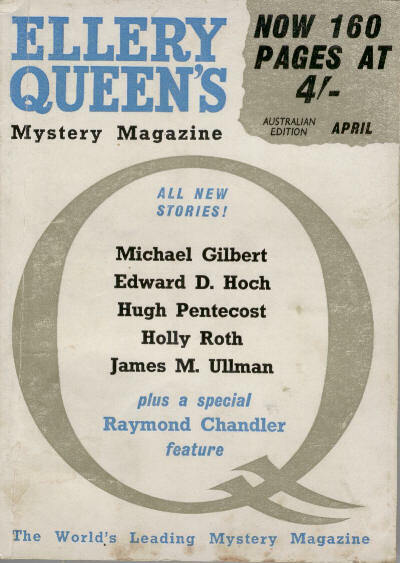 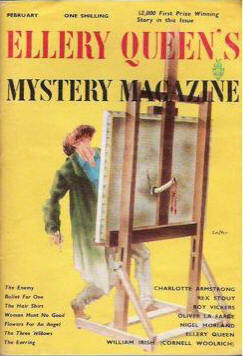 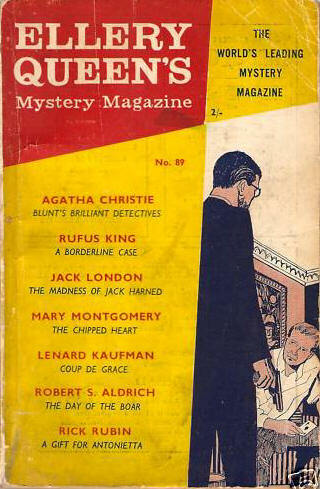 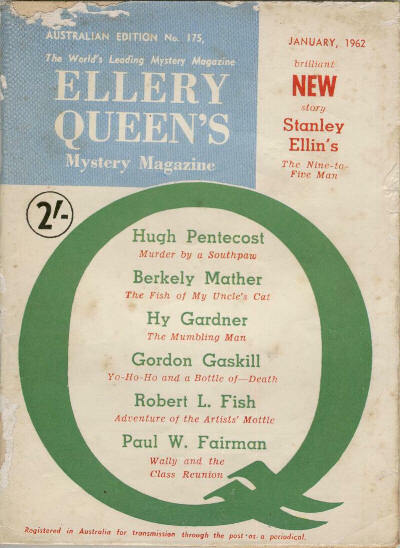 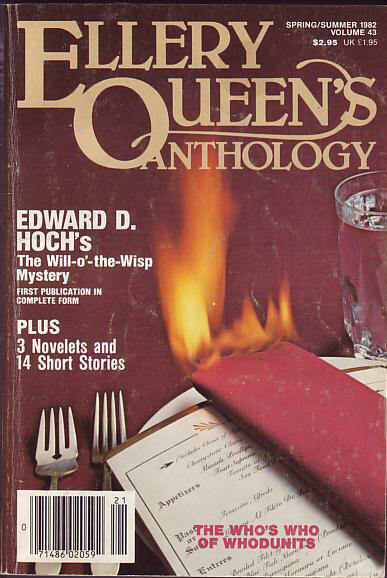 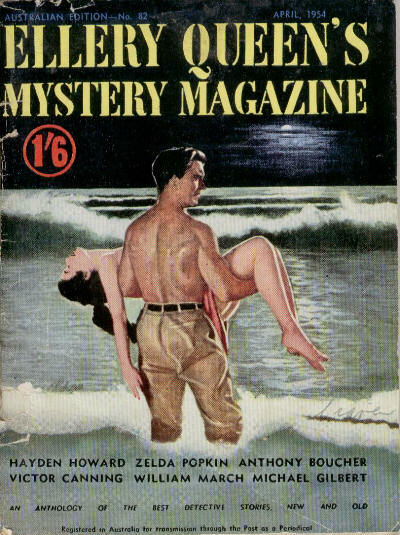 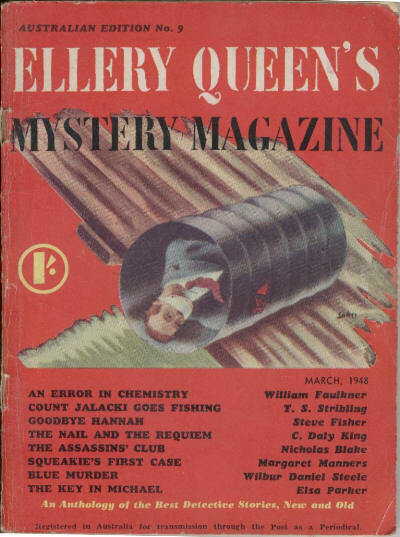 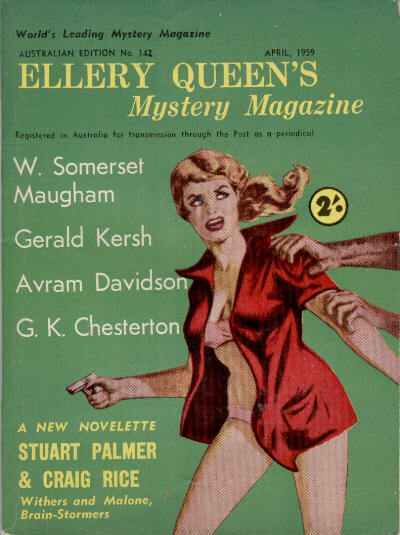 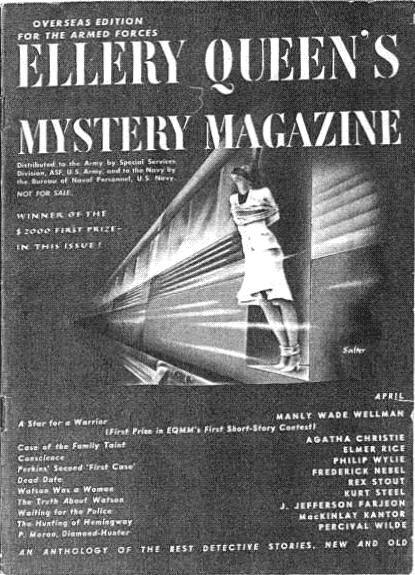 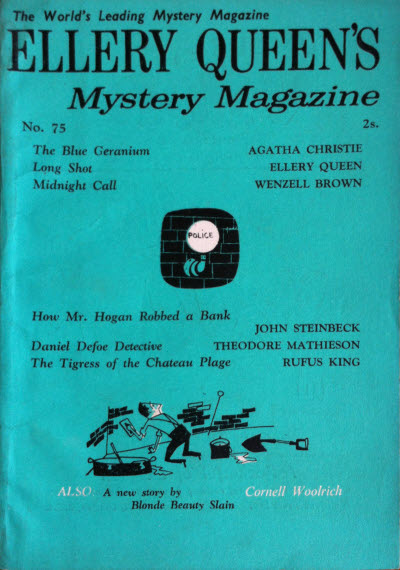 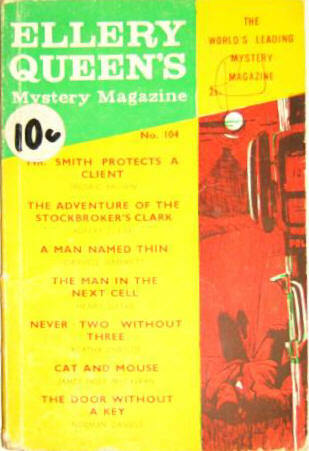 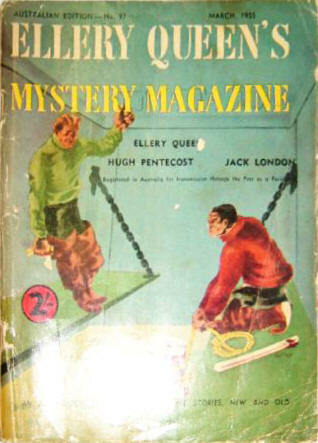 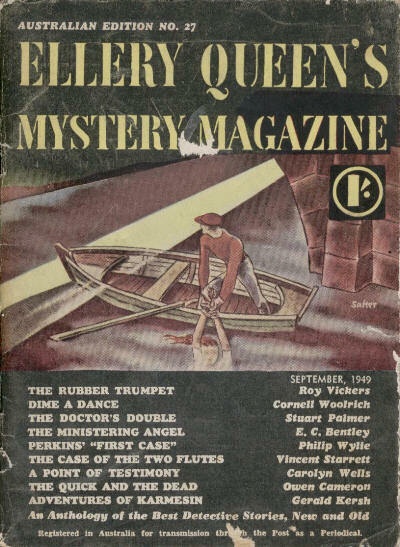 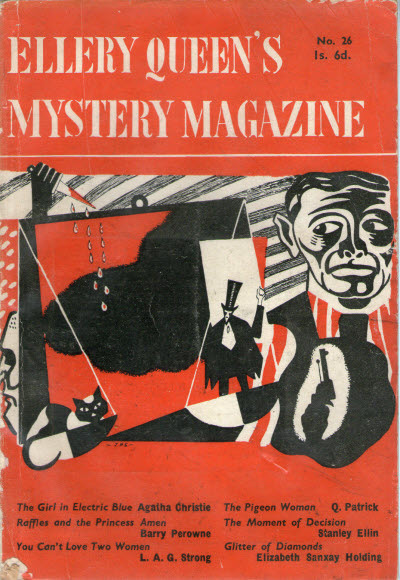 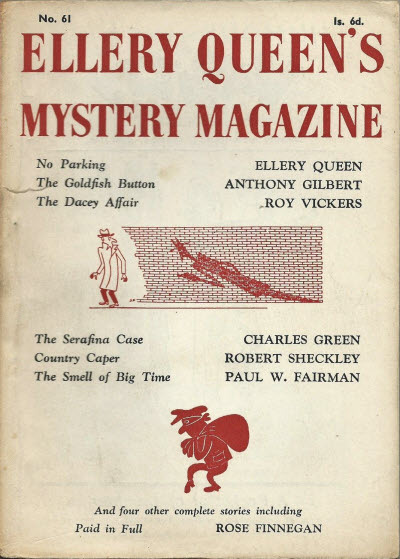 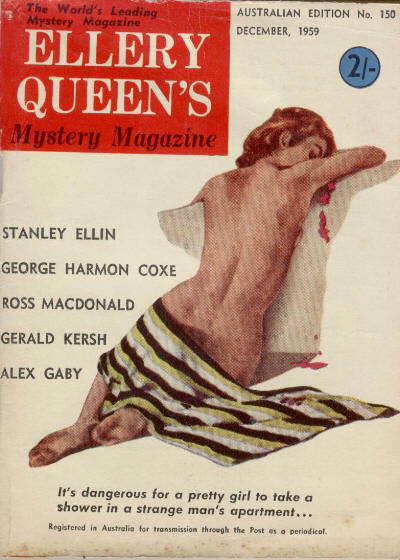 British reprint edition of Ellery Queen's Mystery Magazine.